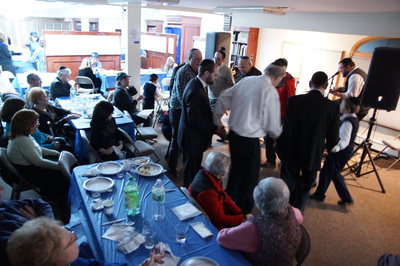 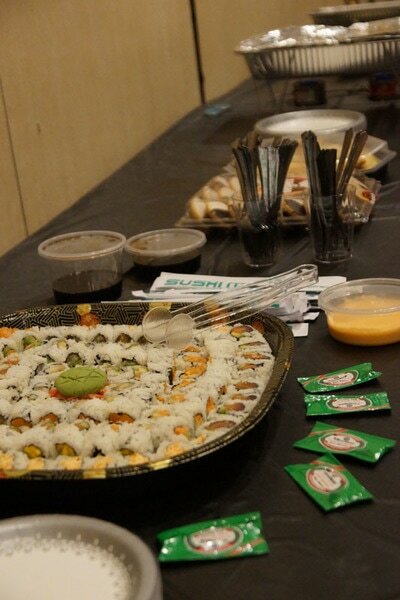 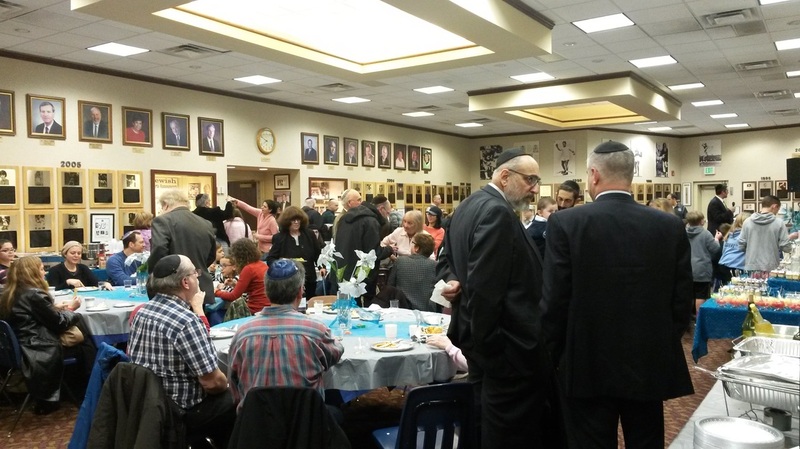 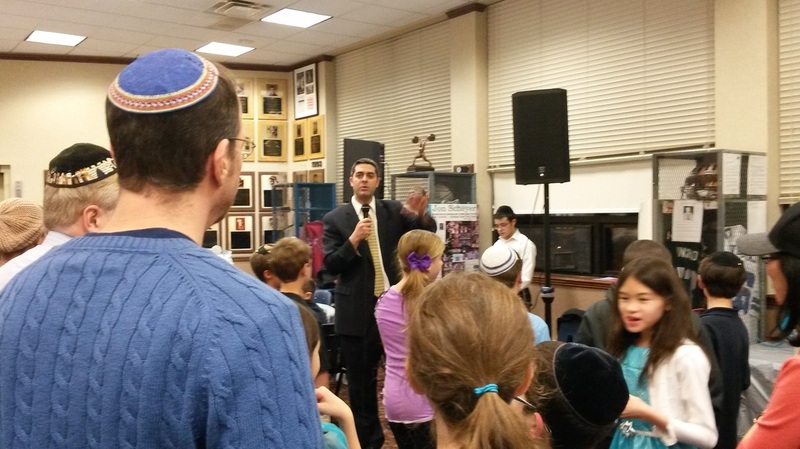 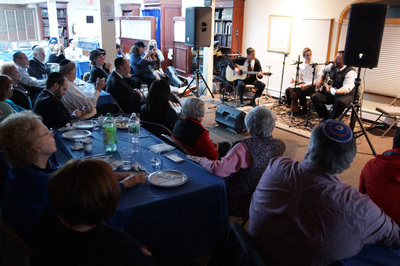 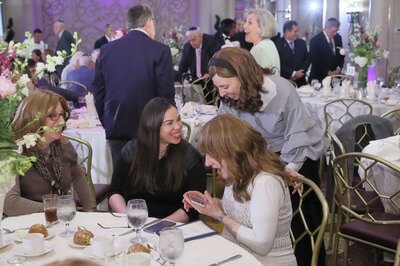 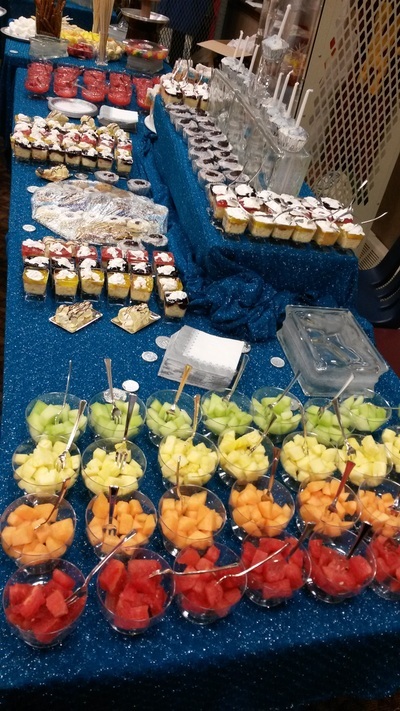 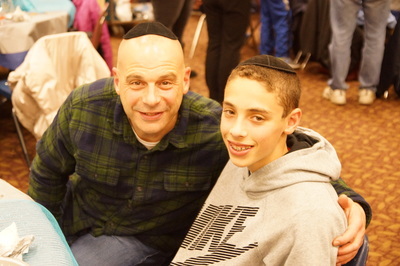 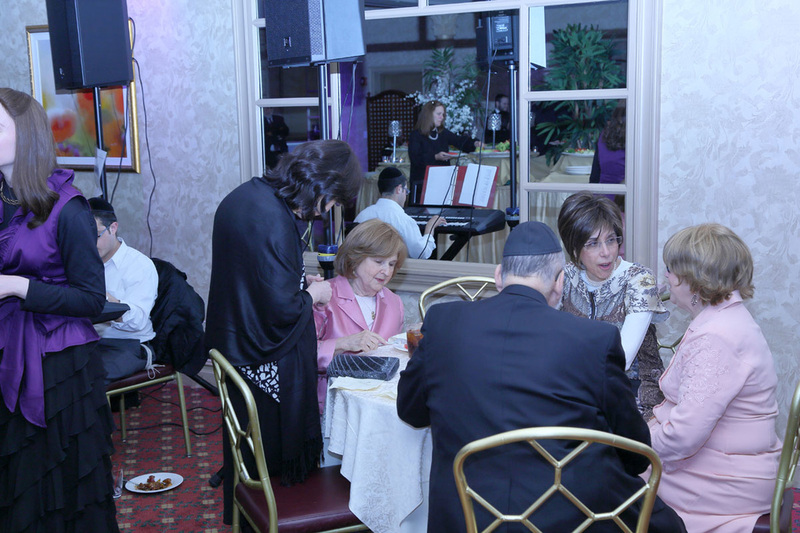 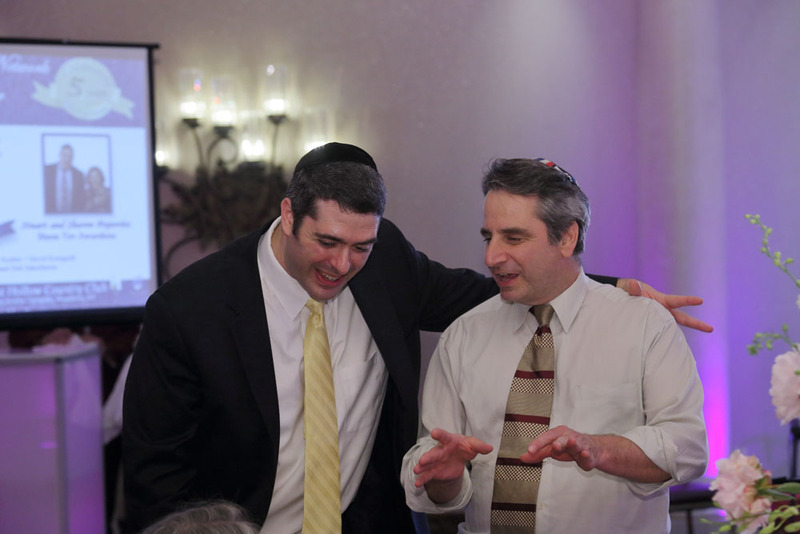 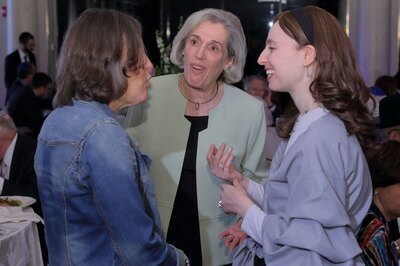 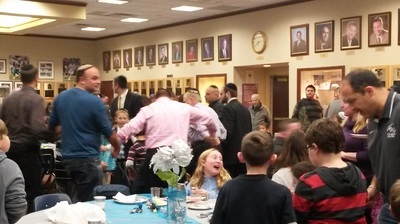 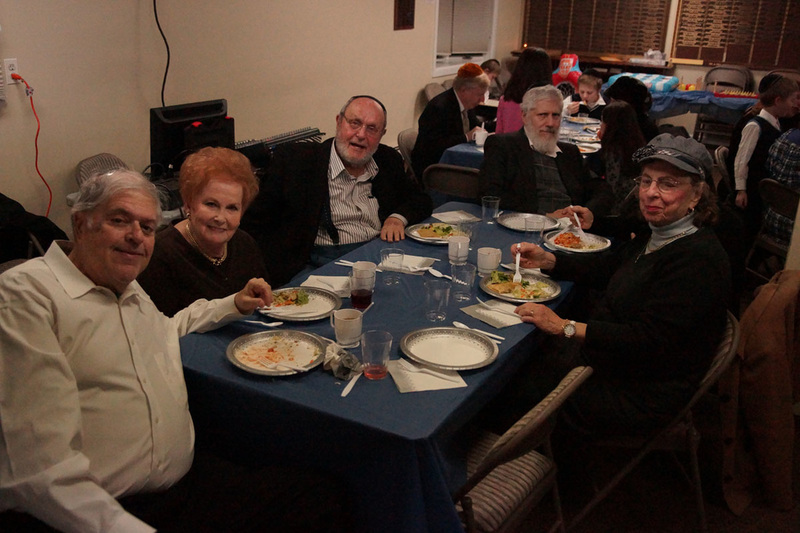 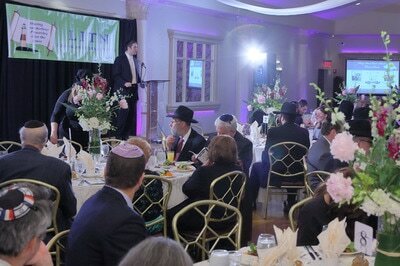 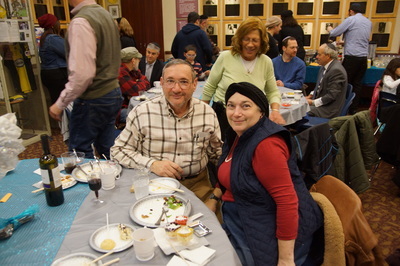 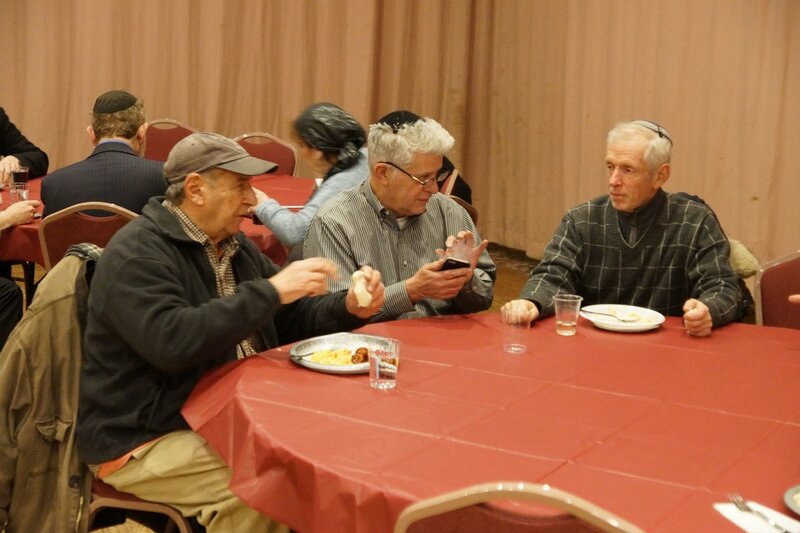 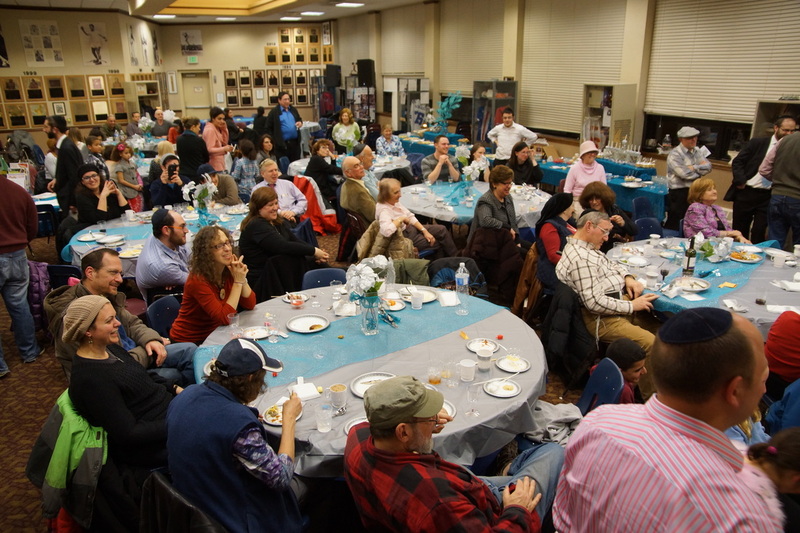 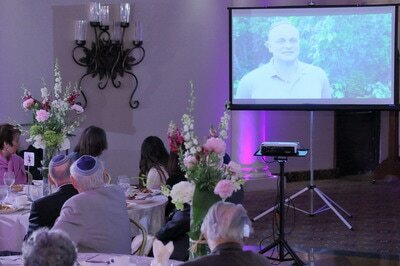 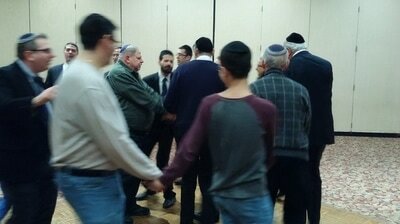 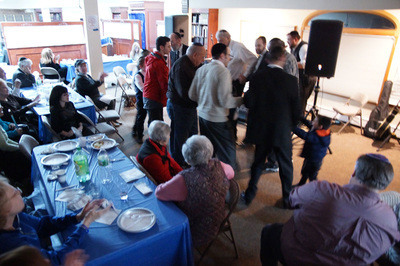 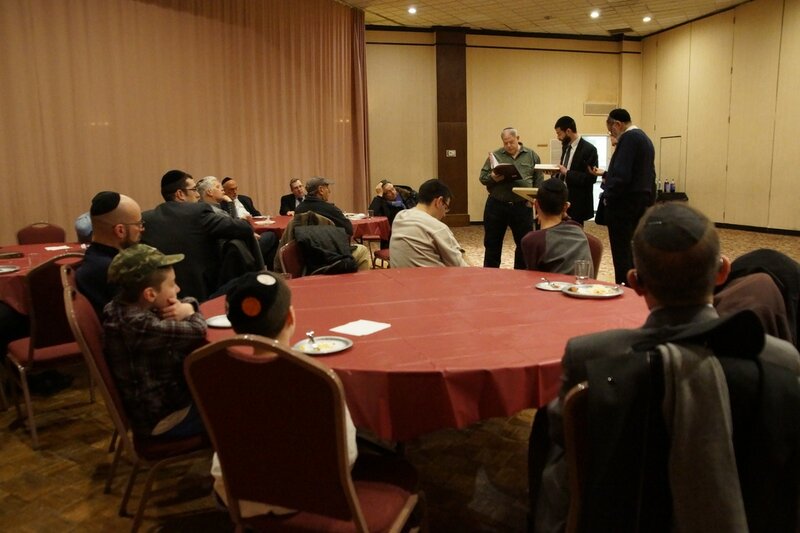 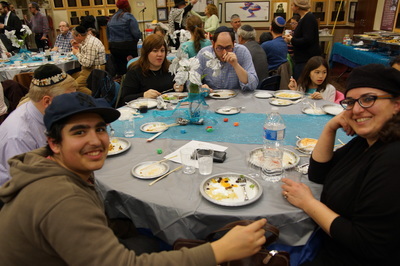 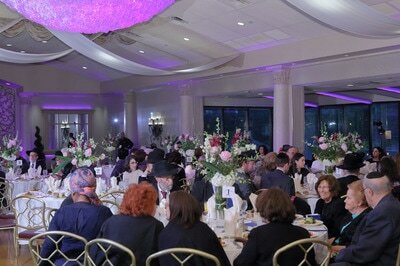 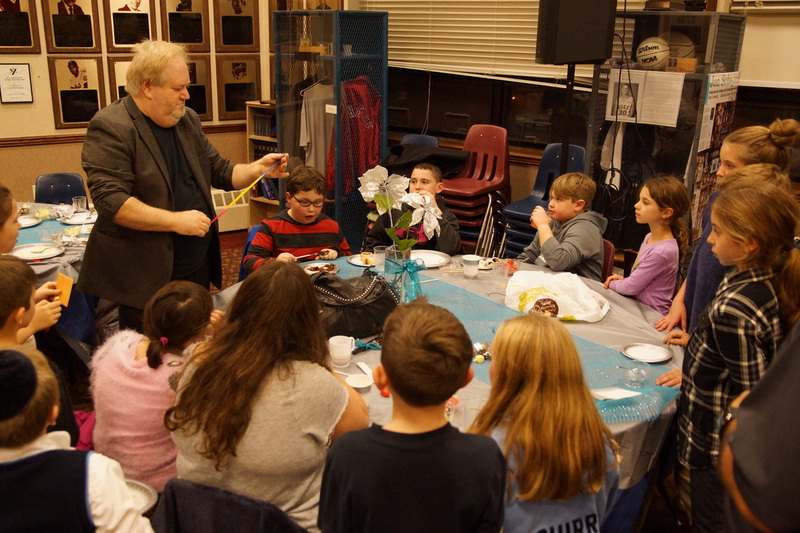 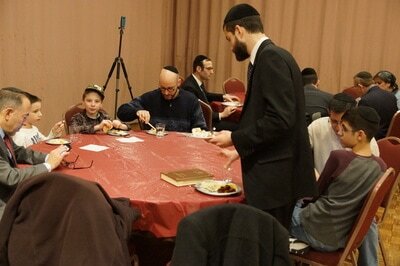 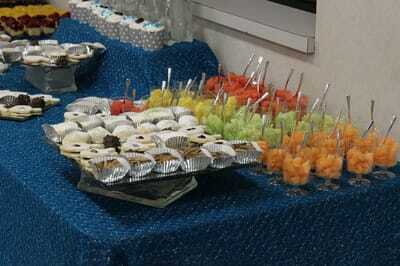 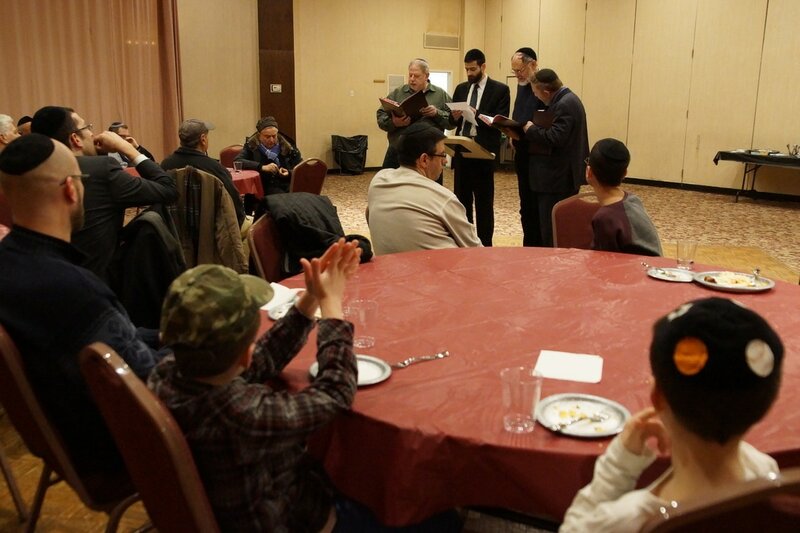 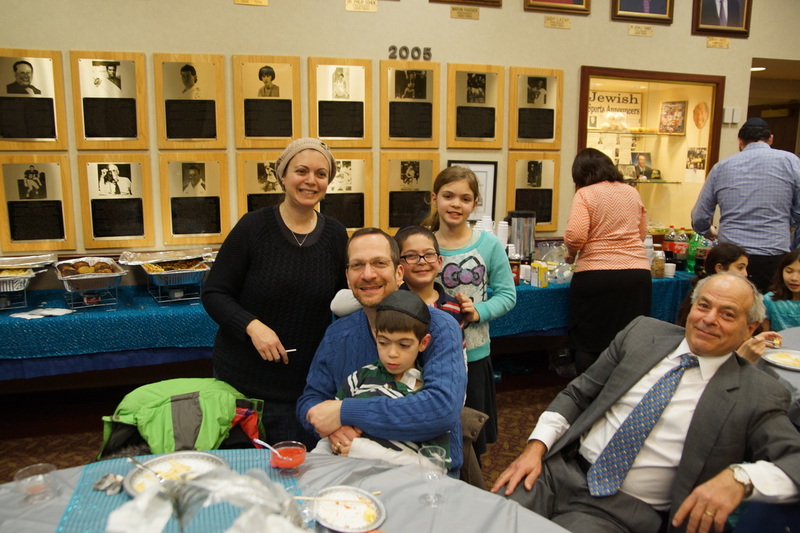 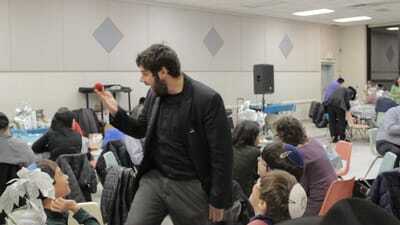 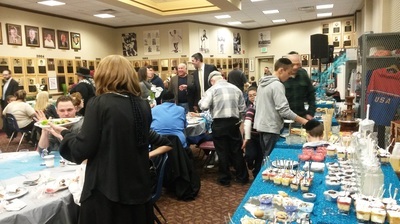 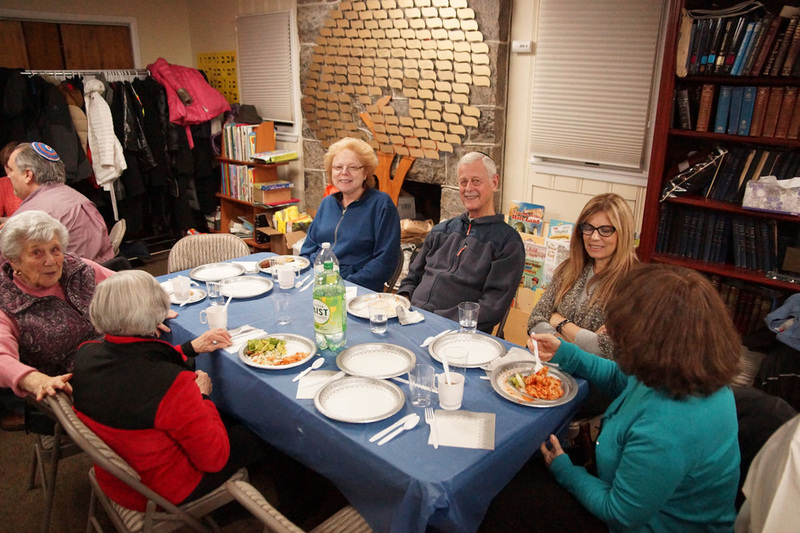 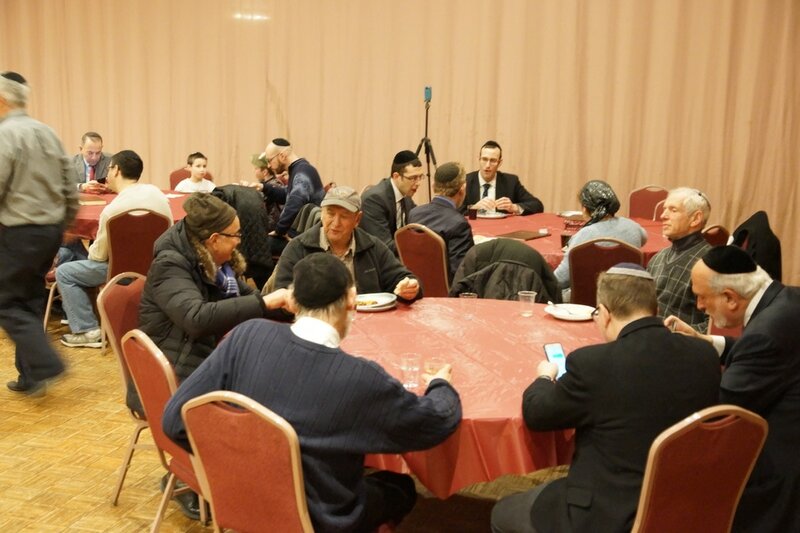 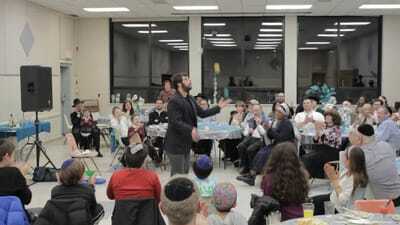 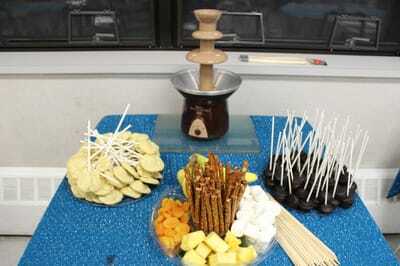 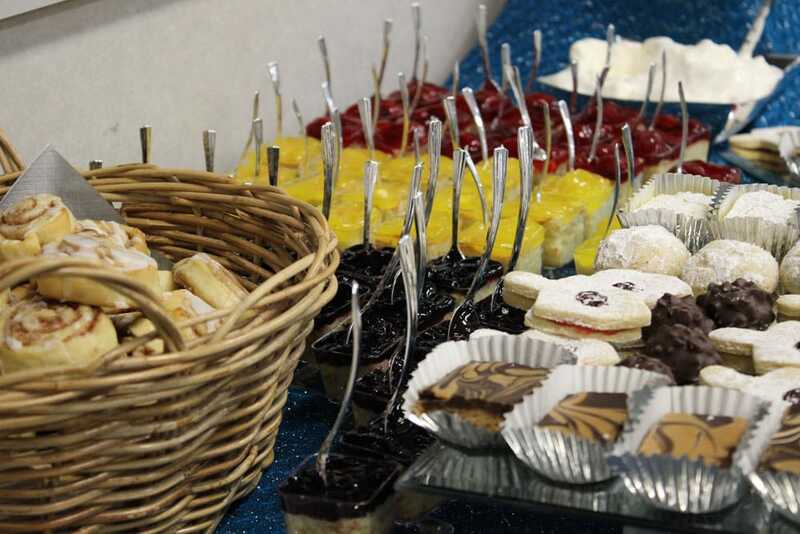 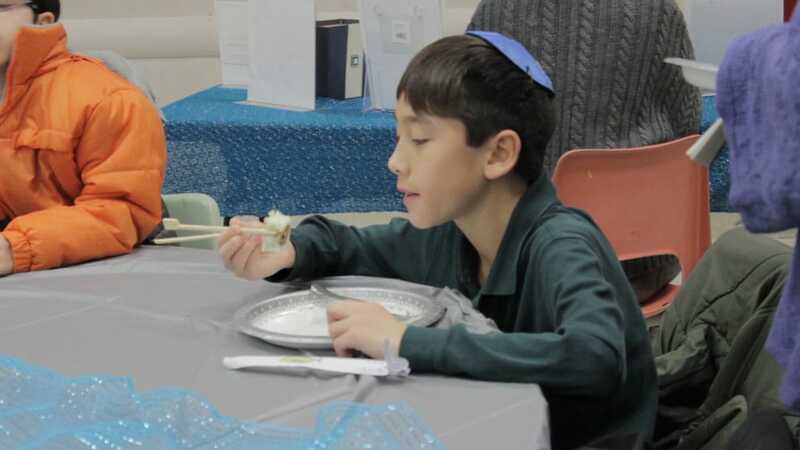 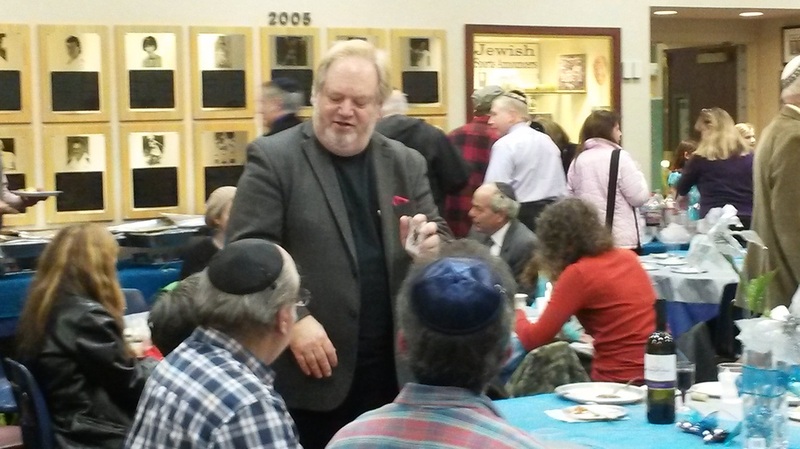 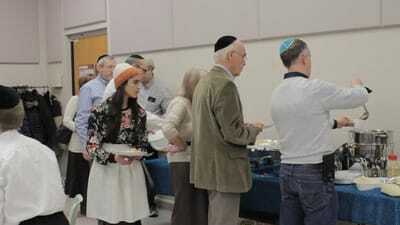 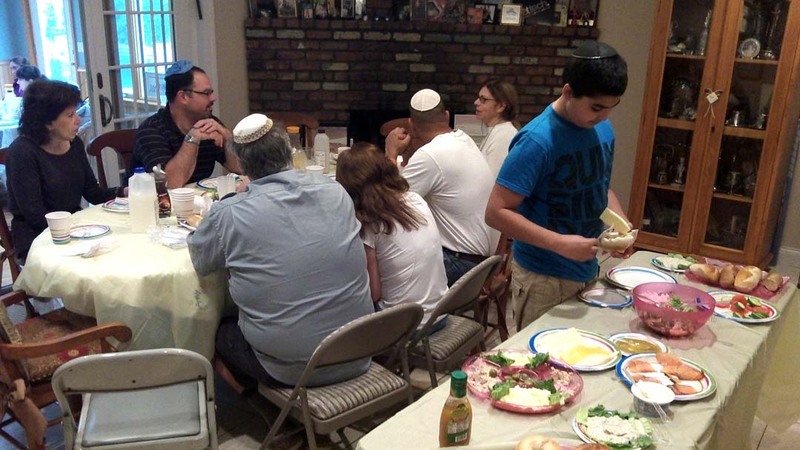 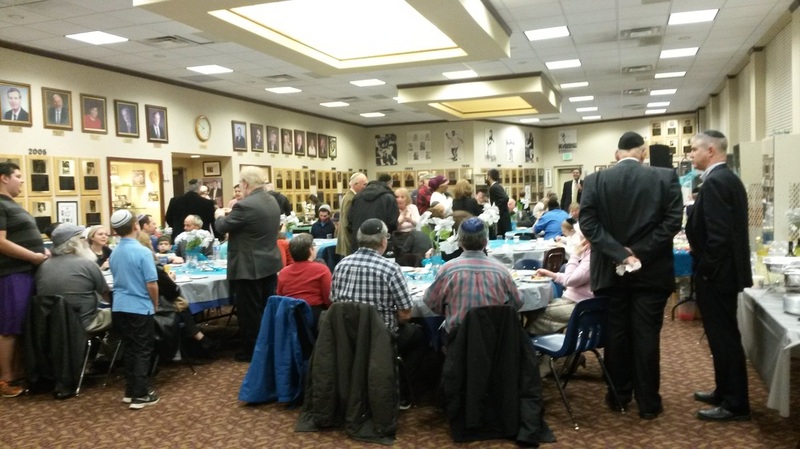 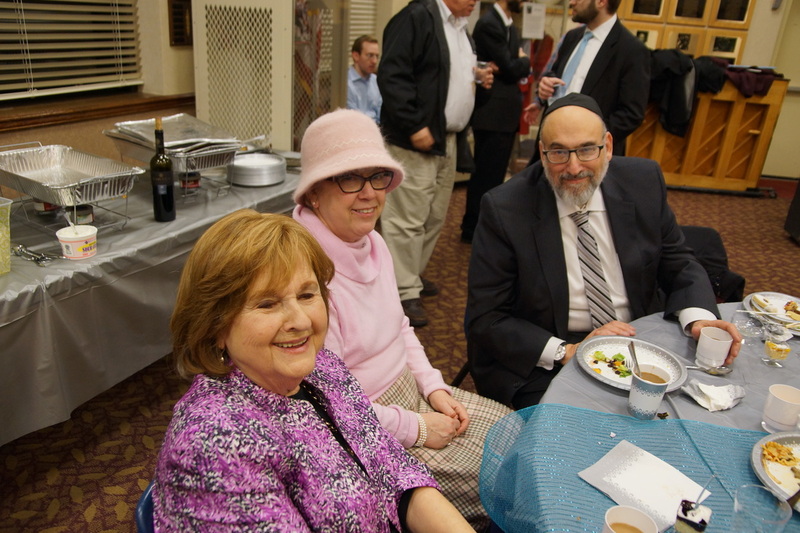 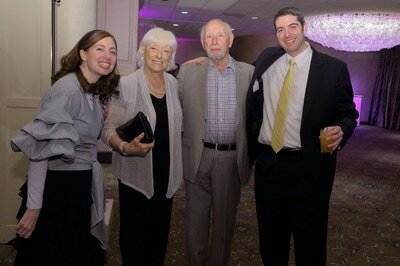 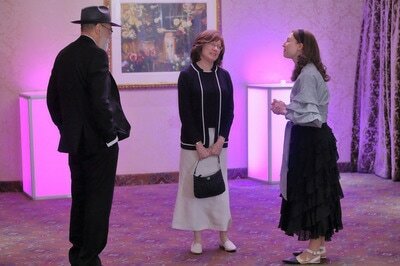 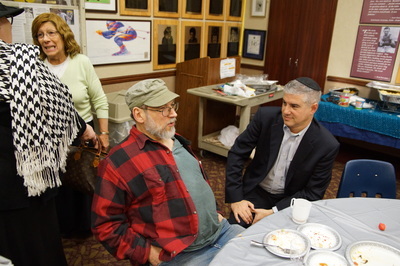 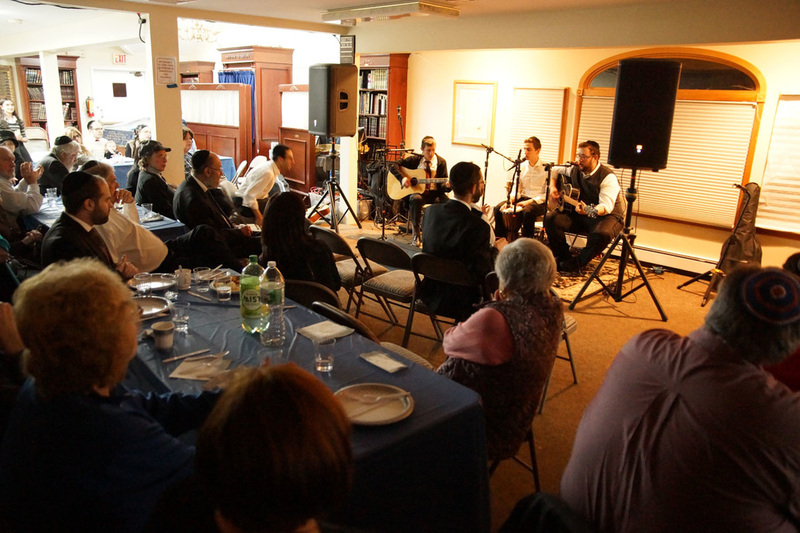 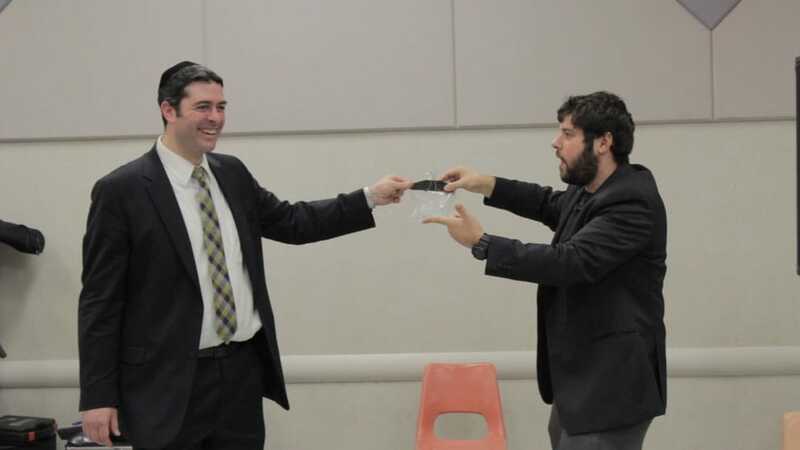 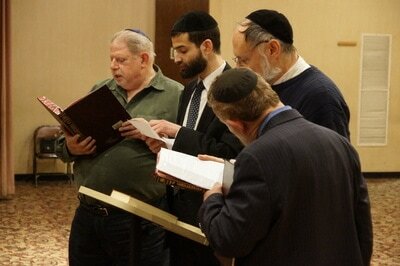 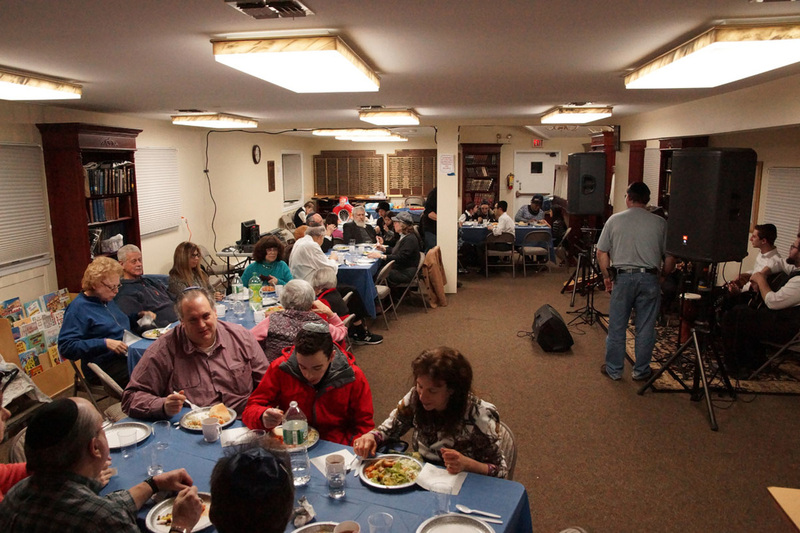 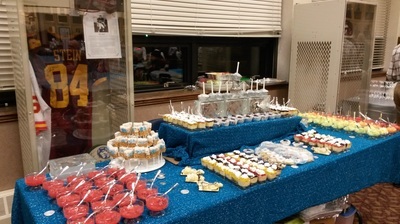 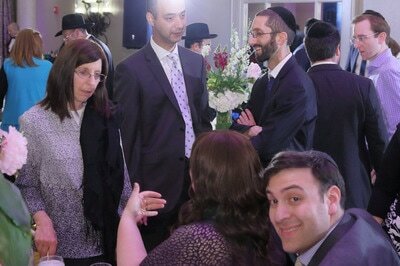 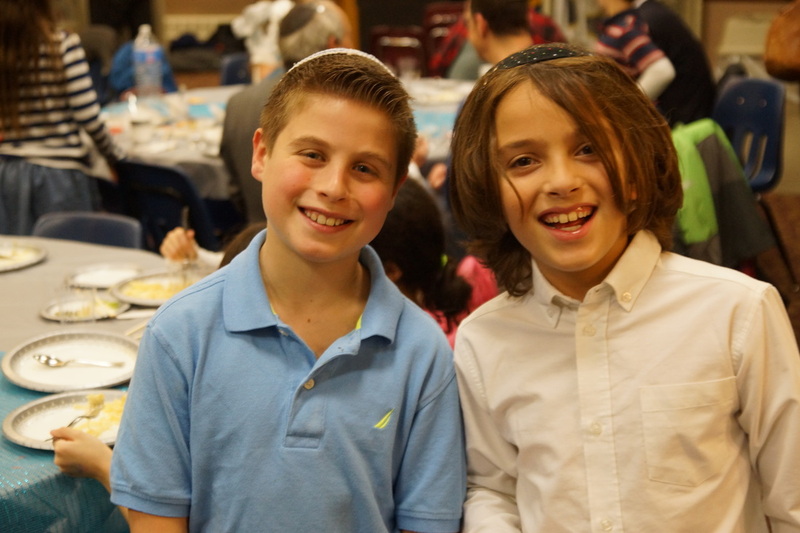 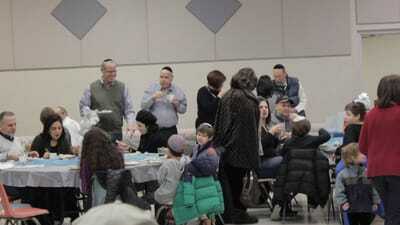 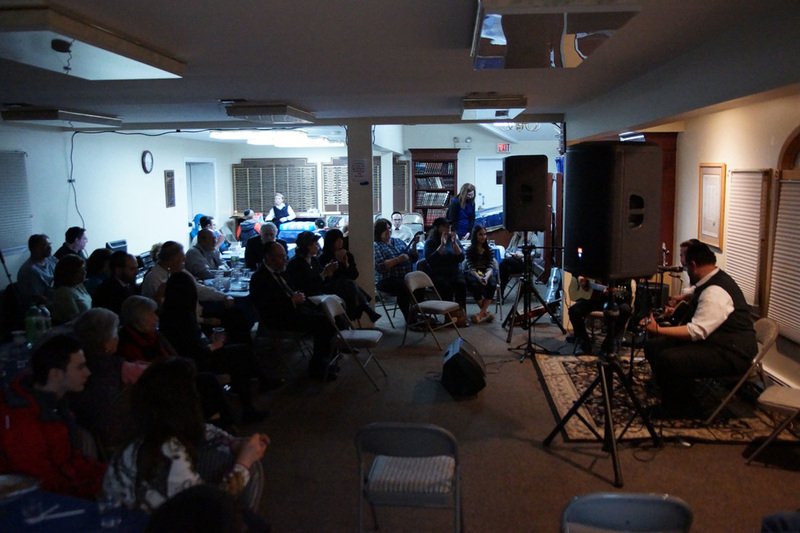 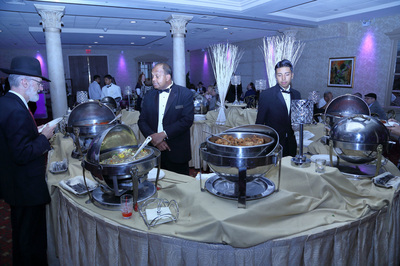 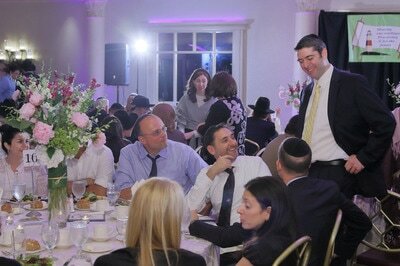 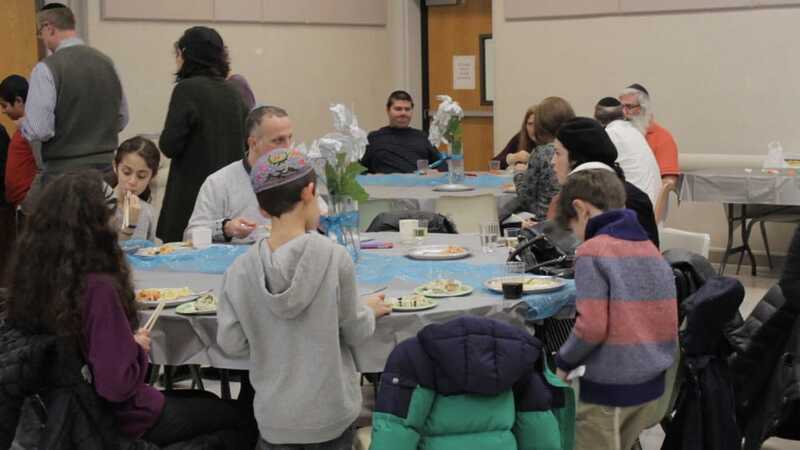 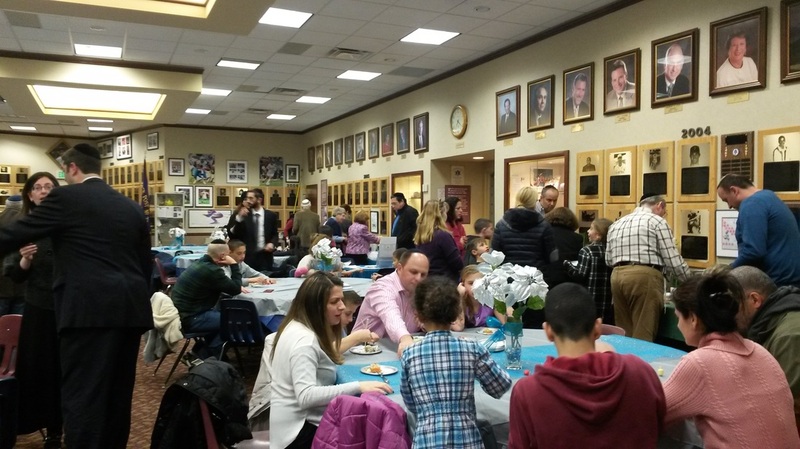 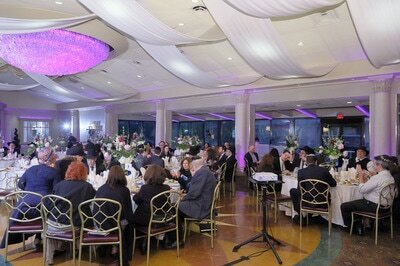 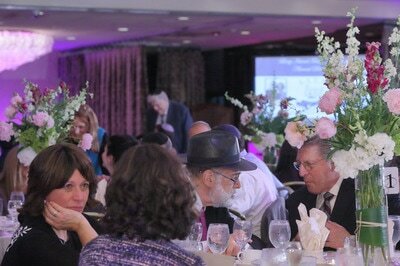 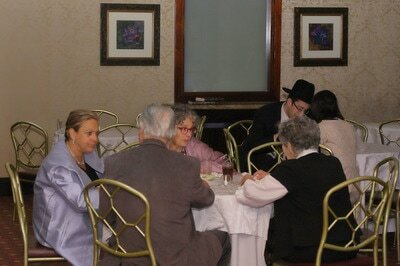 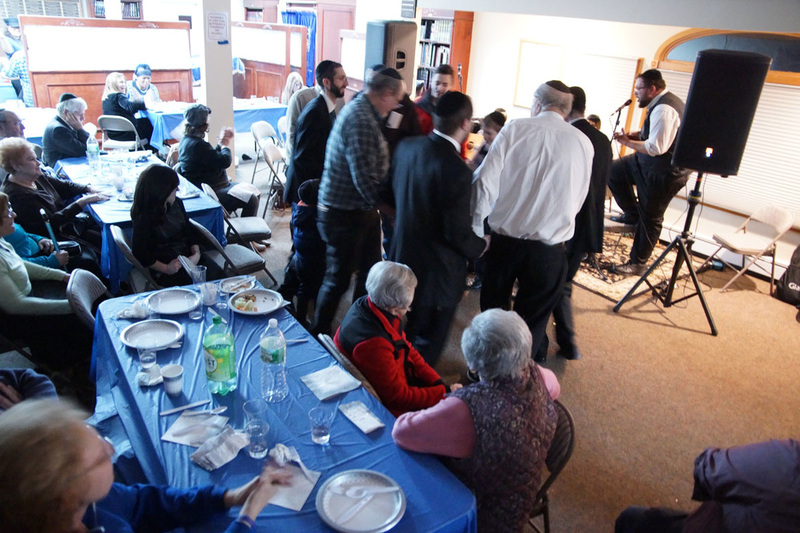 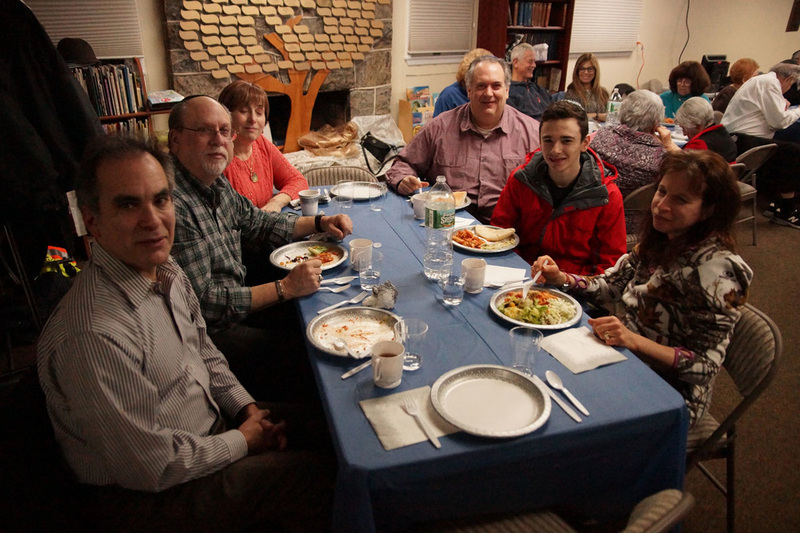 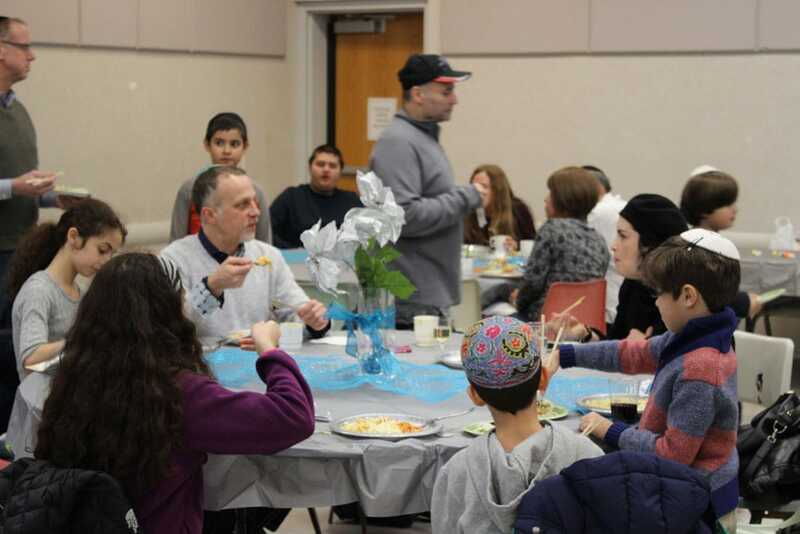 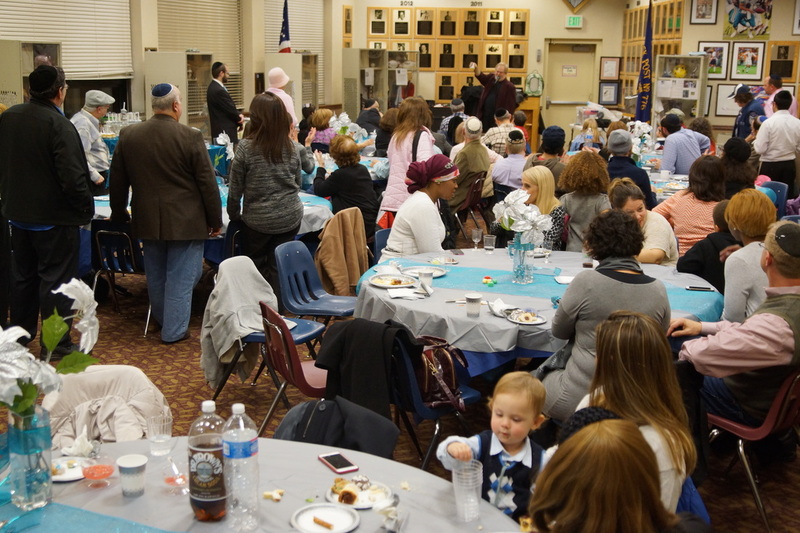 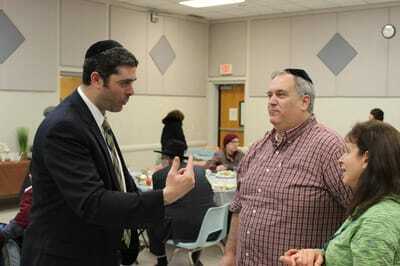 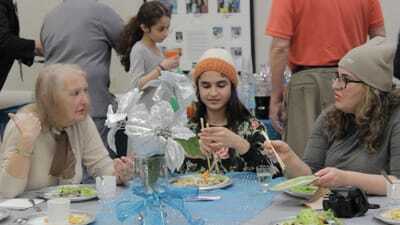 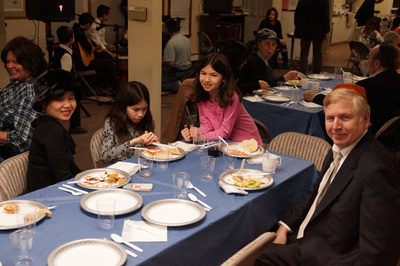 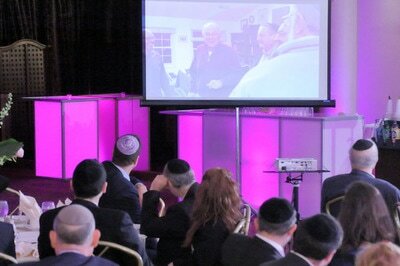 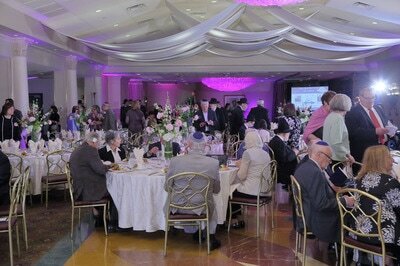 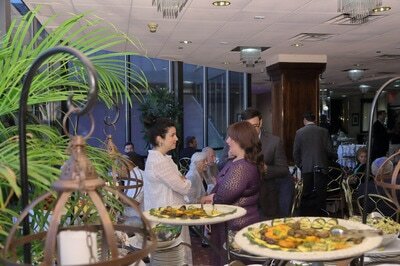 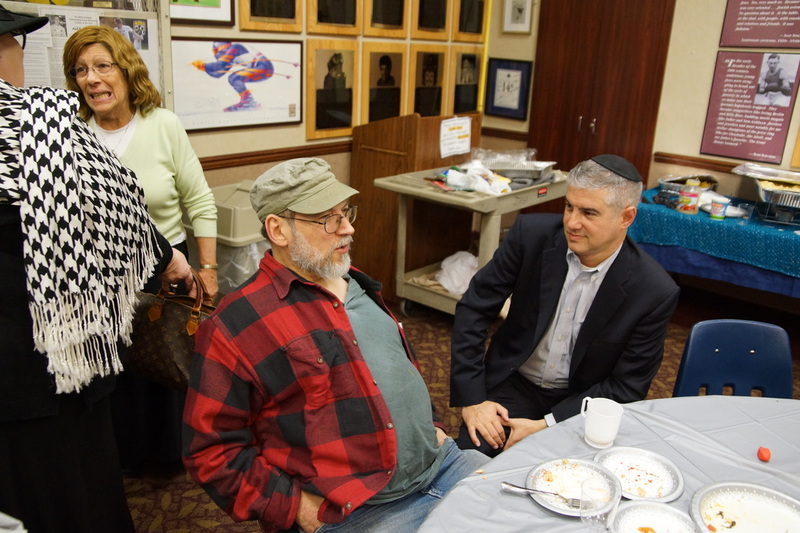 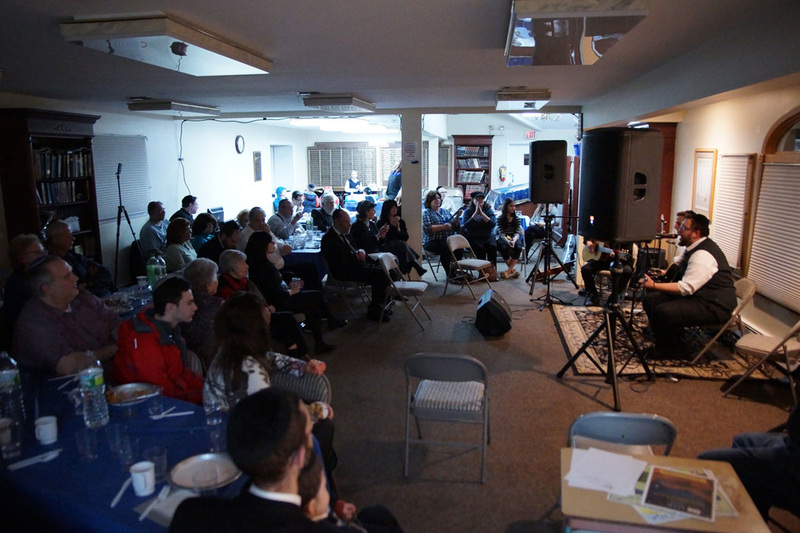 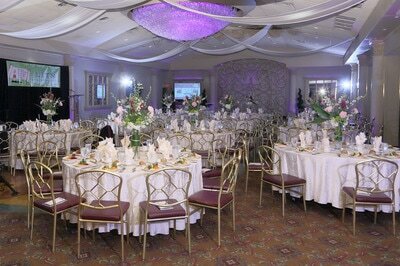 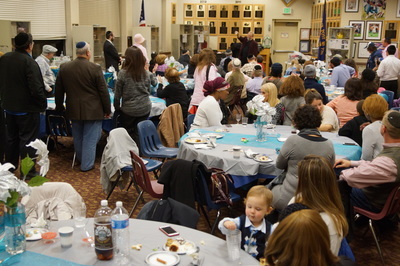 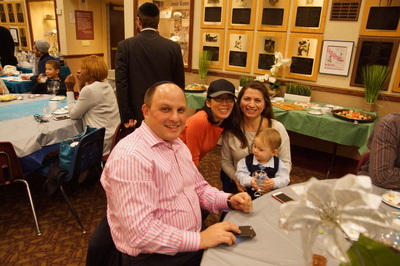 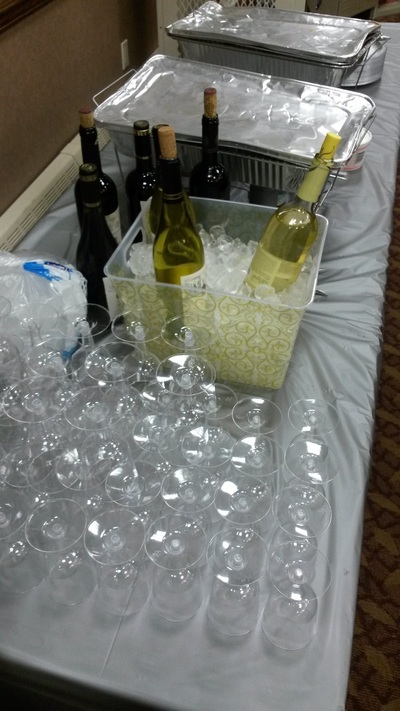 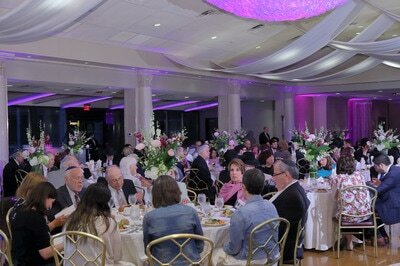 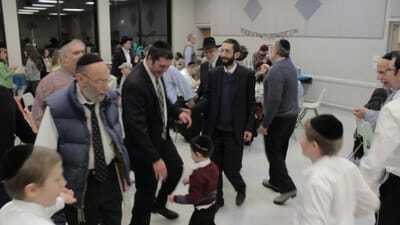 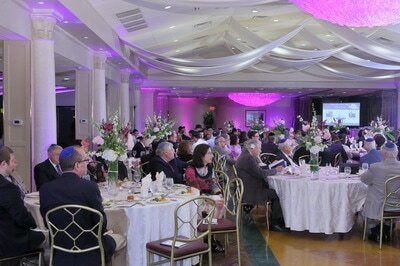 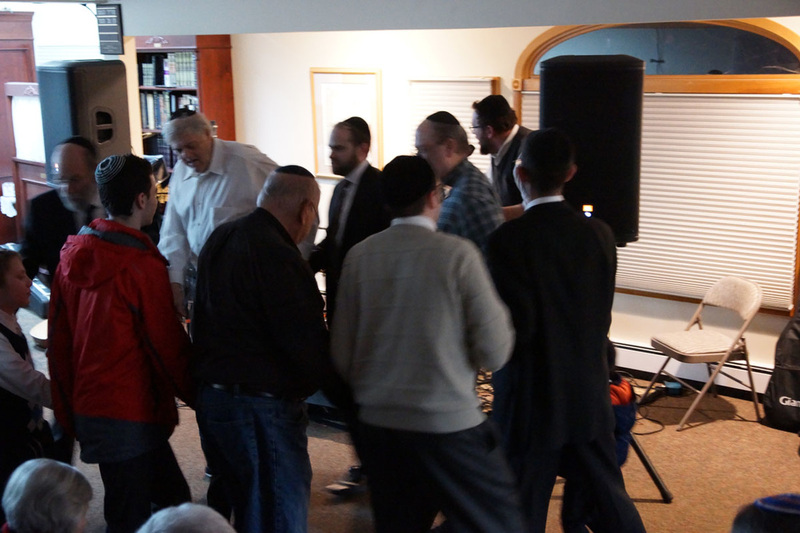 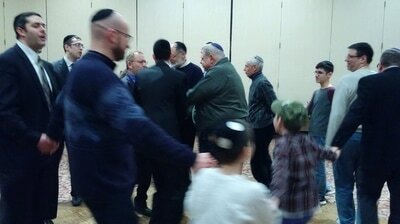 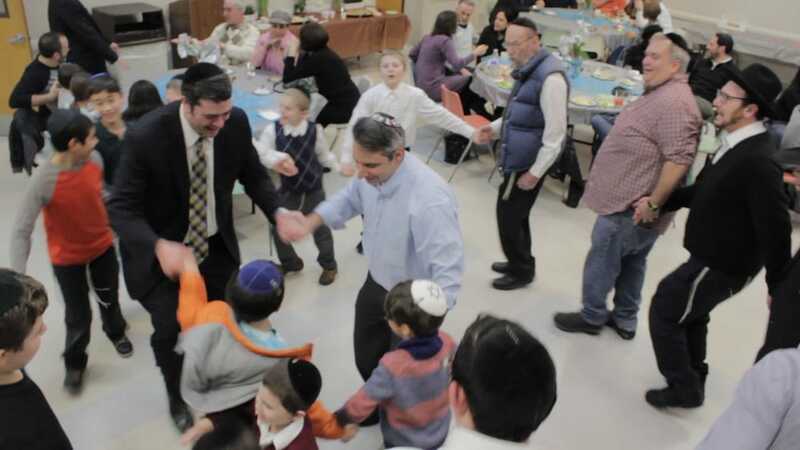 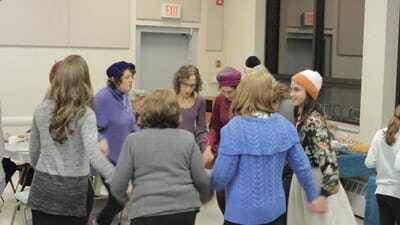 ​On Monday, March 4th, the Merrick community celebrated a joyous Siyum on Maseches(Talmud Tractate) Rosh Hashana. 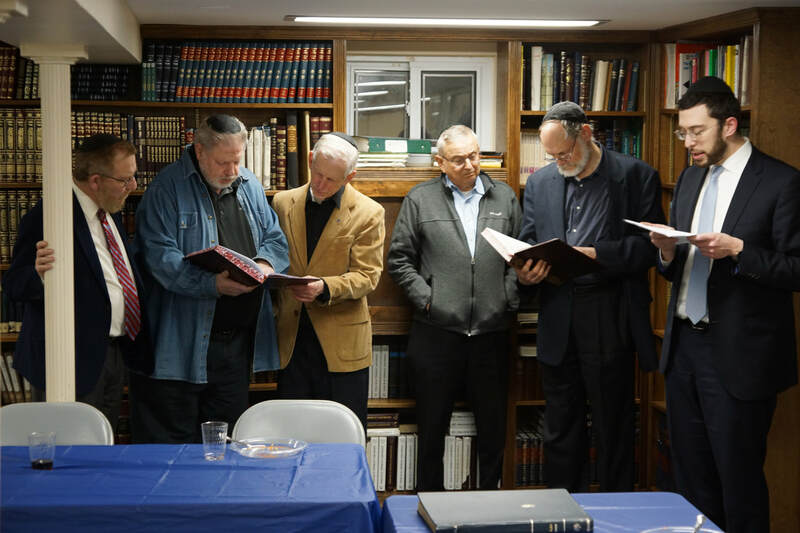 Every Monday night, the Merrick Beit Medrash Night meets to engage in the pursuit of our precious heritage - the study of our holy Torah. 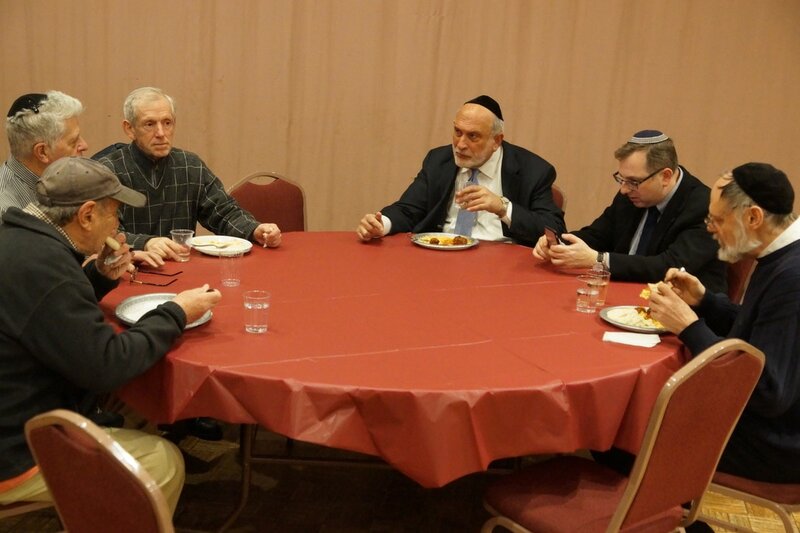 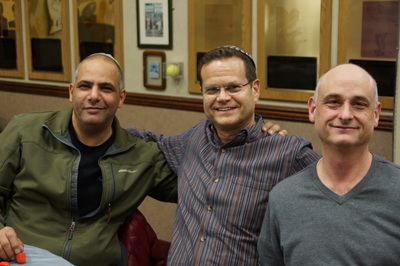 One of the Gemara study groups recently completed their second Mesechta(tractate) since we began about 4 years ago. 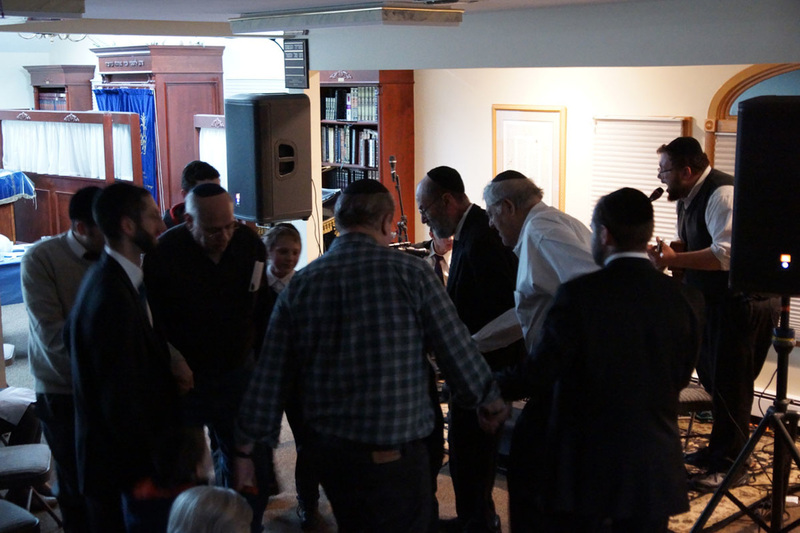 We wish Mazel Tov to Mayer Gross, James Klatsky, Jeffrey Maynard, Mark Solomon, Sam Sperling and Rabbi Dovid Becker who have completed the entire Talmudic tractate of Rosh Hashana. This could only be accomplished through tremendous commitment, dedication and perseverance. 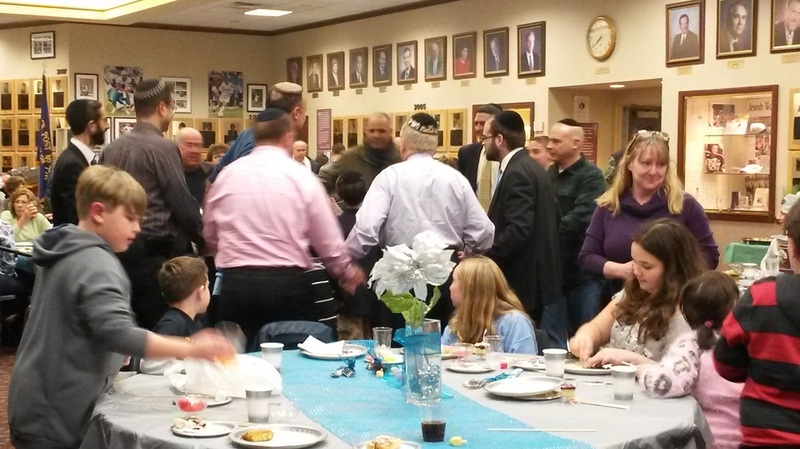 The Siyum and dinner took place at The Young Israel of Merrick - which along Congregation Ohav Sholom - serves as host for our weekly program. 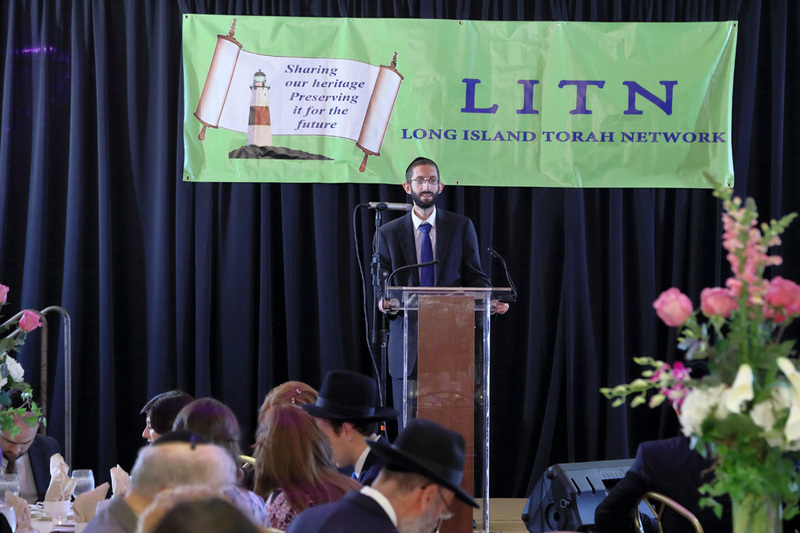 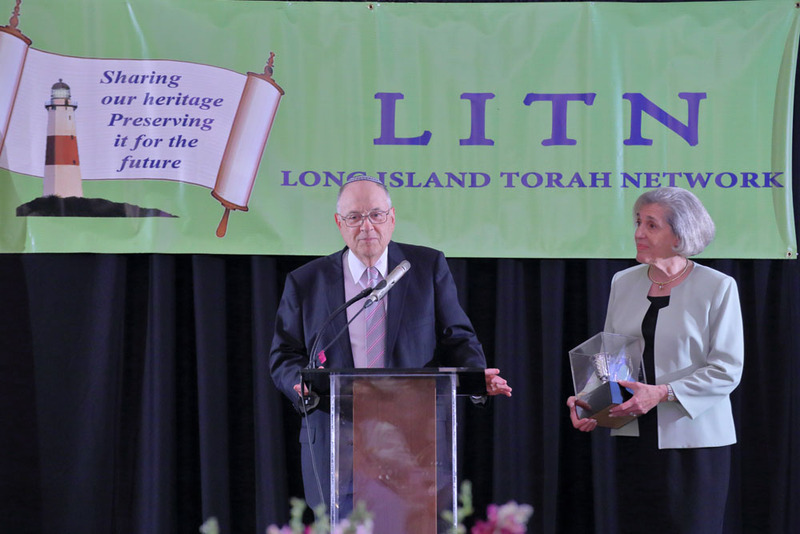 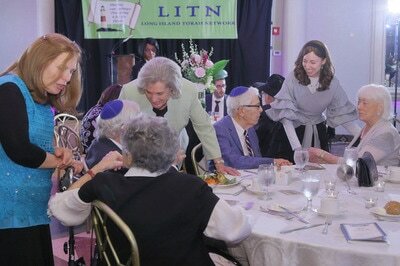 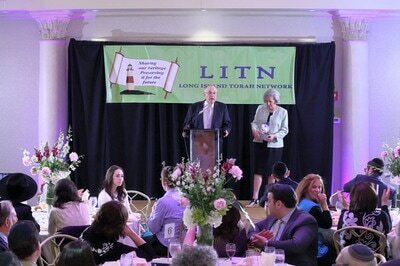 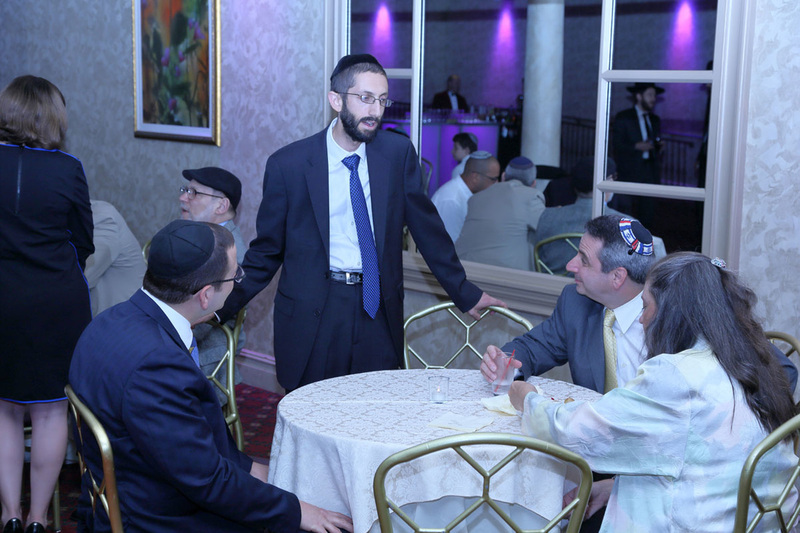 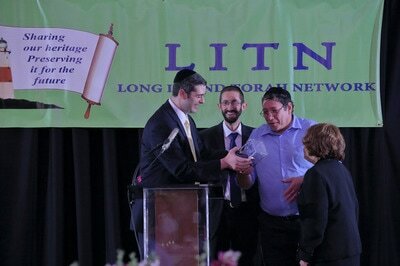 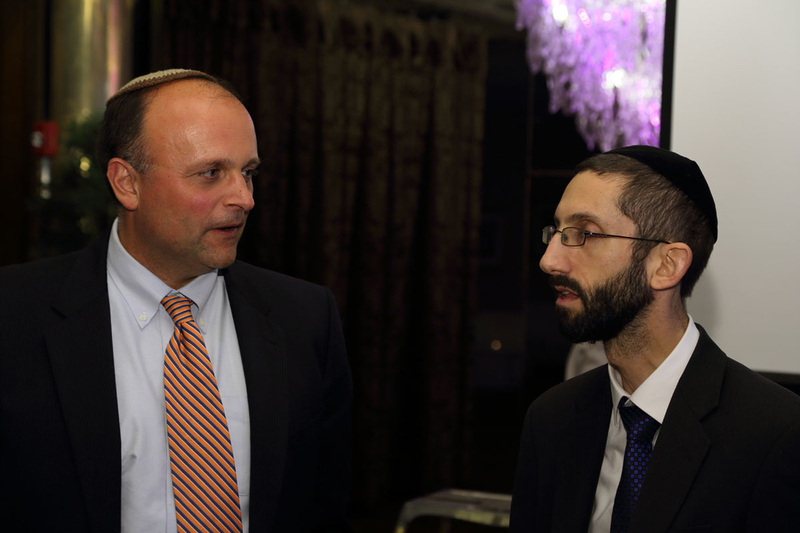 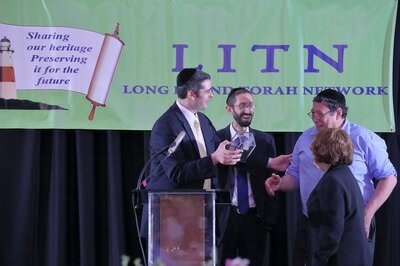 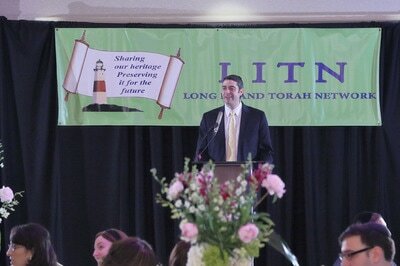 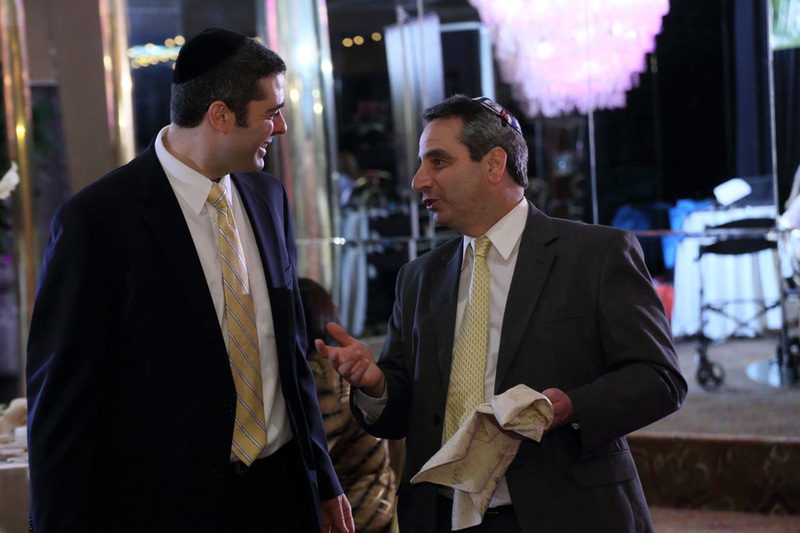 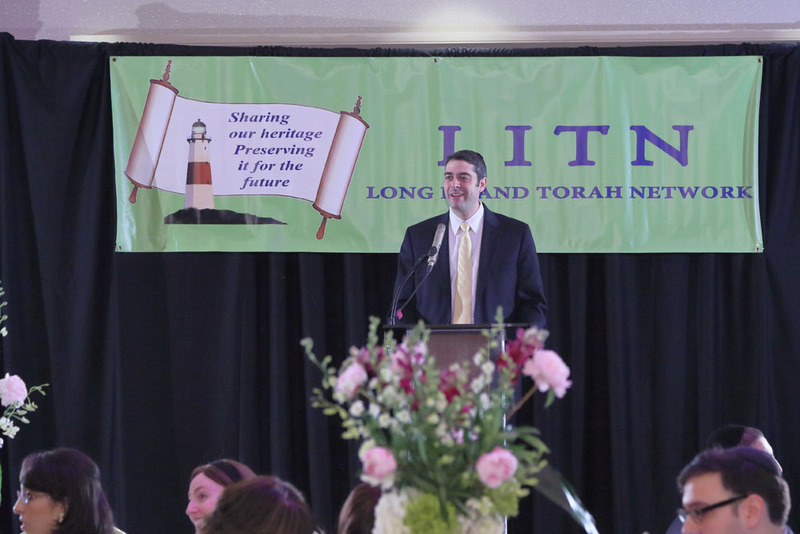 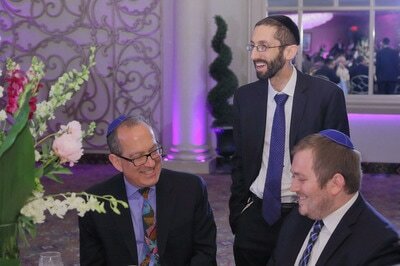 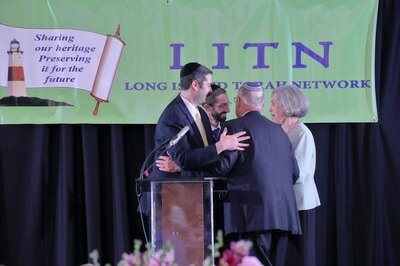 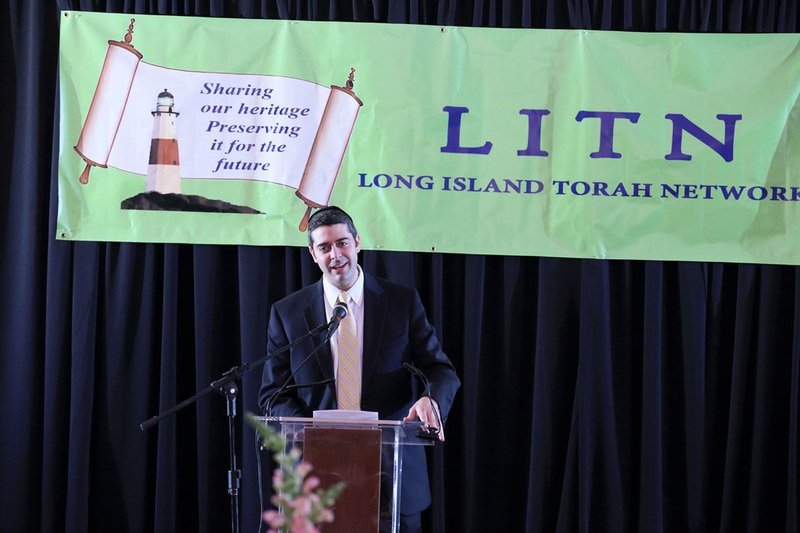 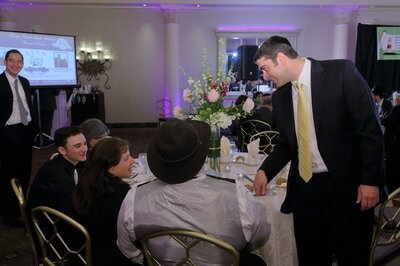 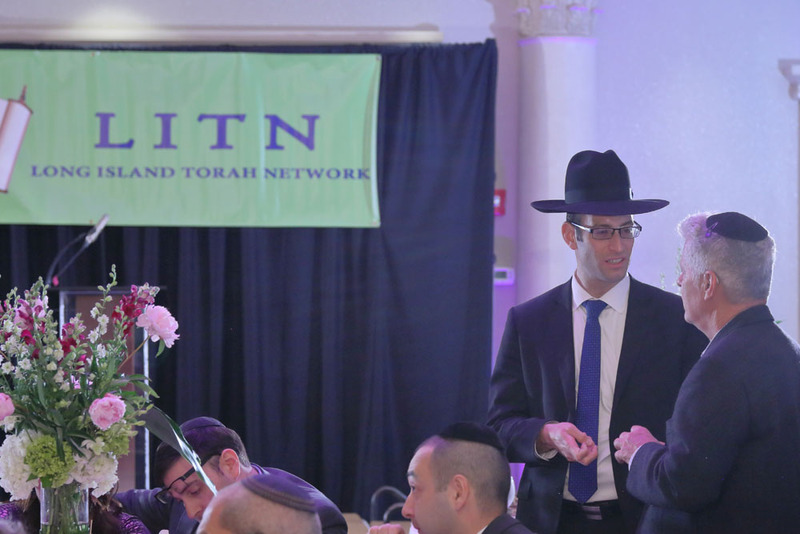 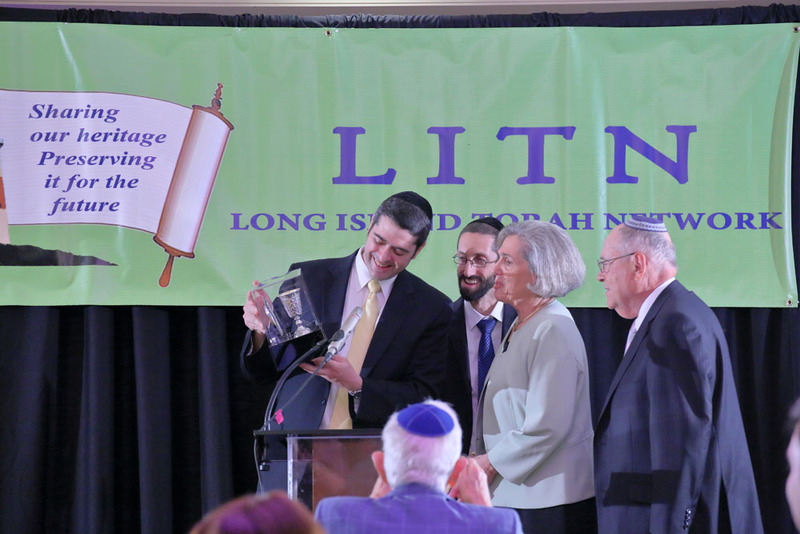 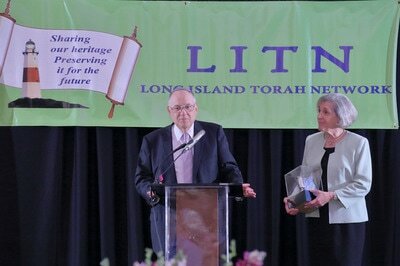 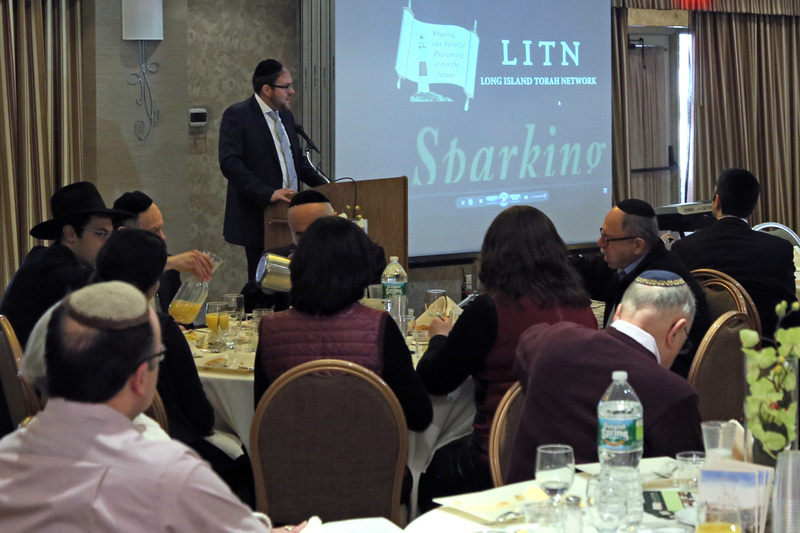 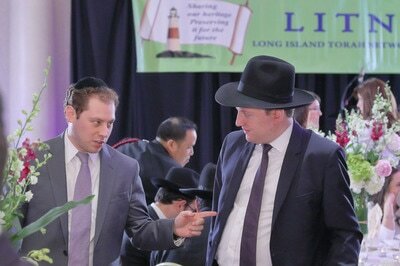 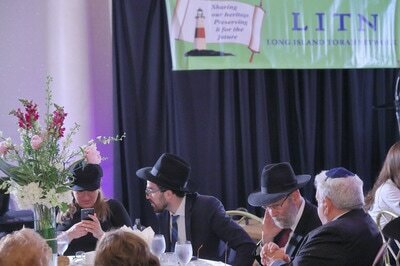 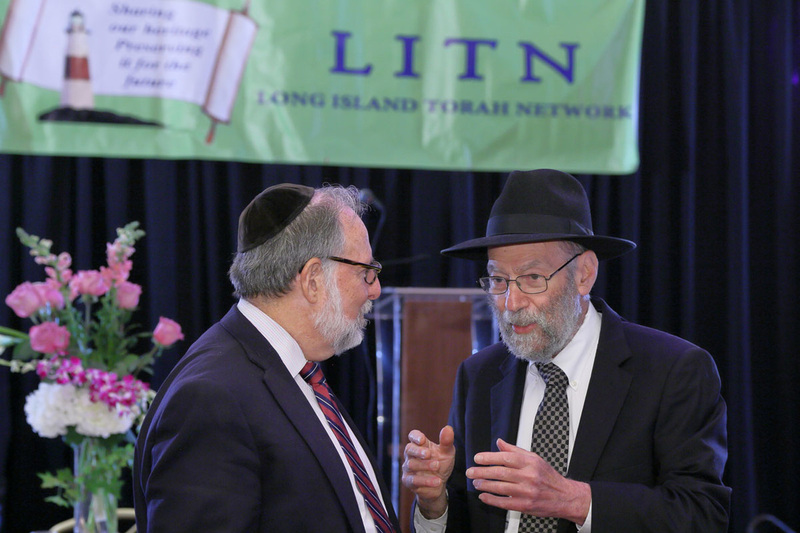 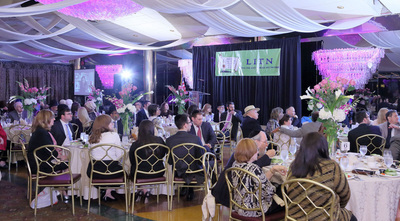 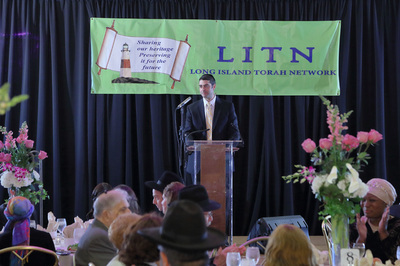 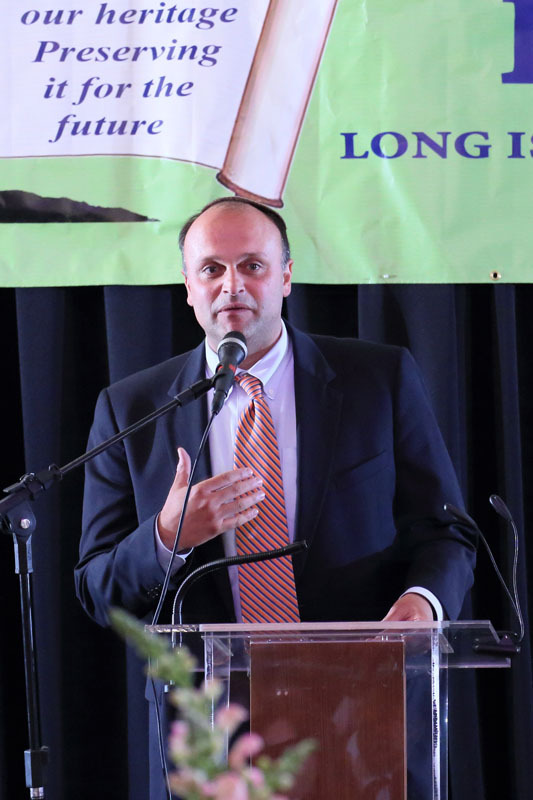 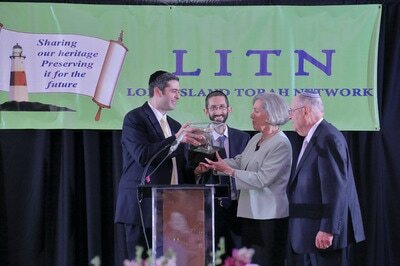 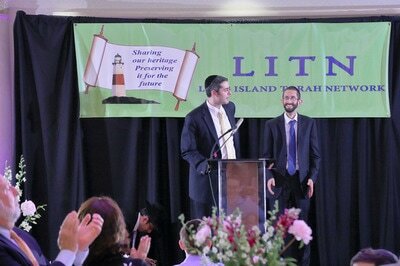 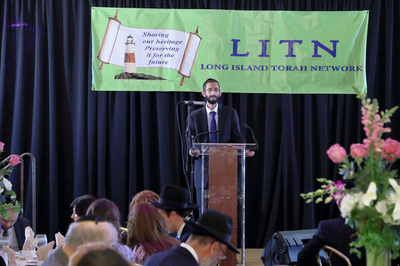 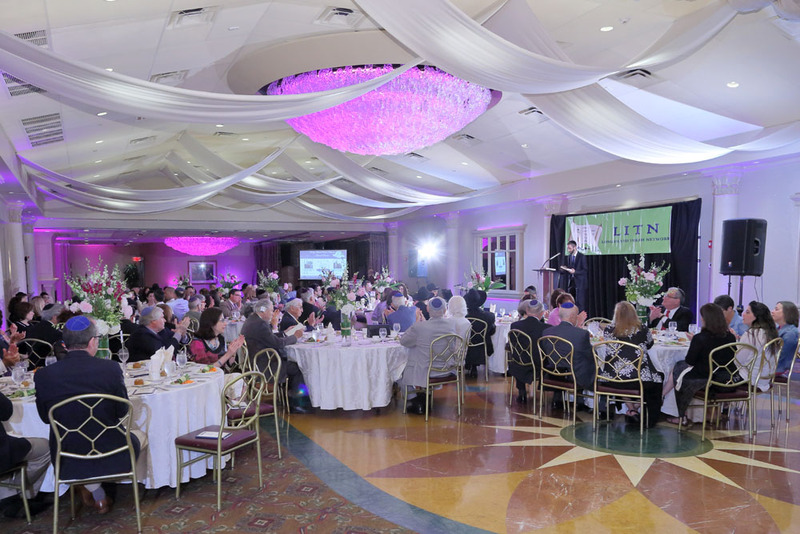 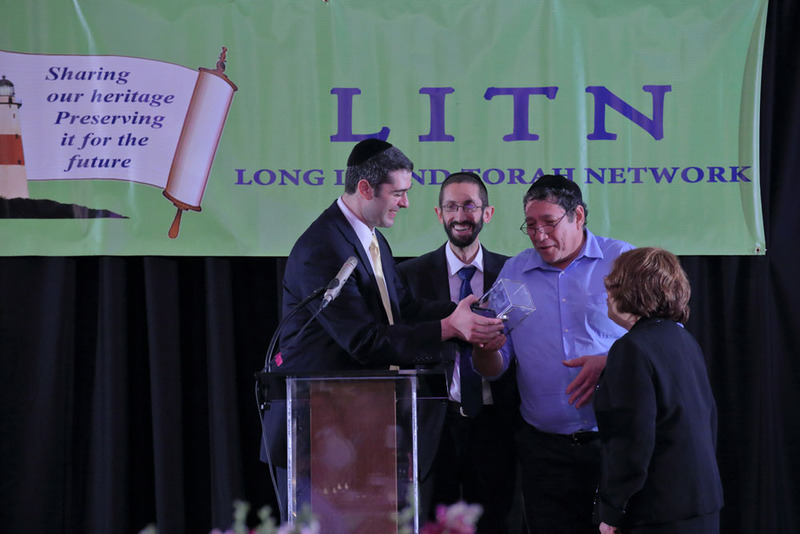 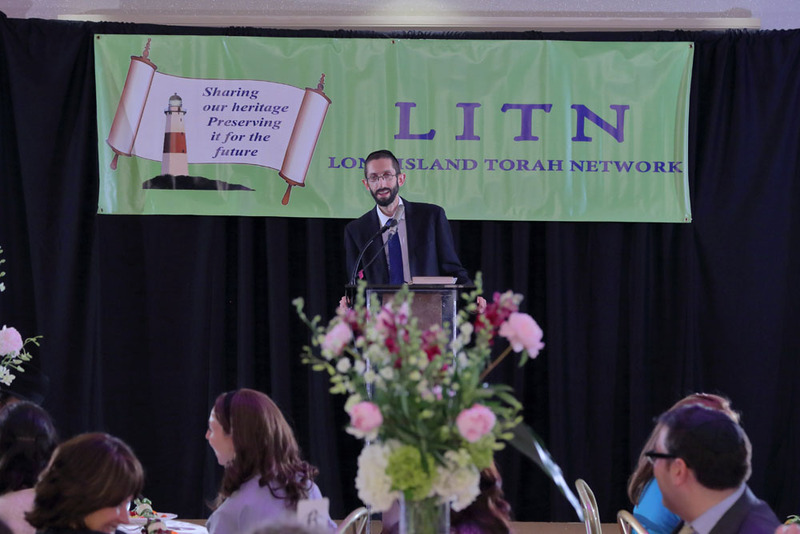 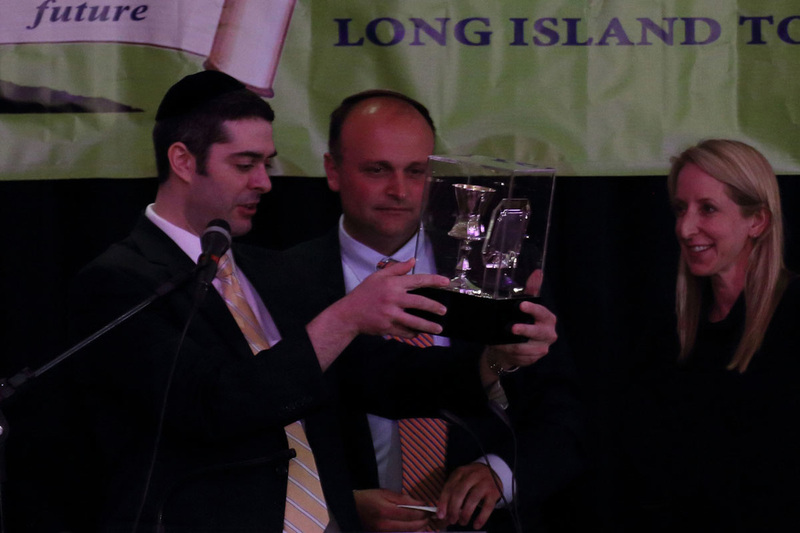 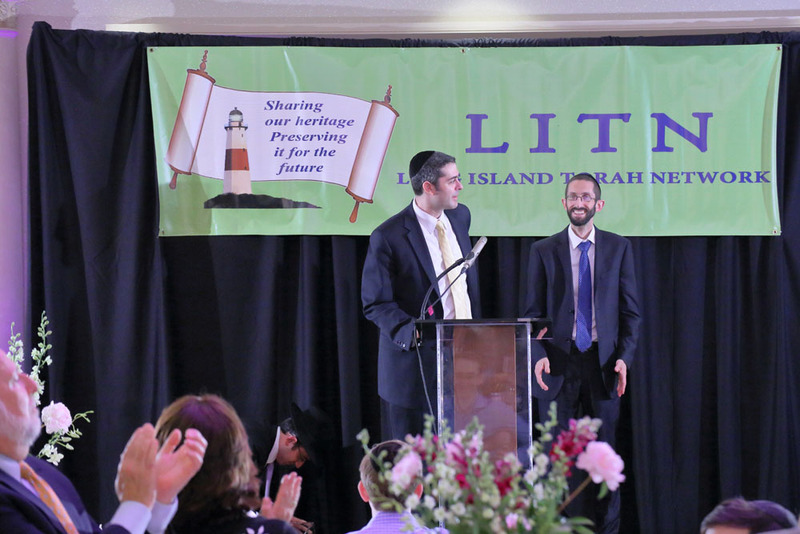 Rabbi Mendel Becker - director of L.I.T.N. 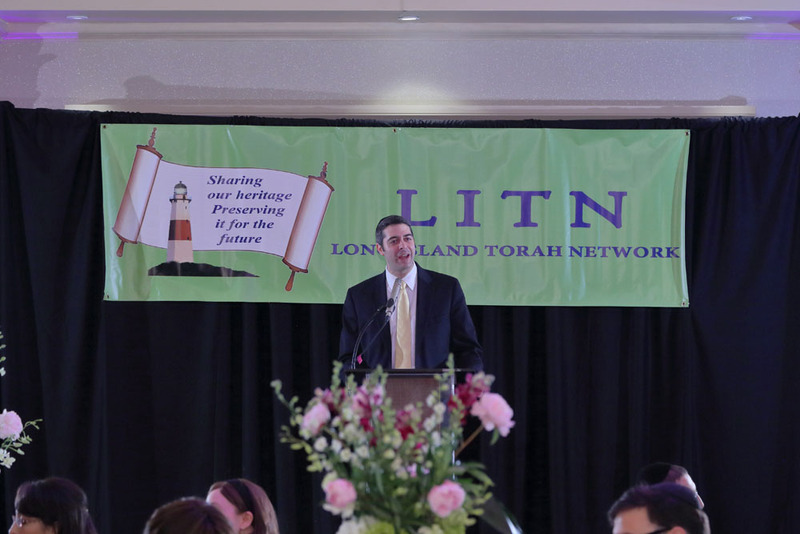 and Rabbi Dov Winston - rabbi of The Young Israel of Merrick shared words of inspiration about the importance and power of Torah study. Rabbi Dovid Becker then completed the tractate and led the talmud group in the Hadran - the special prayer recited at a siyum. 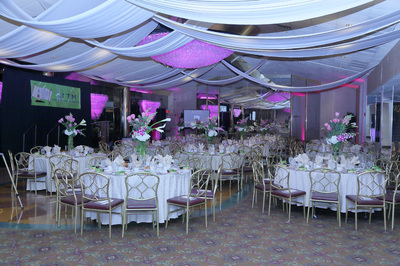 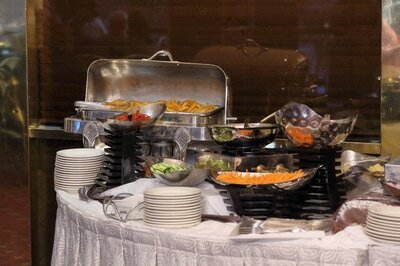 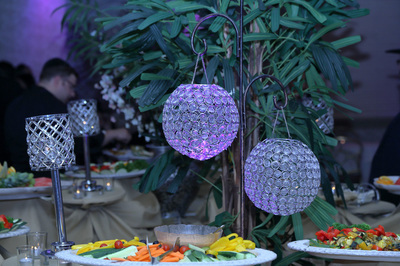 The evening conclude with a music, dancing and a fabulous dinner! 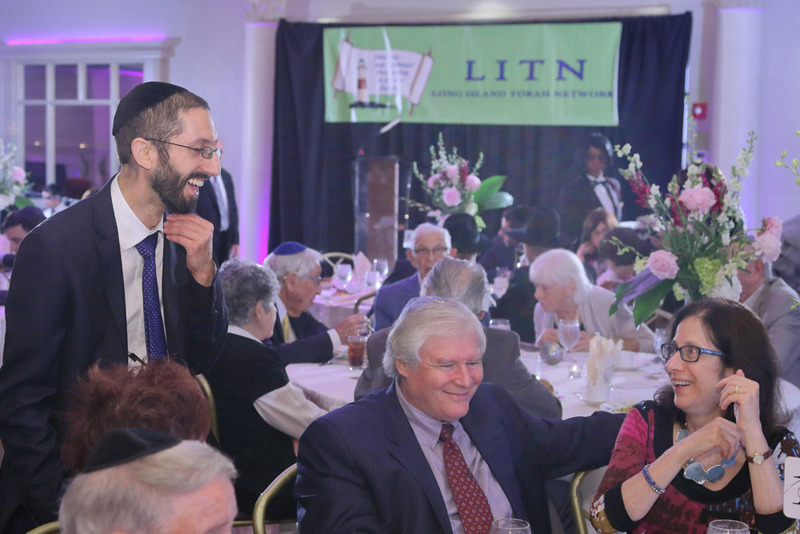 The Talmud study group has already begun Tractate Beitzah and is looking forward to finishing it and celebrating their third siyum with L.I.T.N! 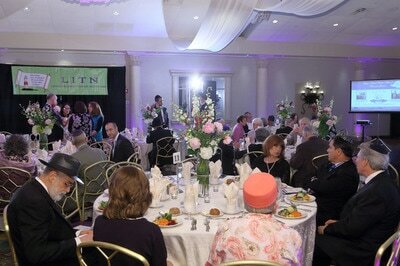 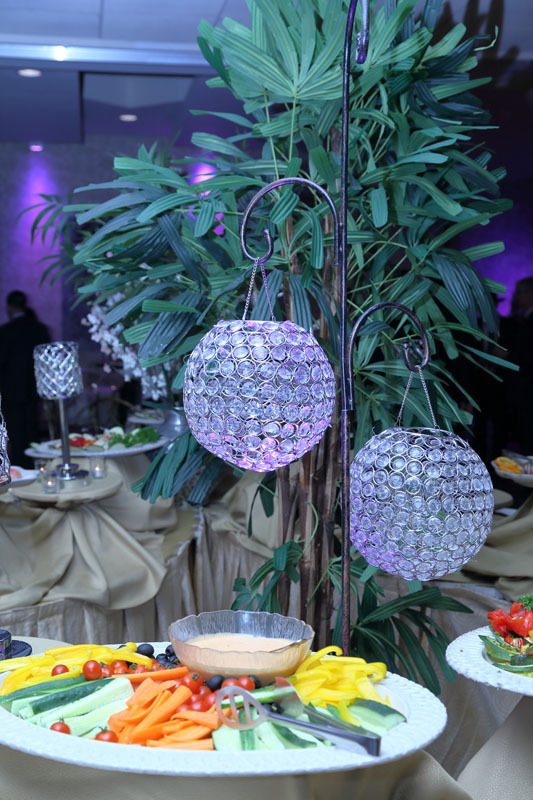 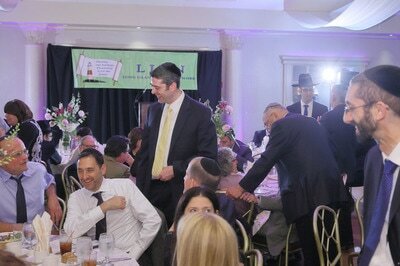 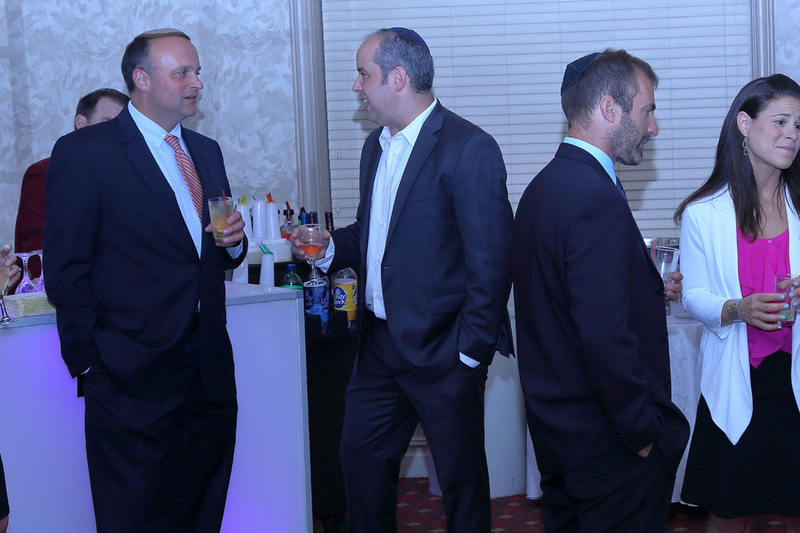 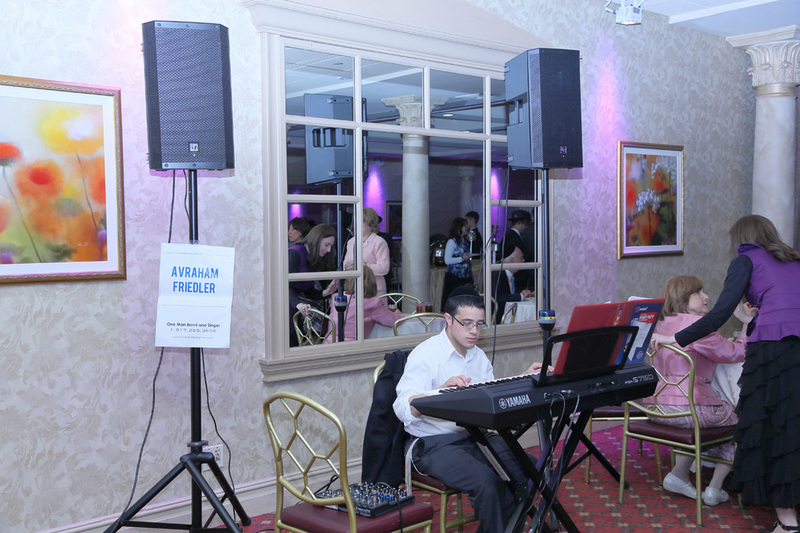 Special thanks to our Siyum sponsors! 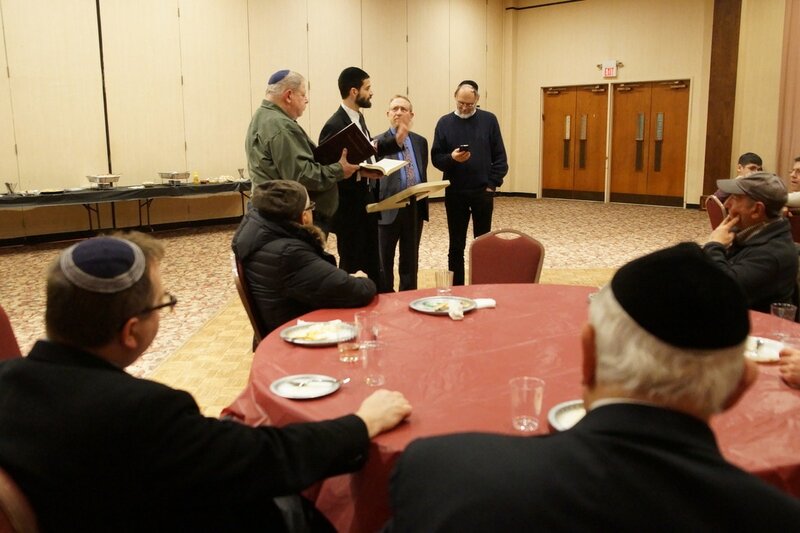 On Monday, March 13th, the Merrick community celebrated a joyous Siyum(study completion event) on Talmud Maseches(Tractate) Megillah. 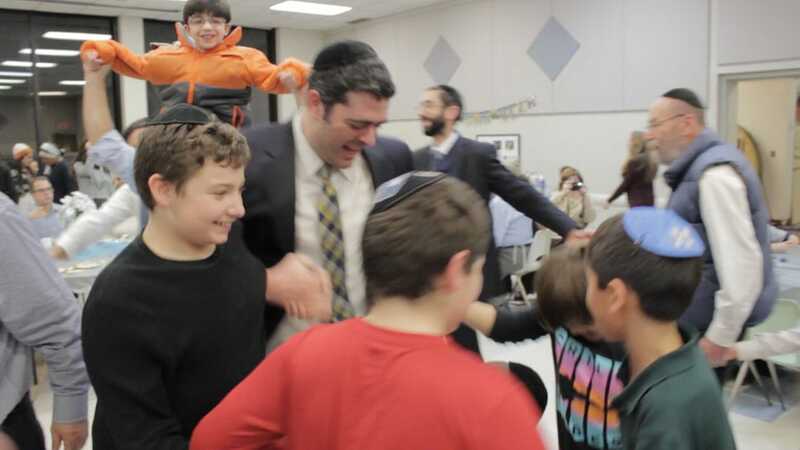 Every Monday the Beis Medrash Night, brings together a team of enthusiastic teachers and eager students who meet to study Gemara, Chumash, Mishnah and Mussar. 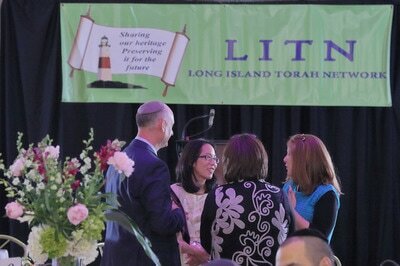 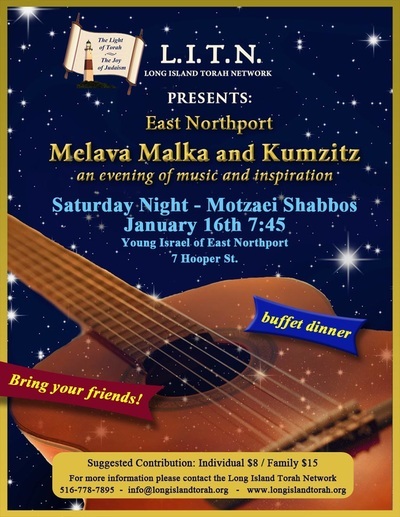 The program alternates between two local Shuls: the Young Israel of Merrick and Congregation Ohav Shalom. A group consisting of Rabbi Tuvya Aronovitch, James Klatzky and Jeffrey Maynard spent over a year learning Megillah together. 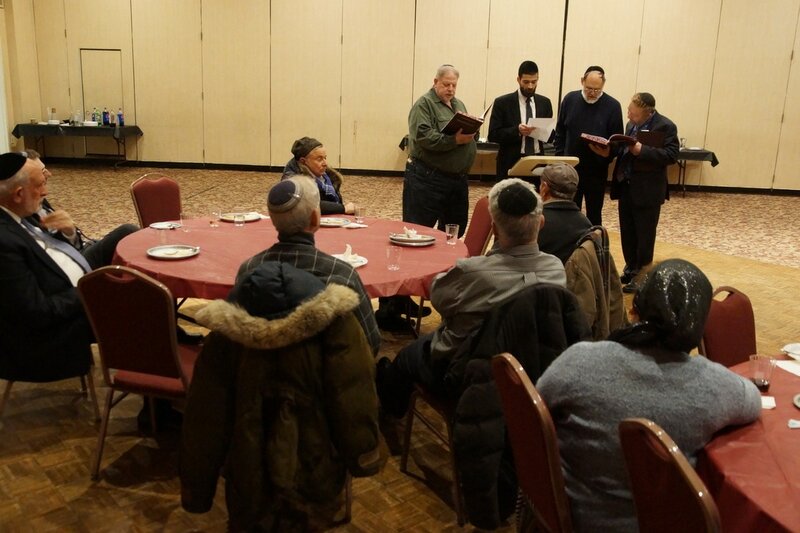 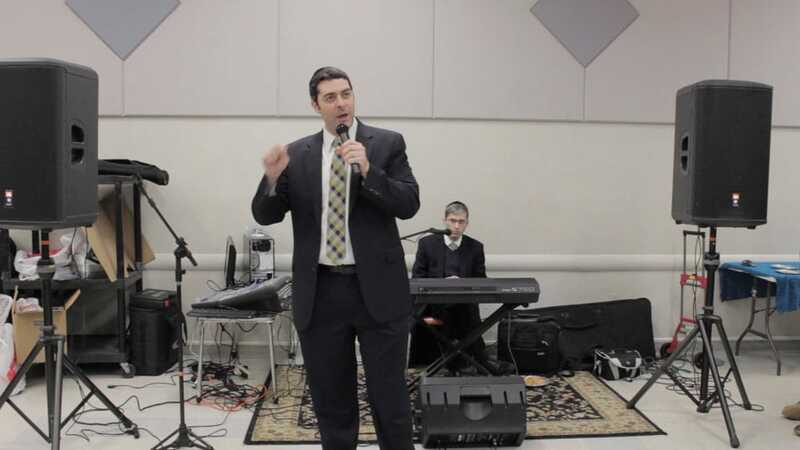 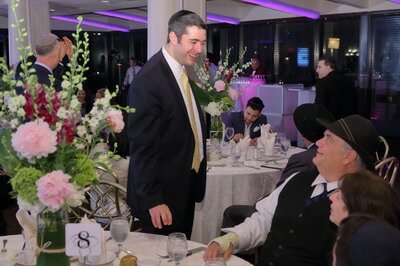 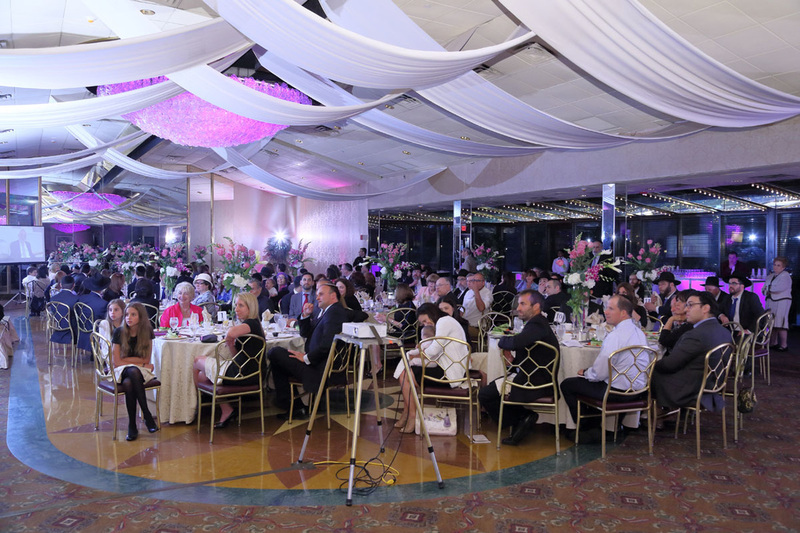 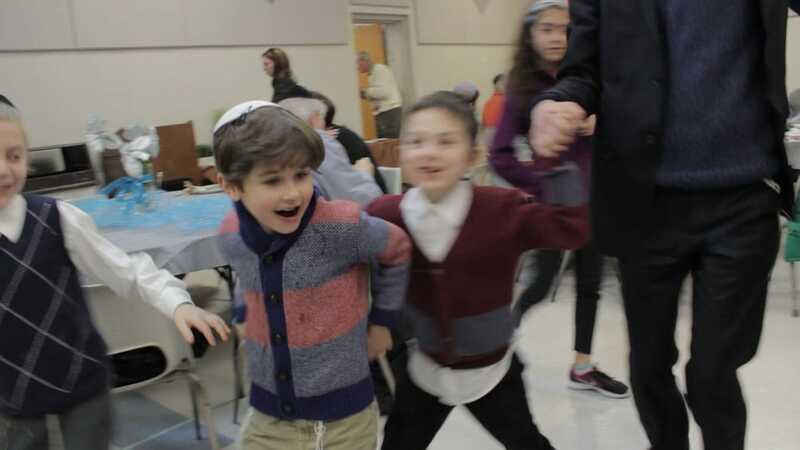 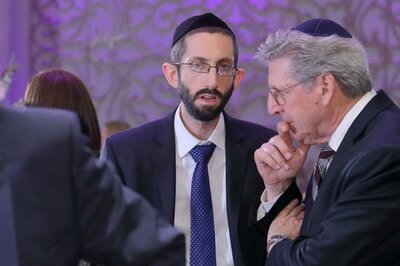 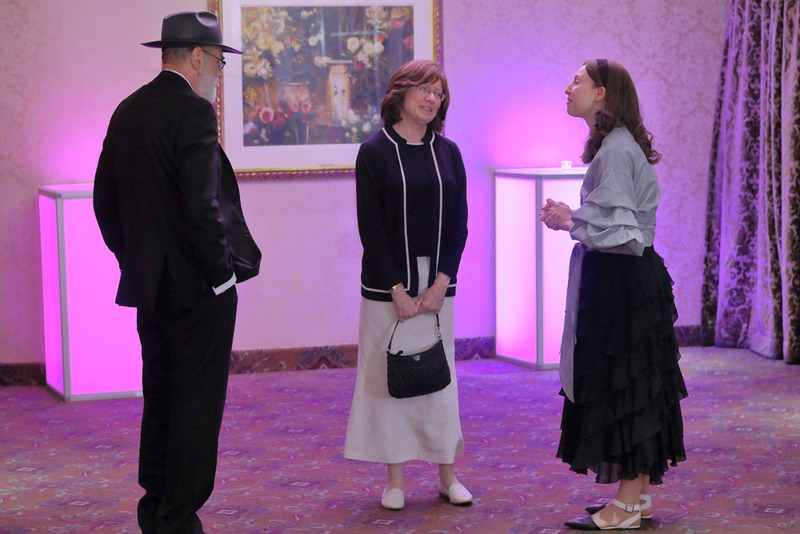 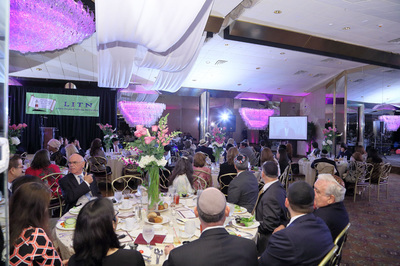 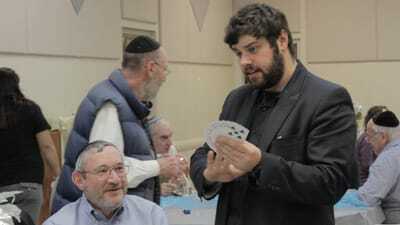 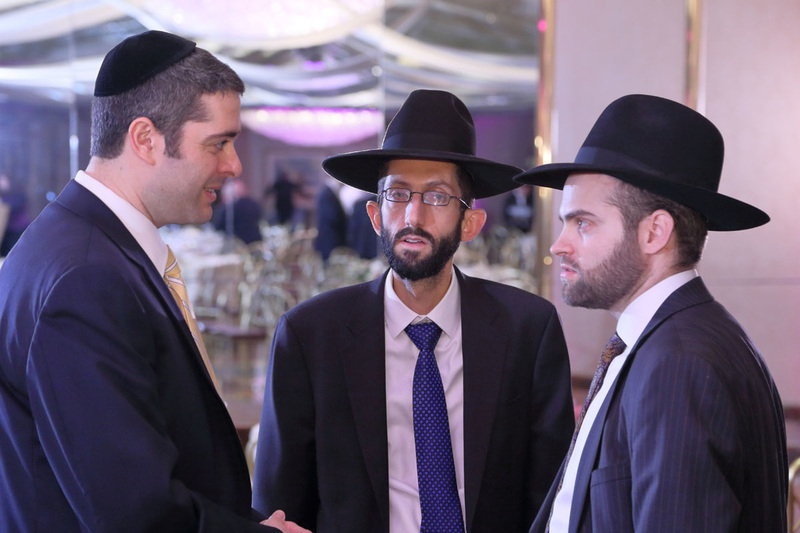 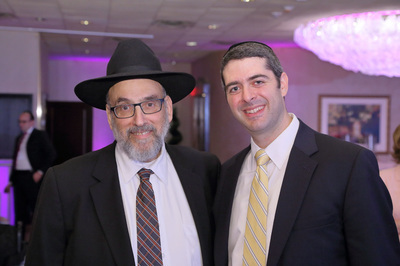 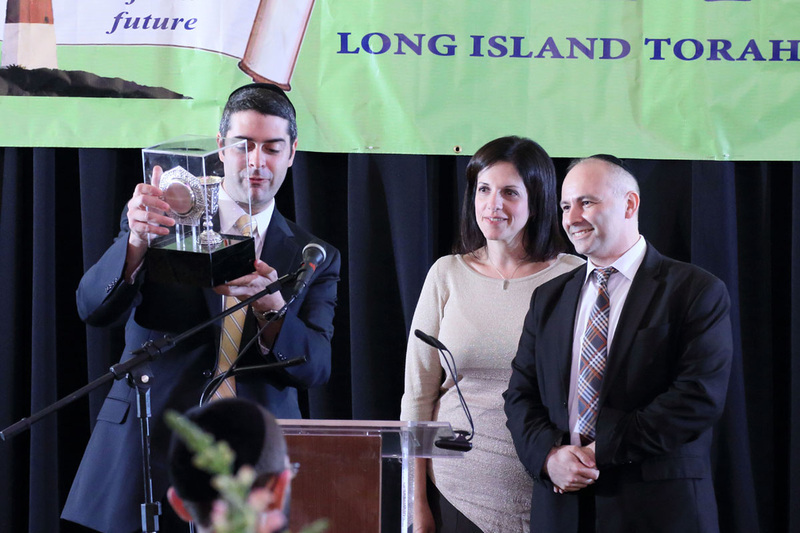 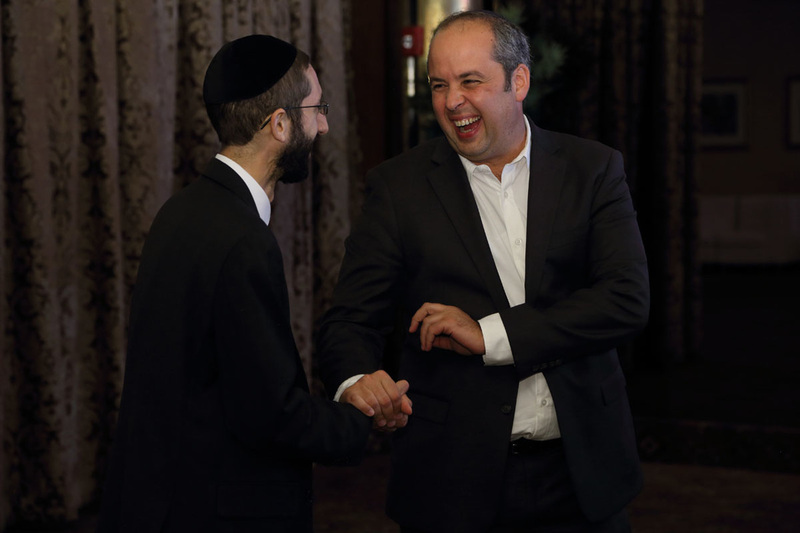 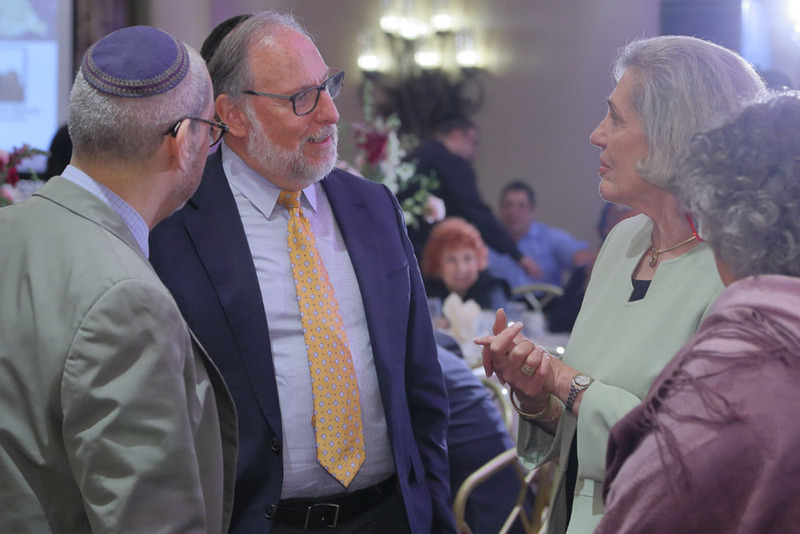 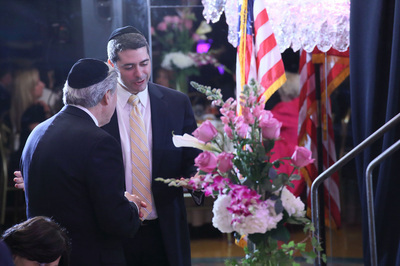 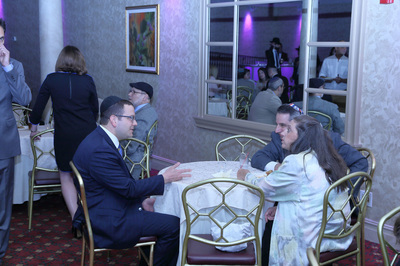 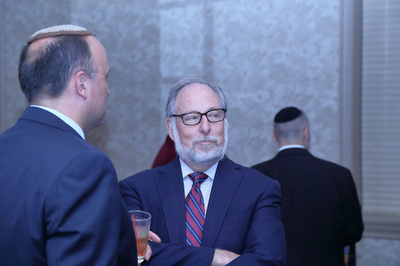 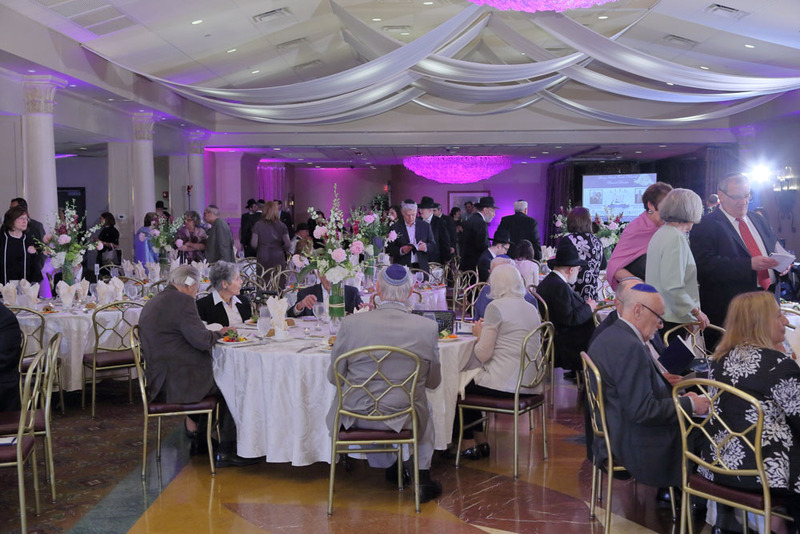 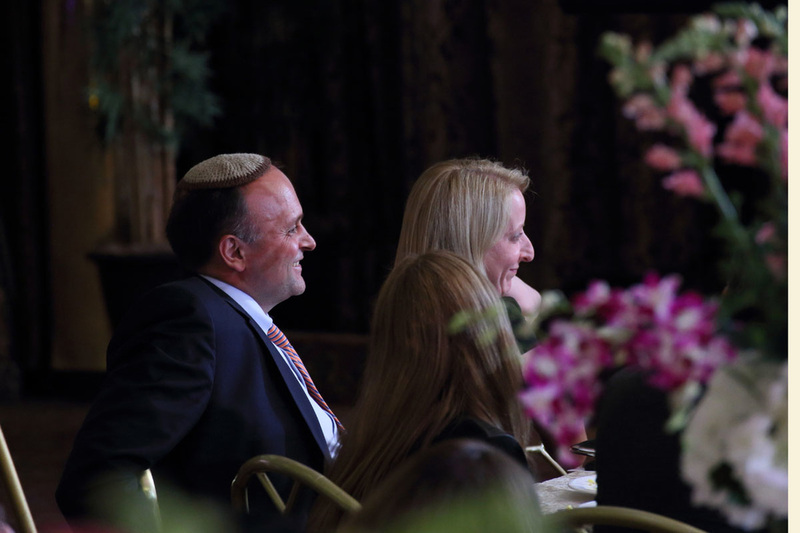 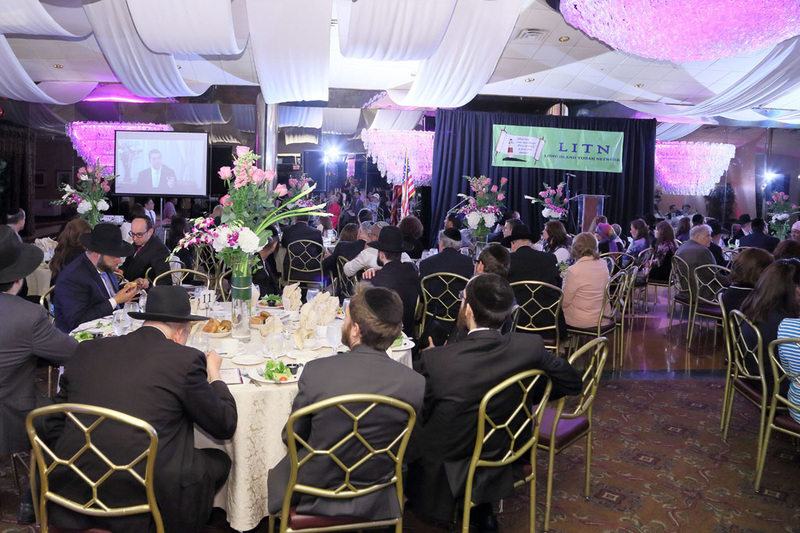 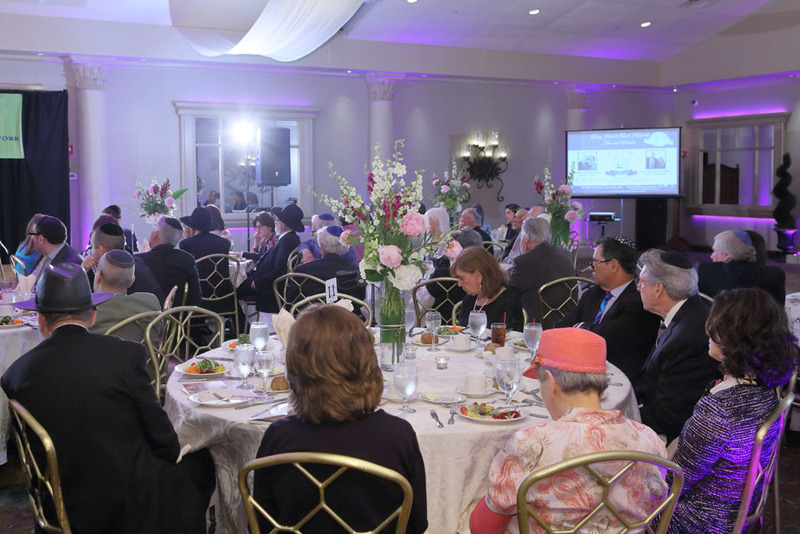 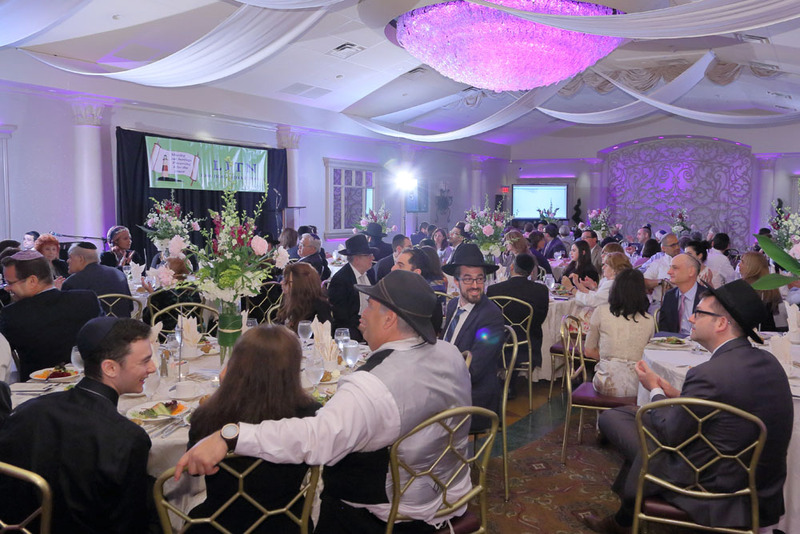 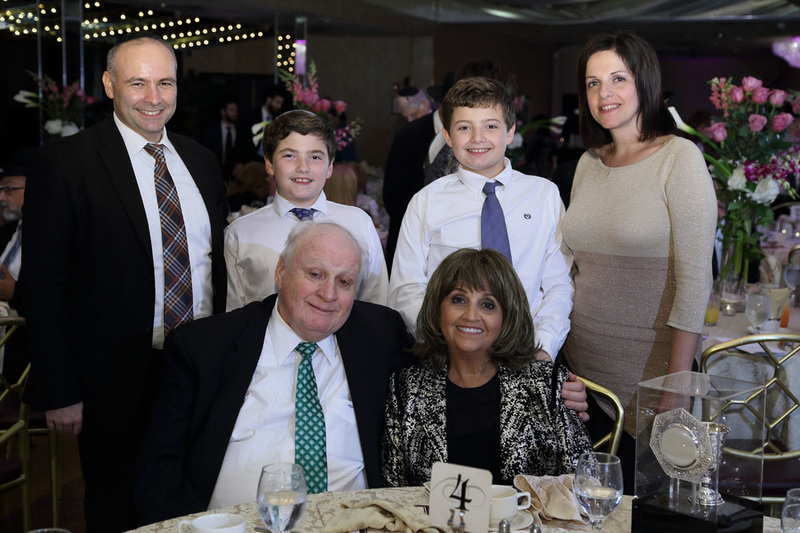 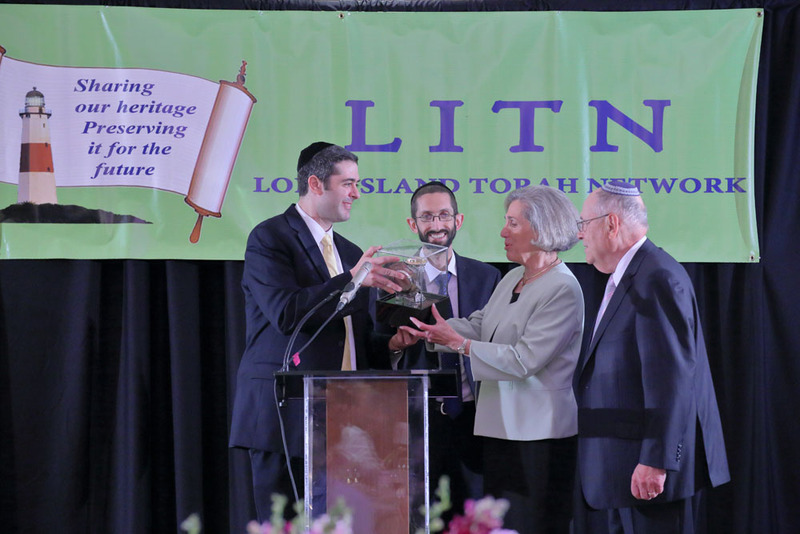 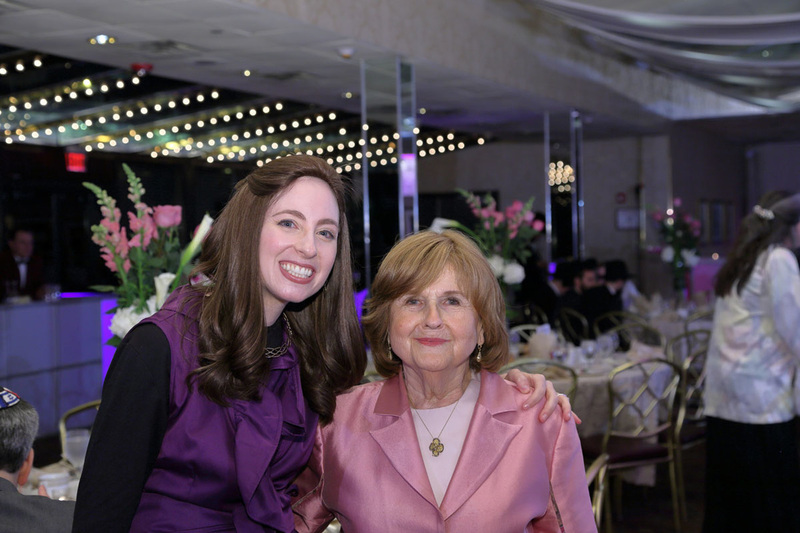 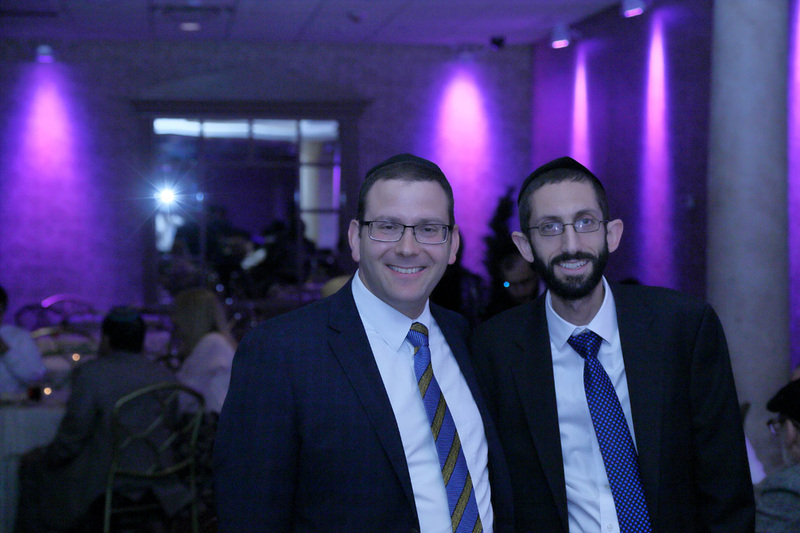 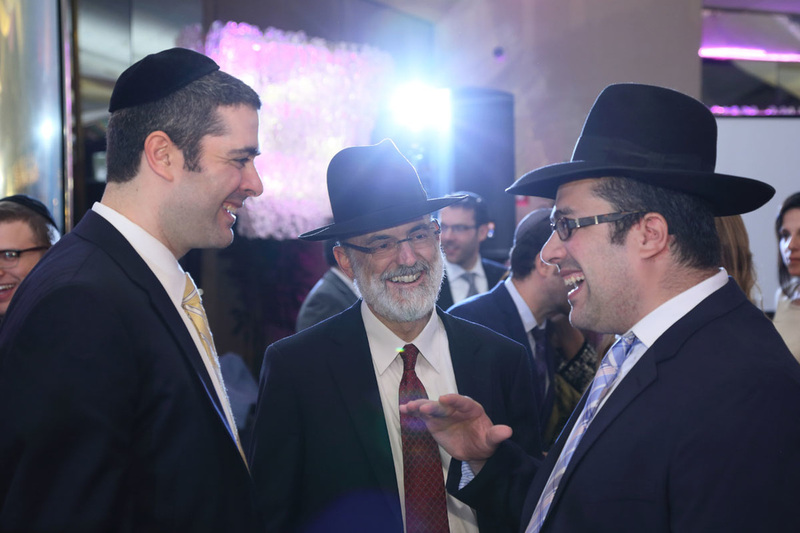 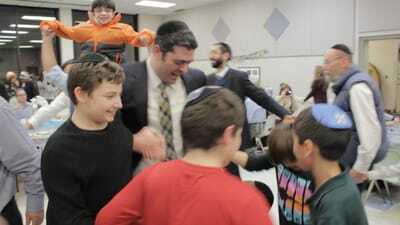 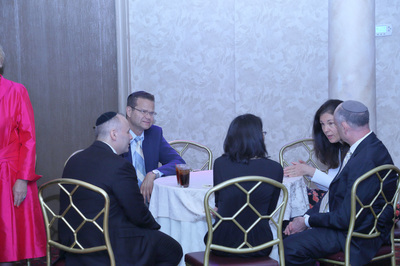 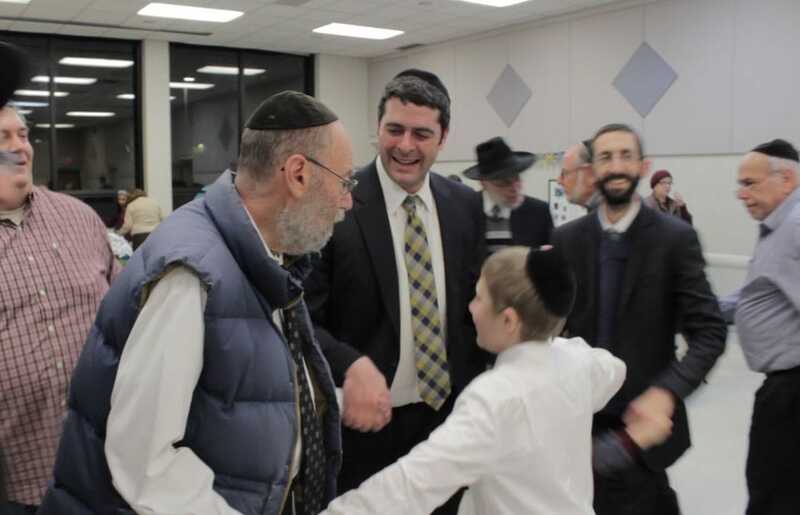 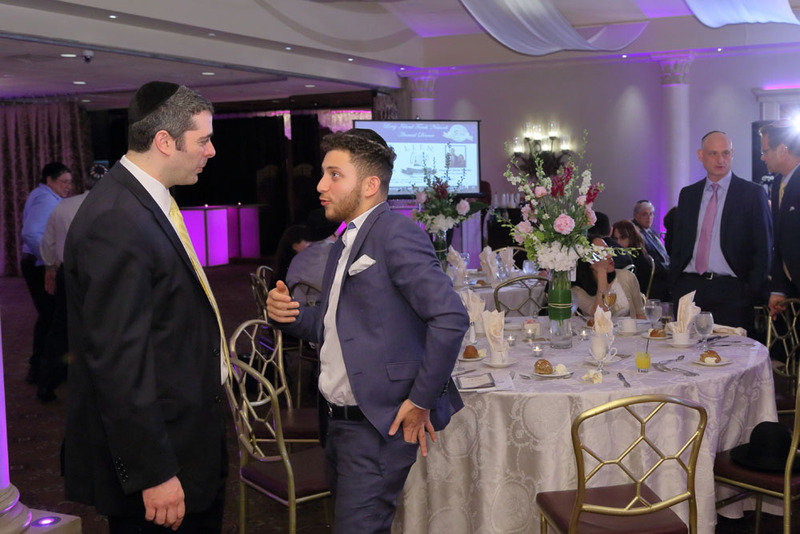 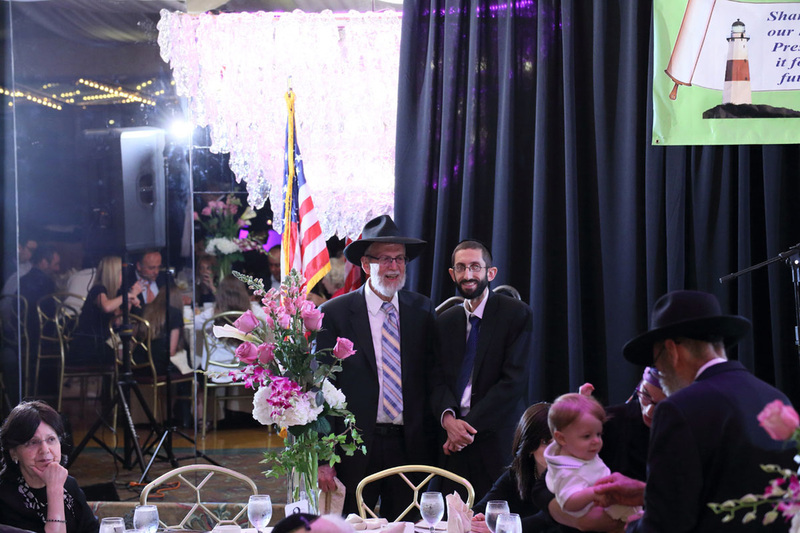 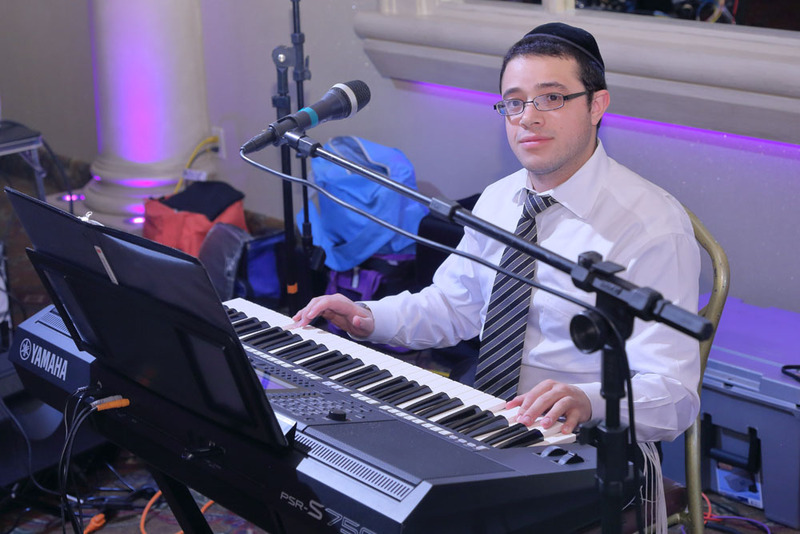 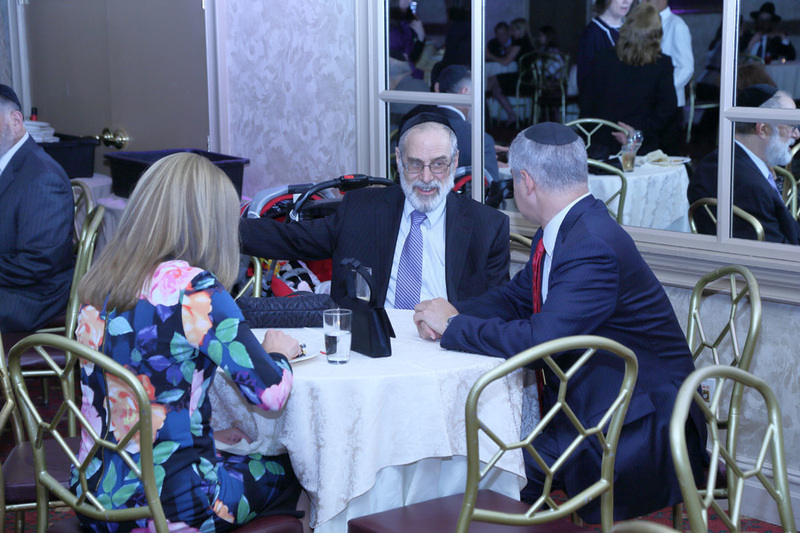 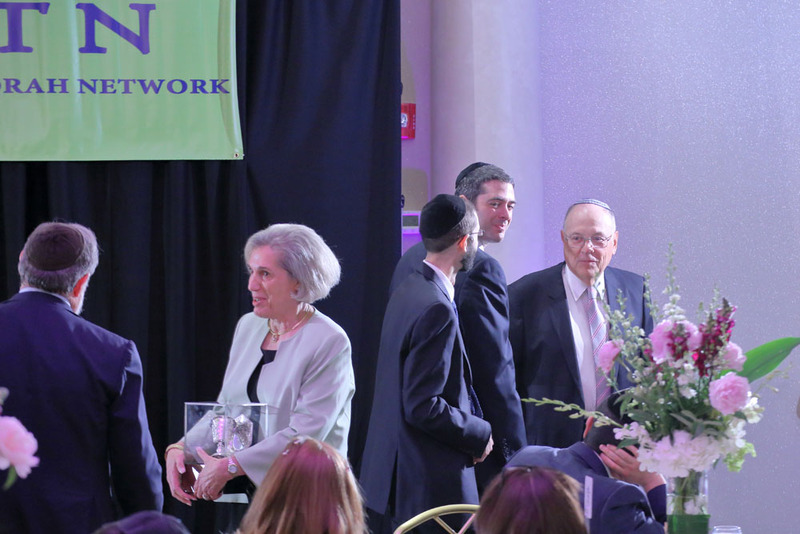 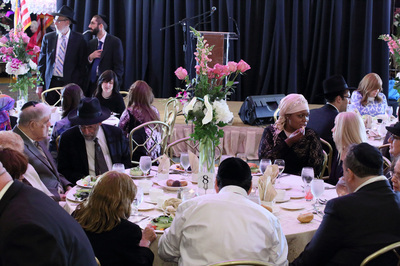 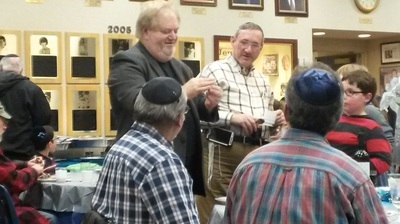 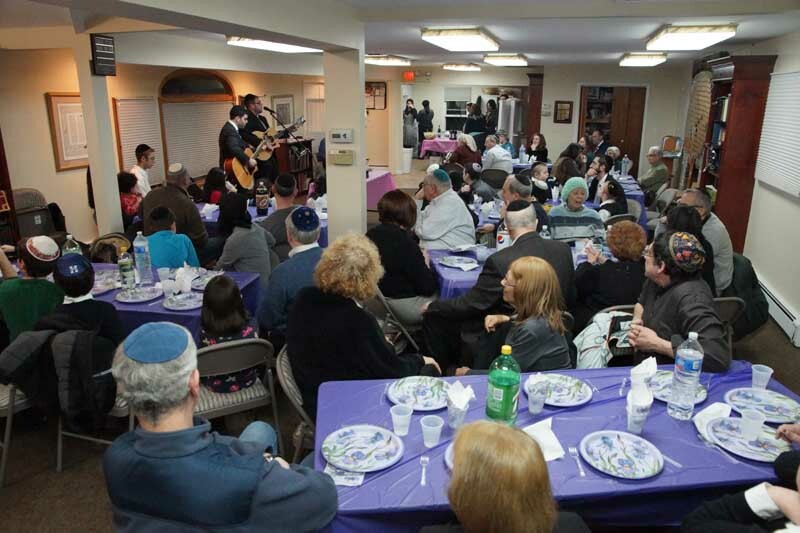 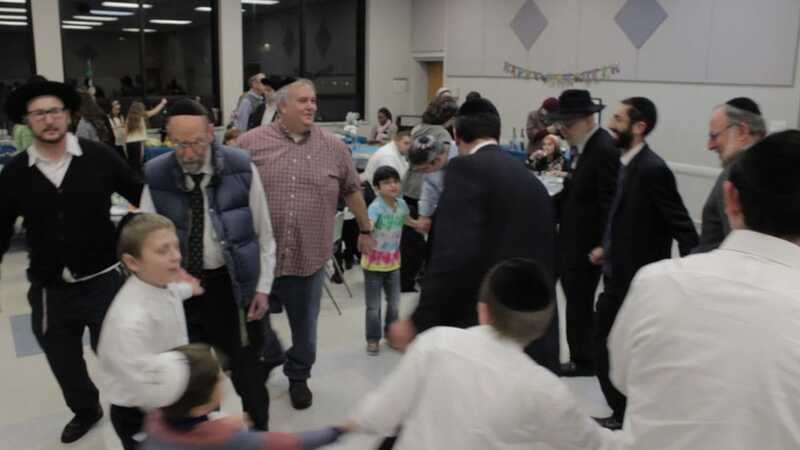 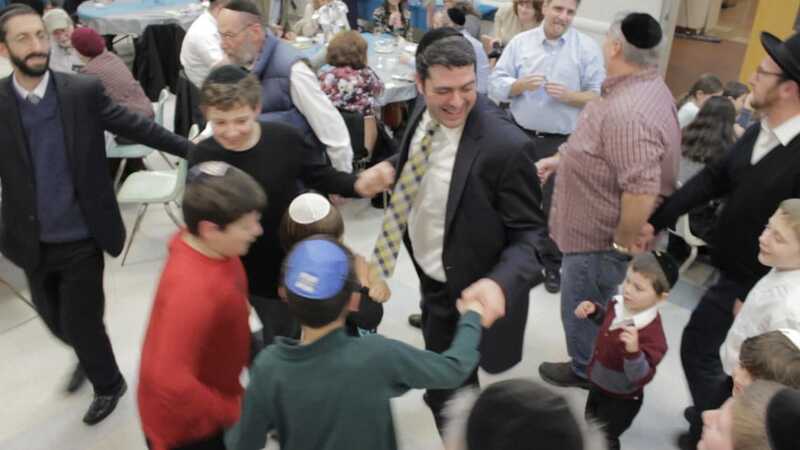 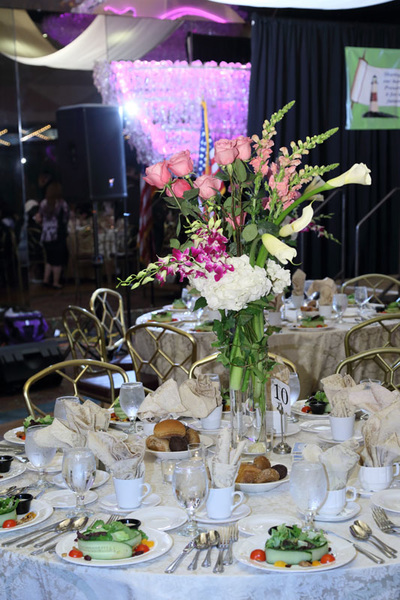 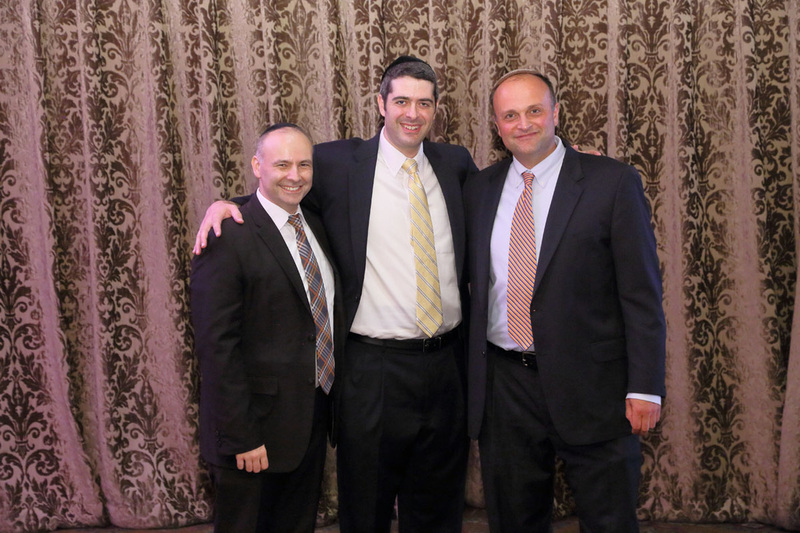 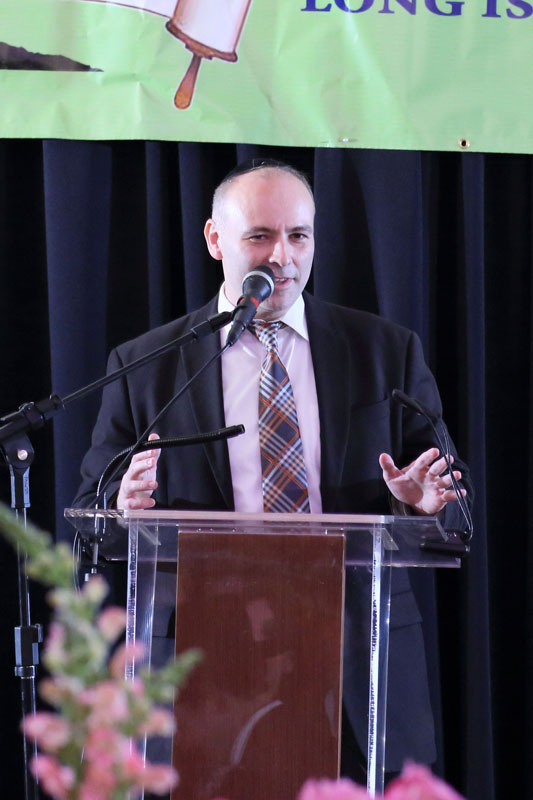 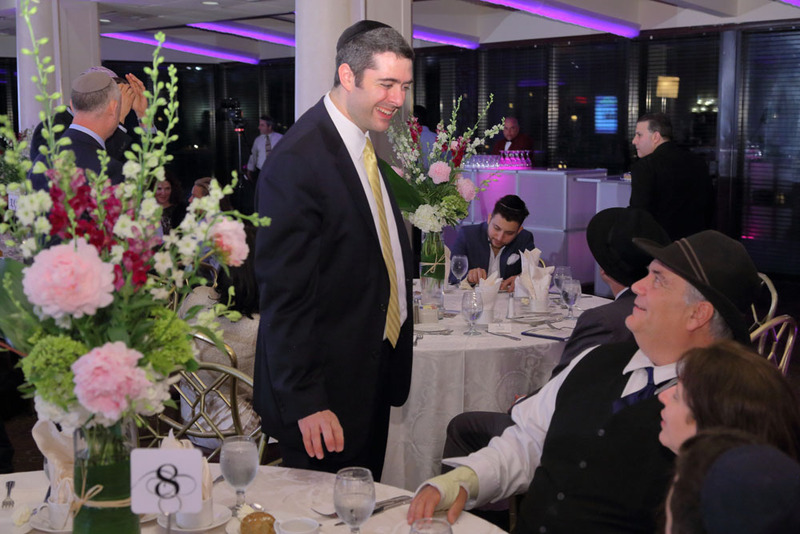 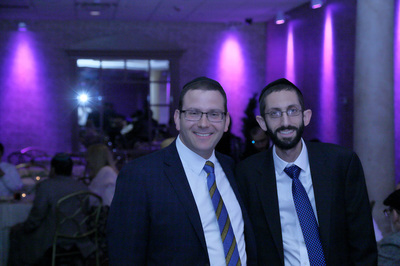 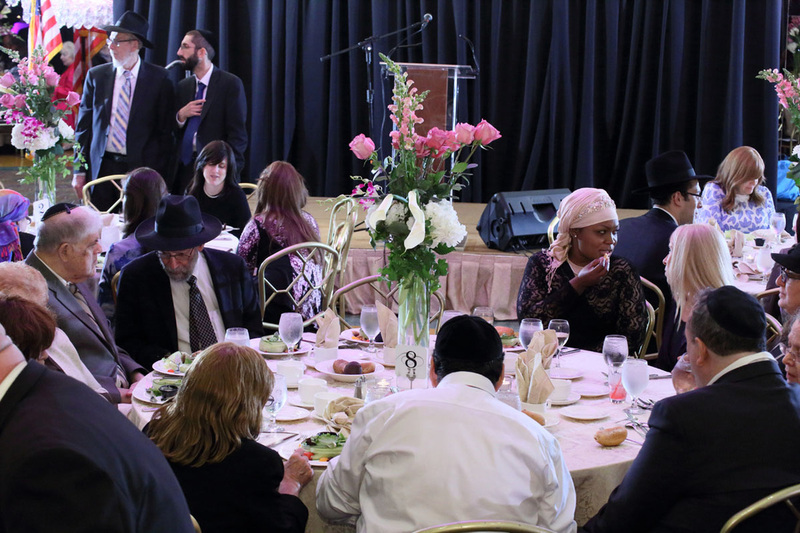 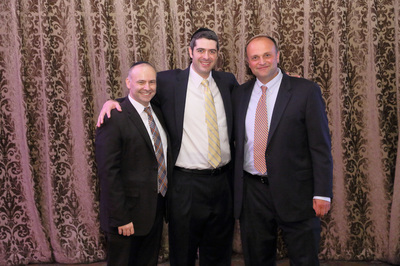 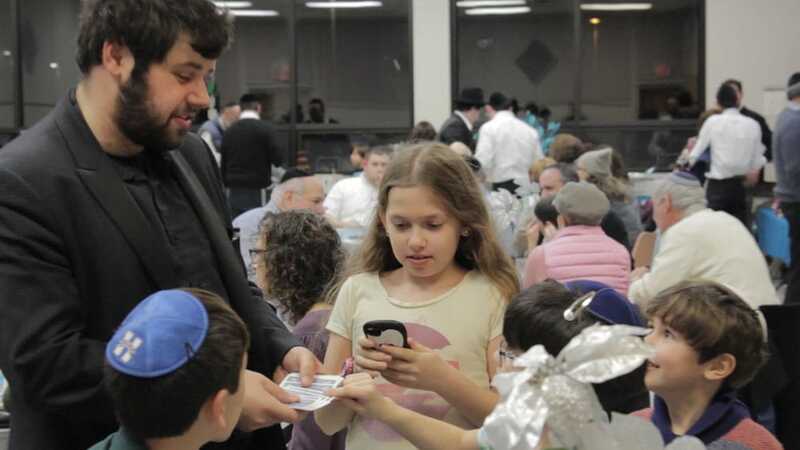 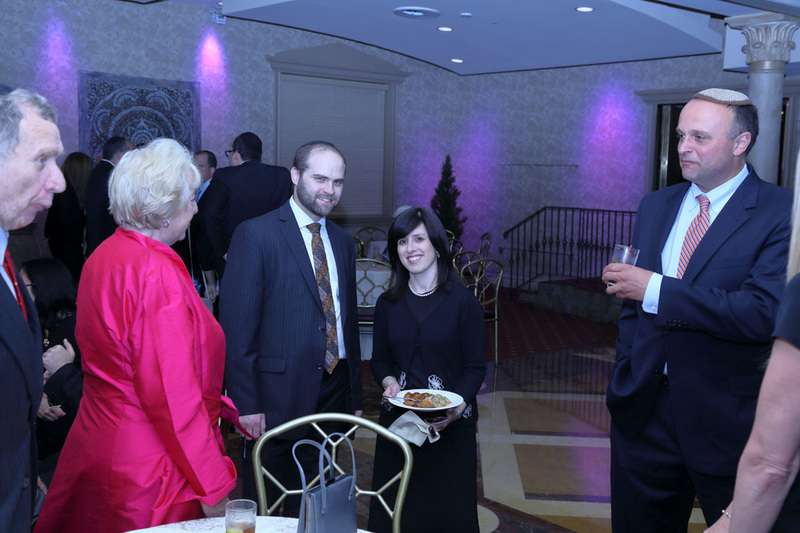 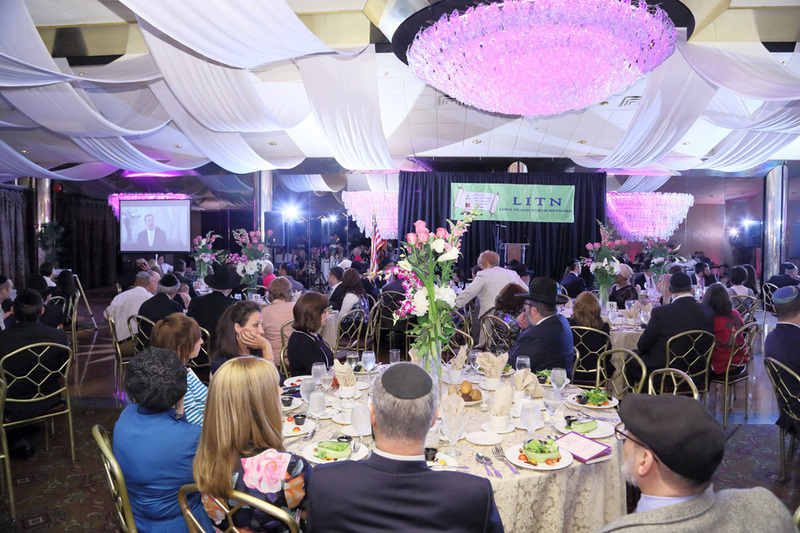 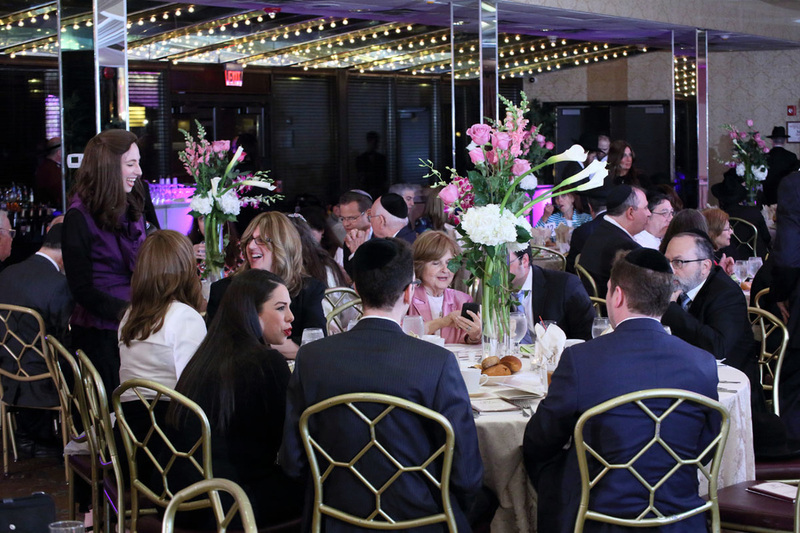 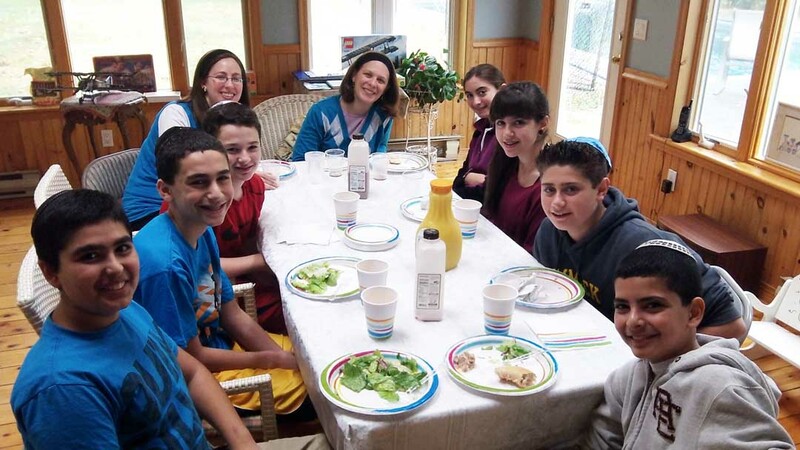 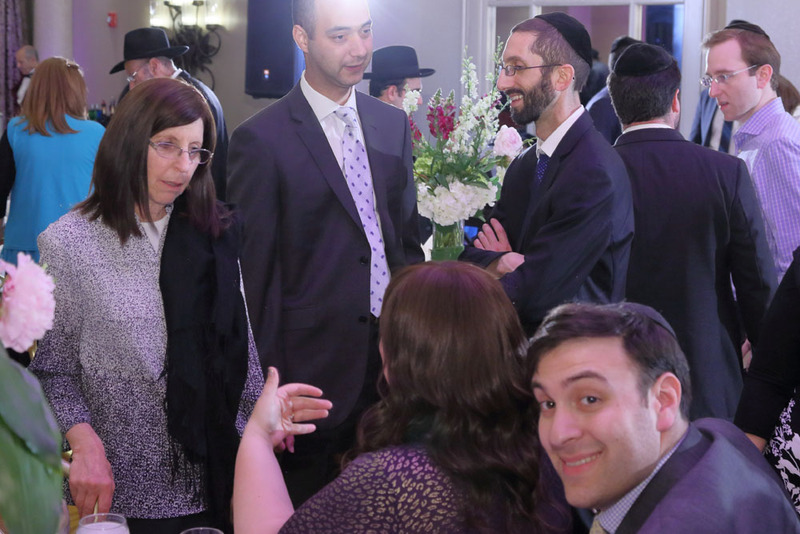 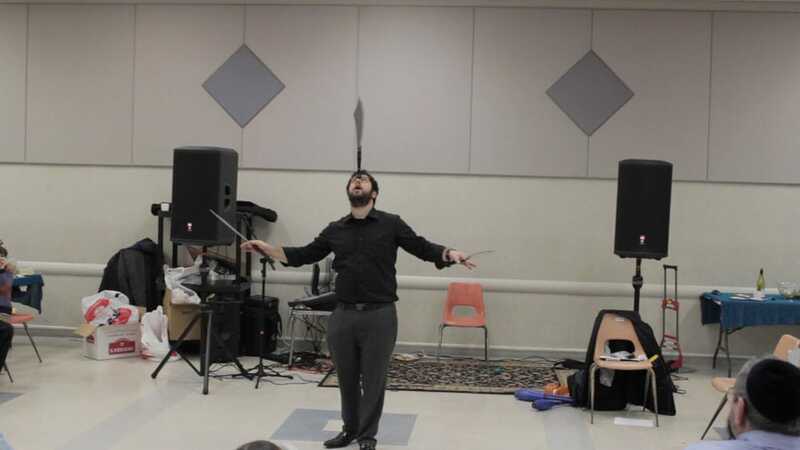 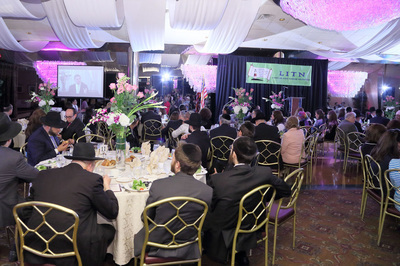 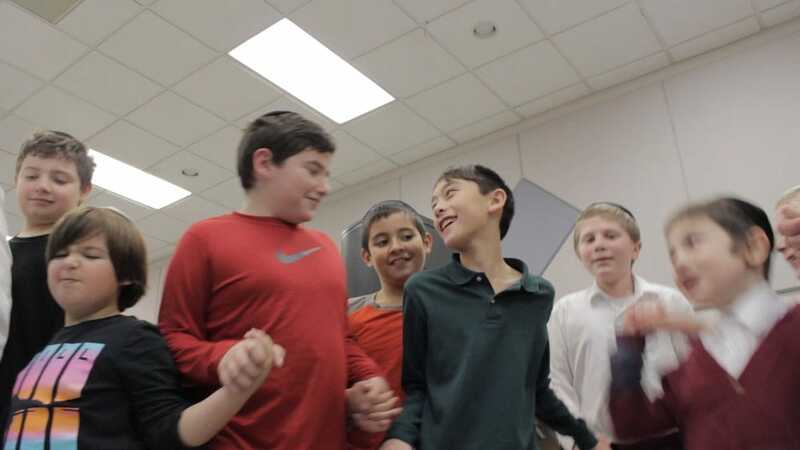 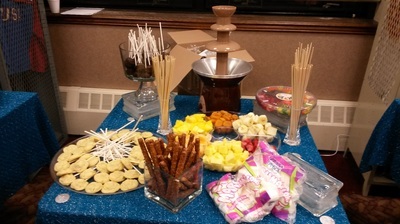 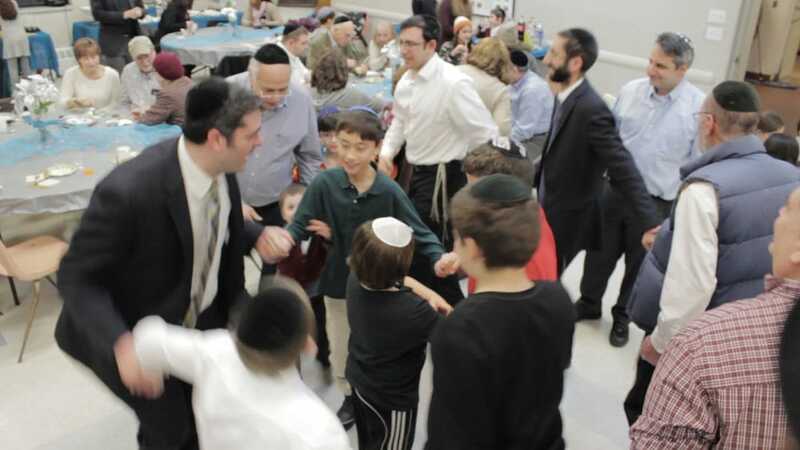 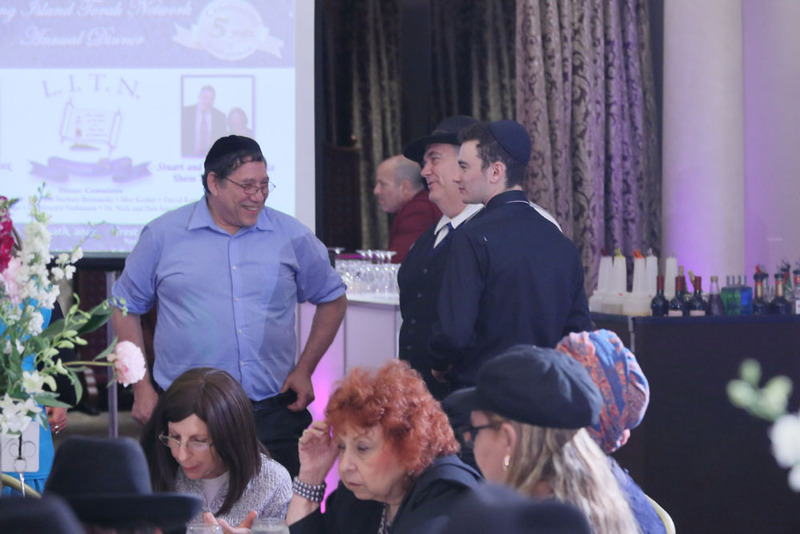 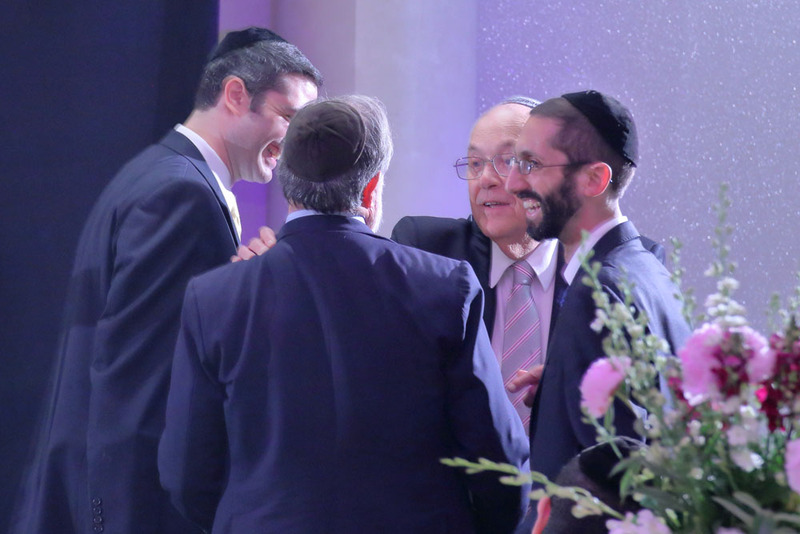 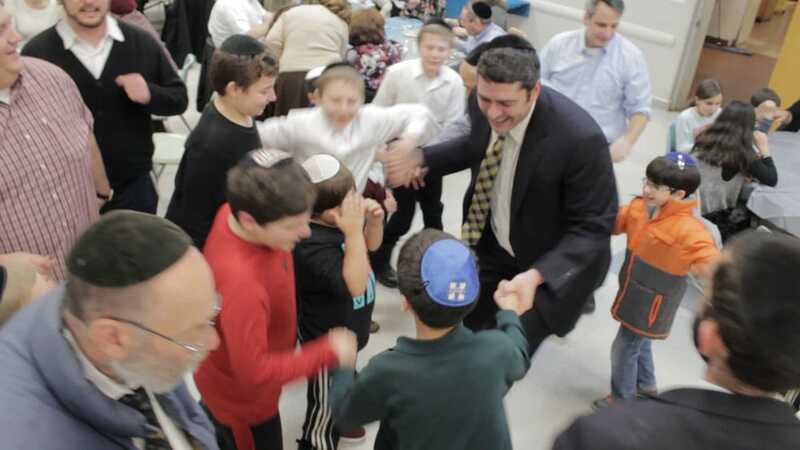 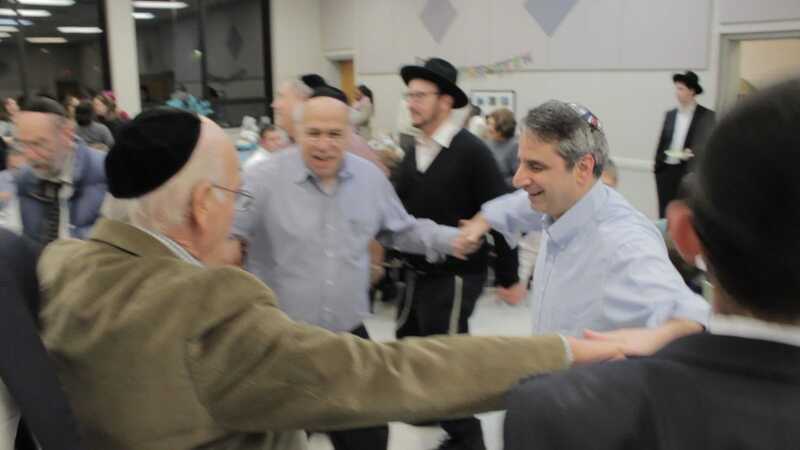 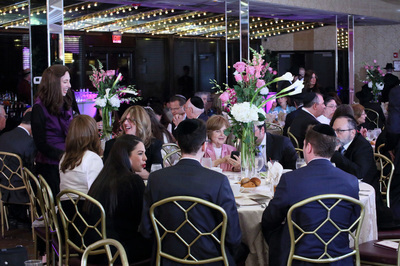 The Siyum, which took place at Ohav Sholom, was attended by its rabbi, Rabbi Ira Ebbin, Rabbi Marc Volk of Young Israel, and a number of members of the community. 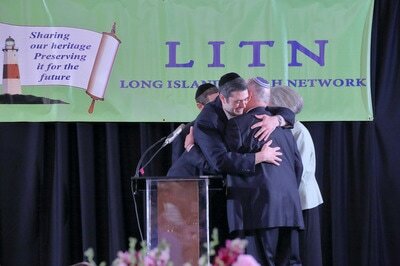 L.I.T.N. 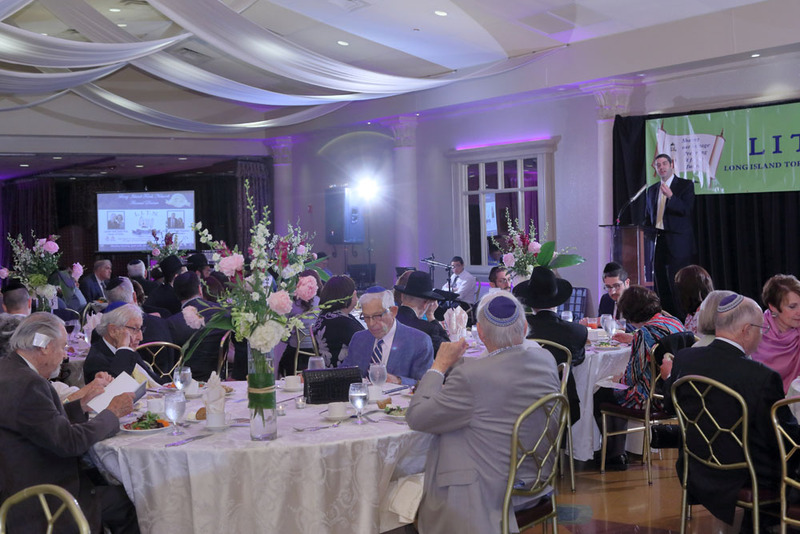 Director Rabbi Mendel Becker opened the event by speaking about the importance of Torah learning as the key to the eternity of the Jewish people. 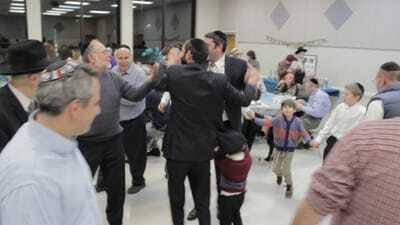 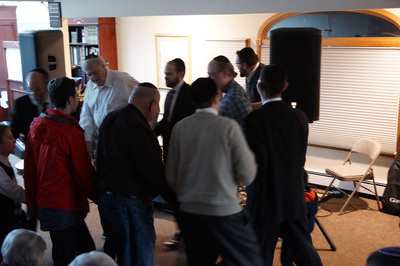 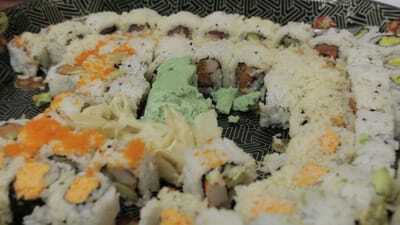 Rabbi Aronovitch then completed the Tractate, and the special Siyum prayer was recited in unison by the group, followed by singing, dancing and a festive dinner. ​Not ones to rest on their laurels, the group has already begun its next project: Tractate Rosh Hashanah. 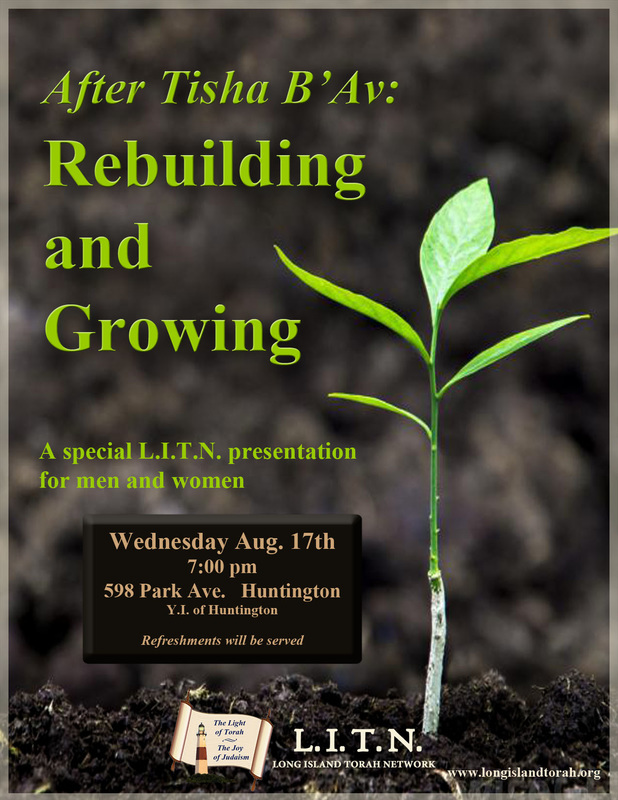 This past Wednesday night in Huntington, Rabbi Becker gave an inspiring presentation on using the impact of Tisha B'Av as a catalyst for growth and spiritual rebuilding. 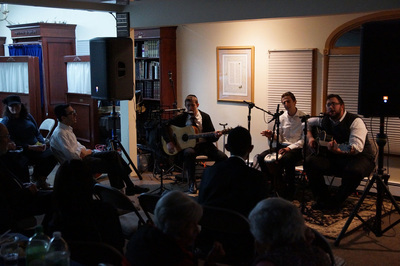 The class concluded with a moving guitar performance of the song "Nachamu Ami" - "Comfort my People". 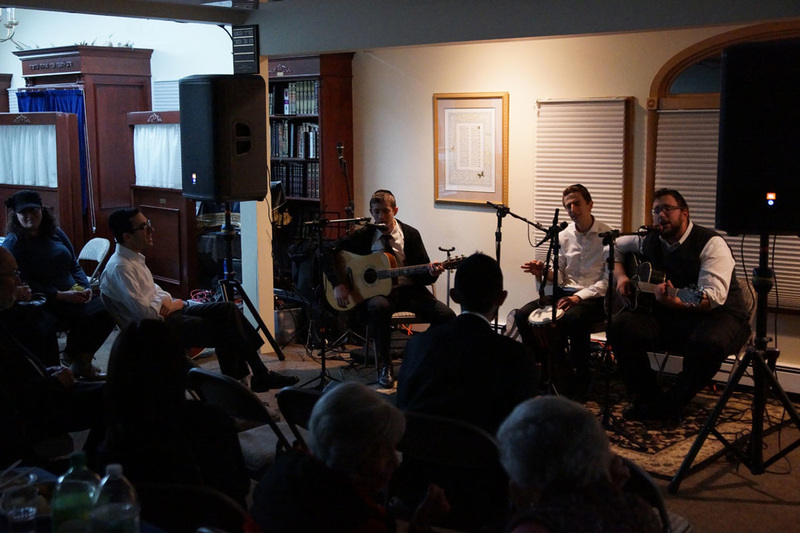 The words of the song are found in the book of Isaiah and read around the world in the Haftorah on the Shabbos following Tisha B'Av. 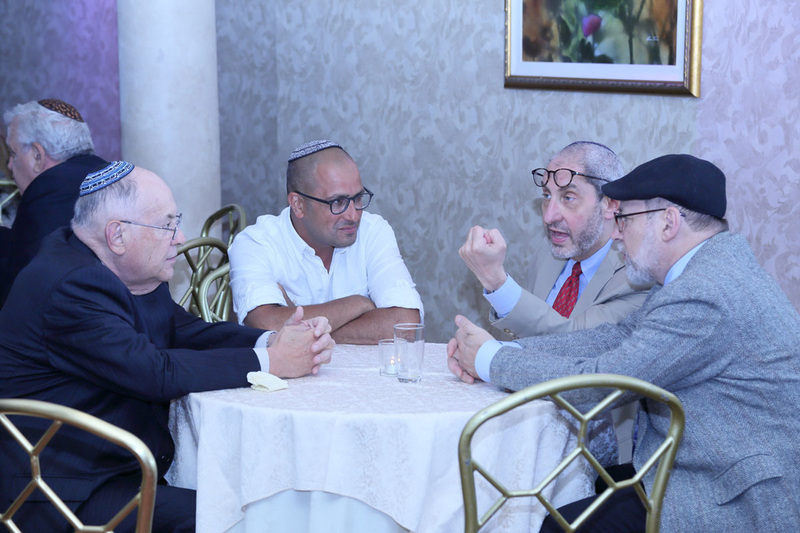 They are Hashem's words of consolation to the Jewish people after the destruction of Jerusalem. 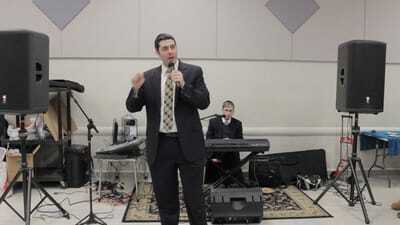 Please click on the video below to watch a multimedia video of the song. 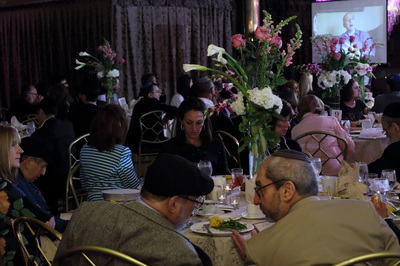 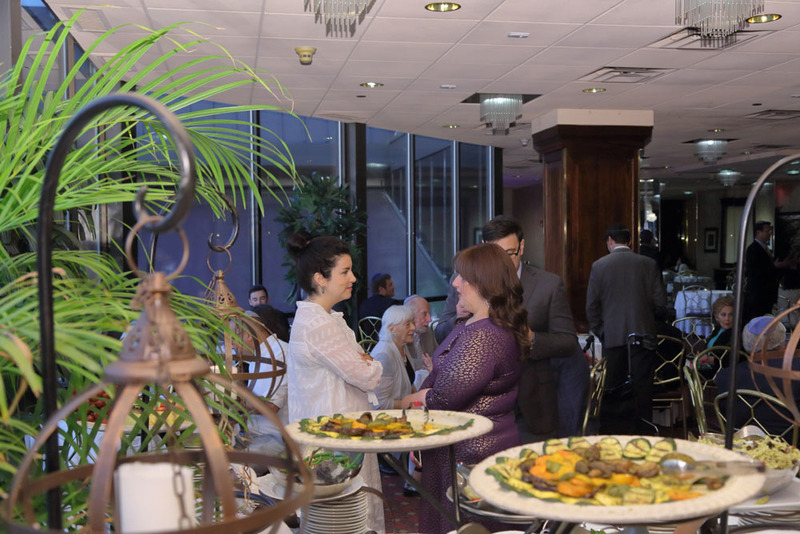 Thank you to all who attended and to all who contributed to the journal, helping to make this event such a beautiful success! 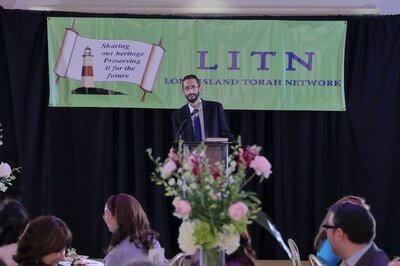 This past Sunday, March 27th, the L.I.T.N. 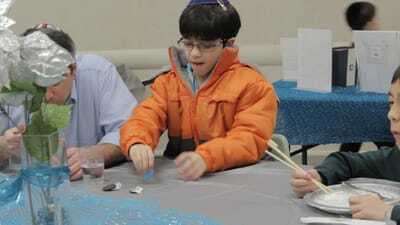 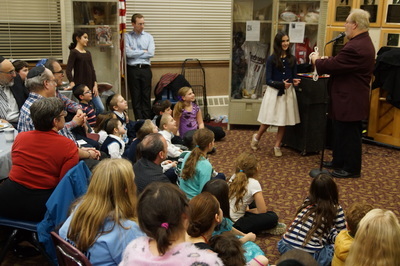 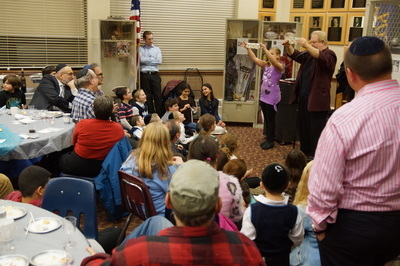 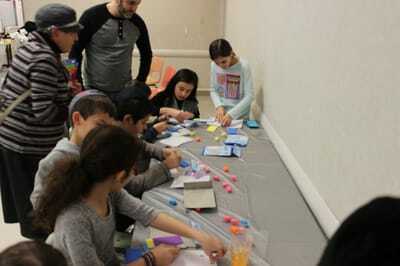 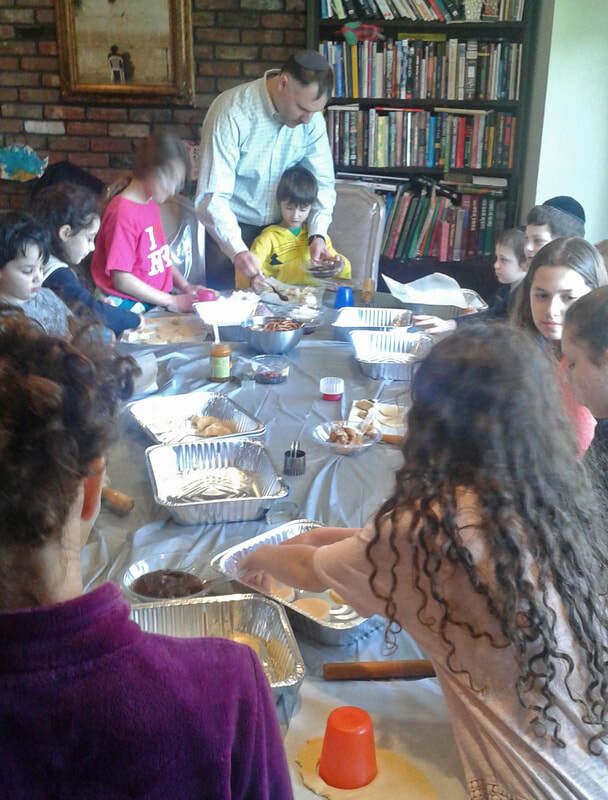 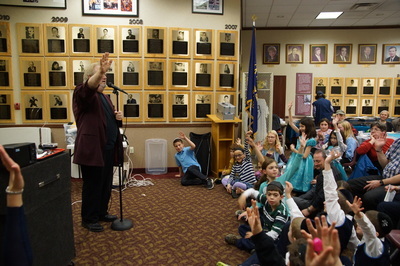 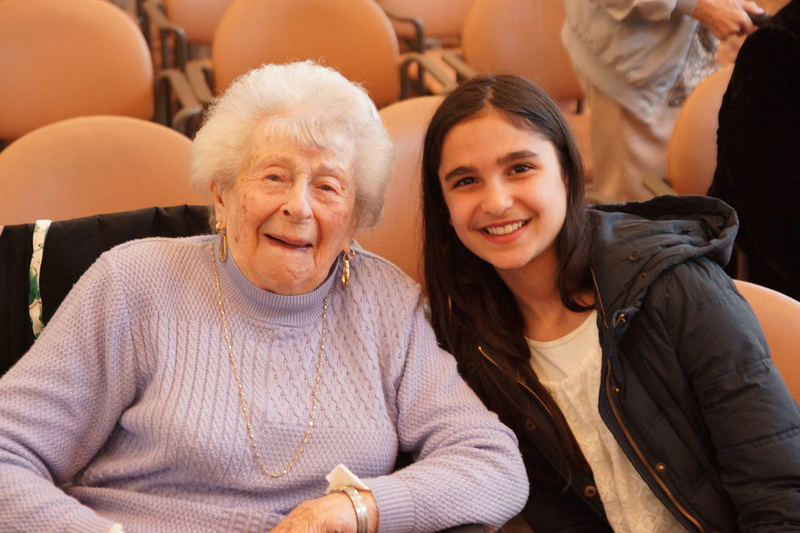 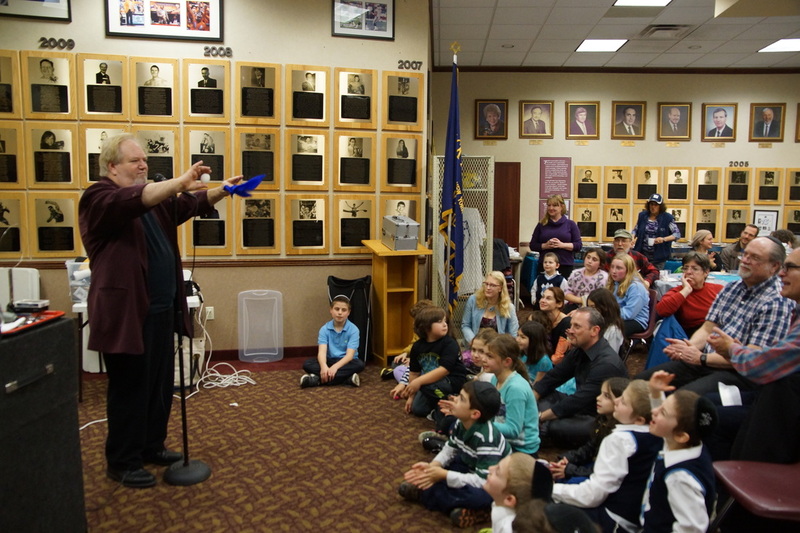 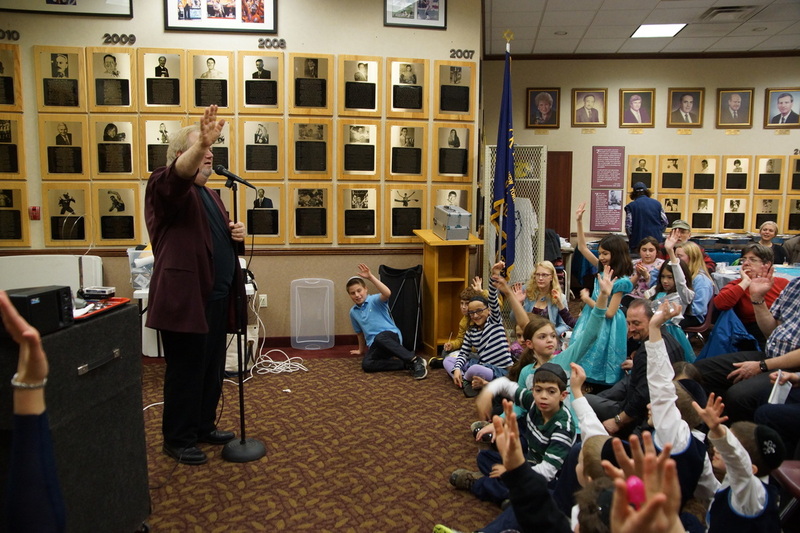 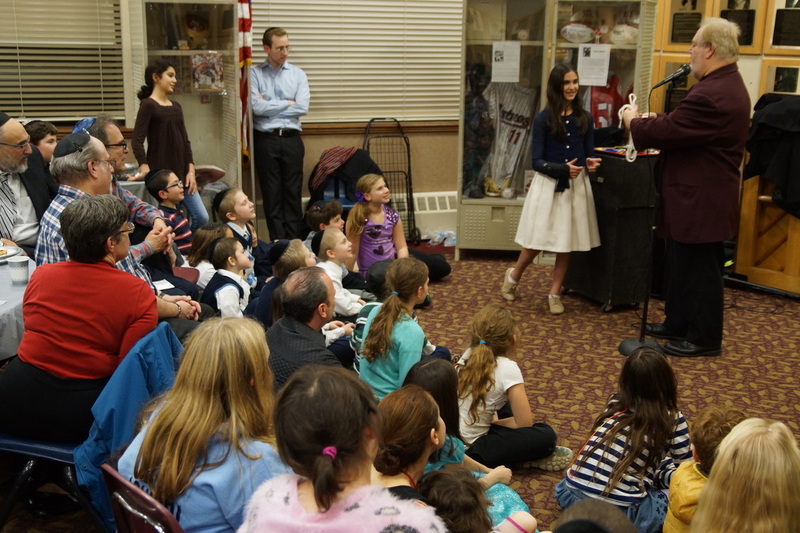 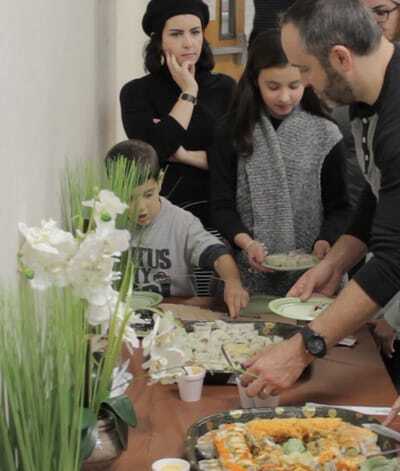 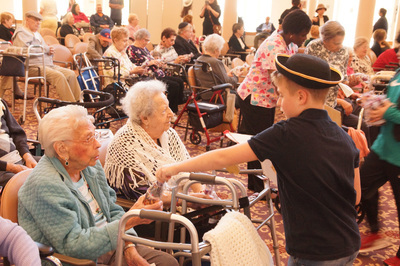 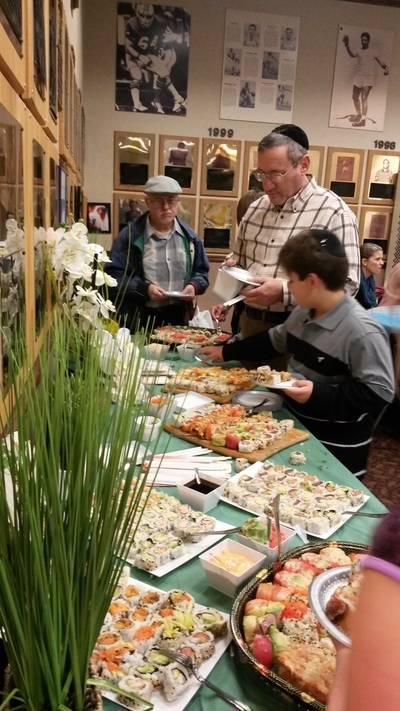 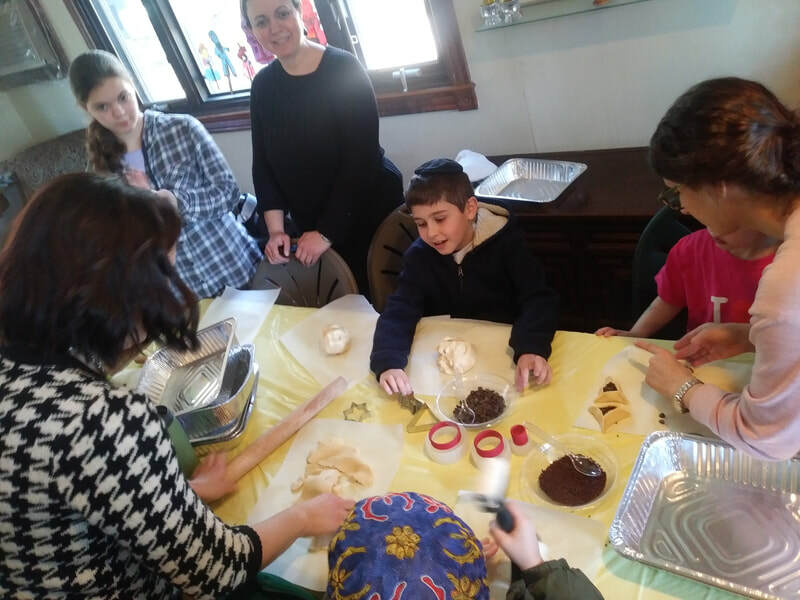 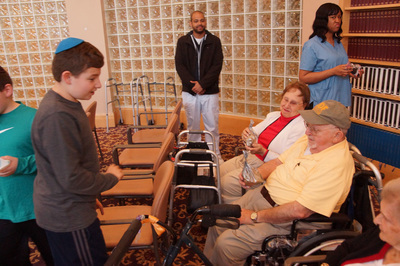 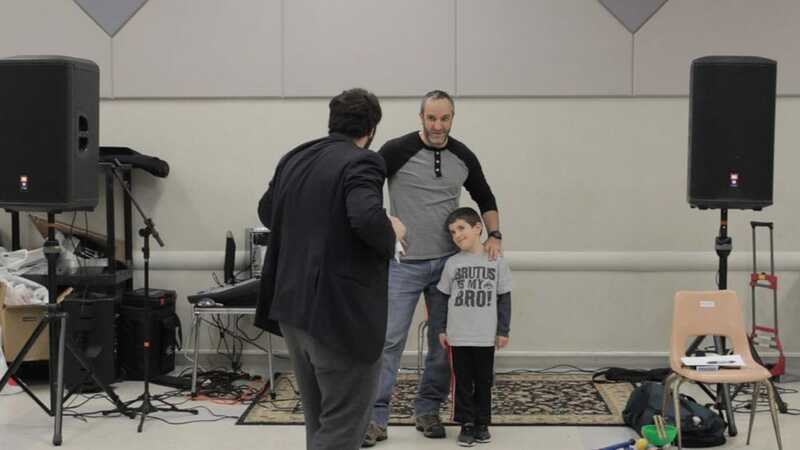 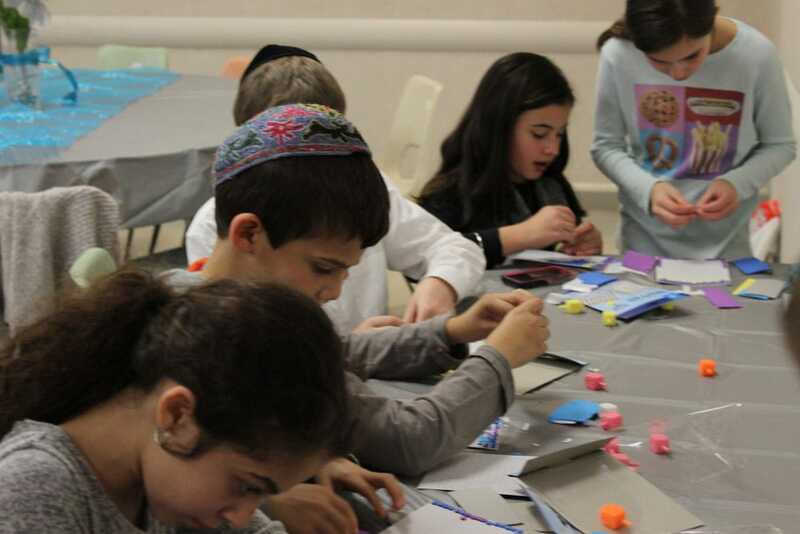 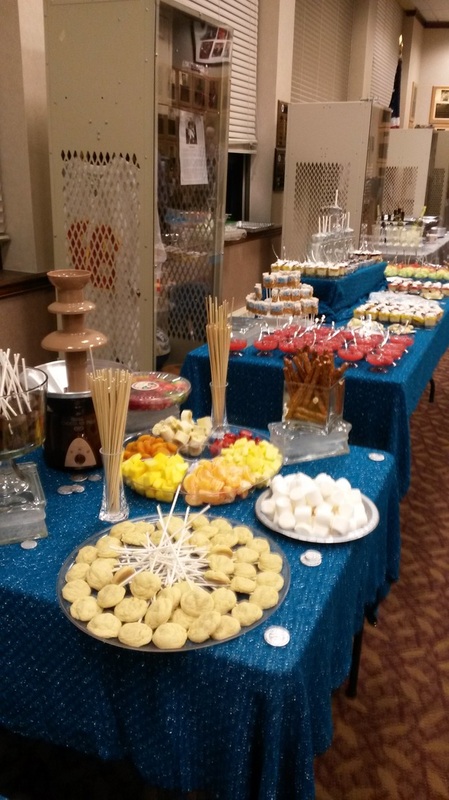 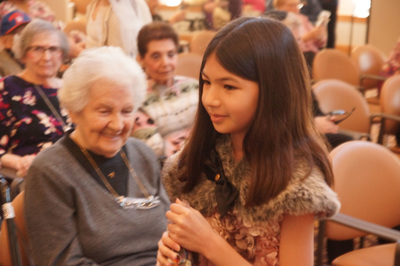 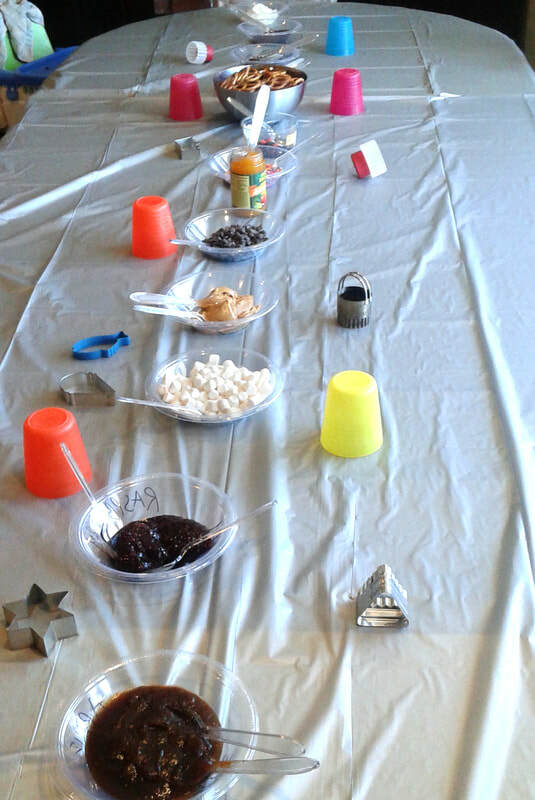 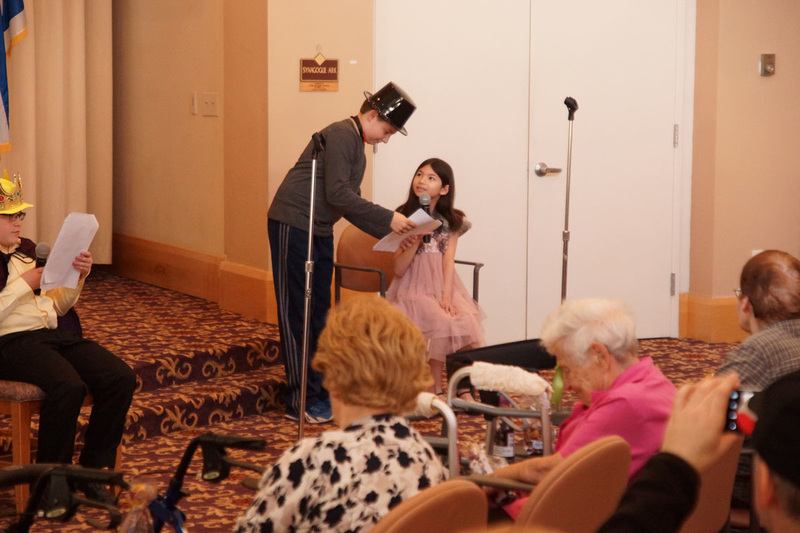 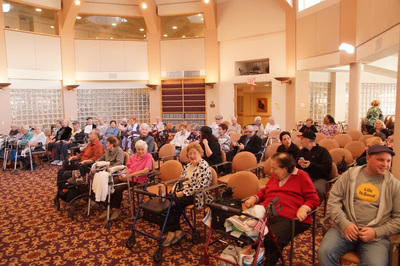 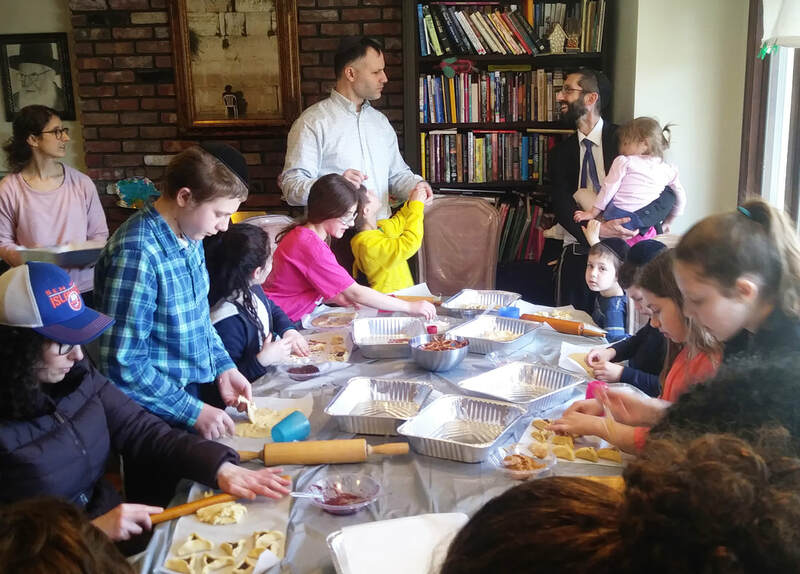 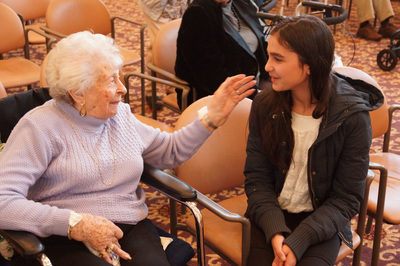 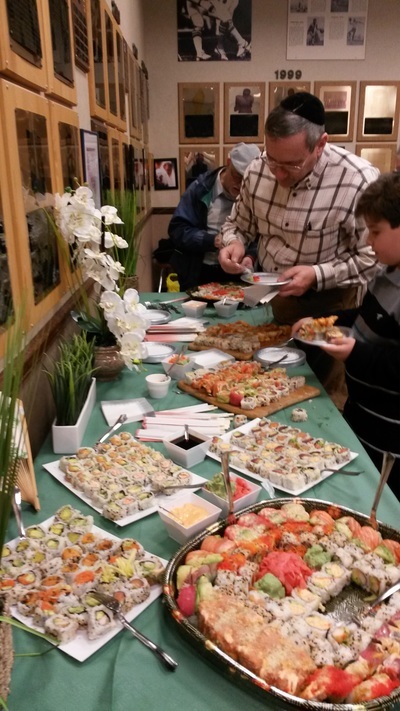 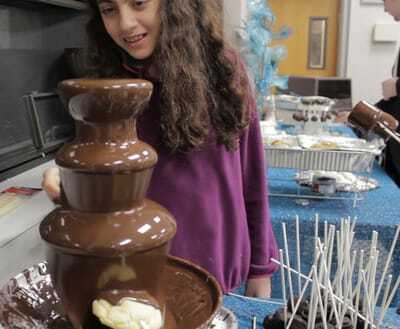 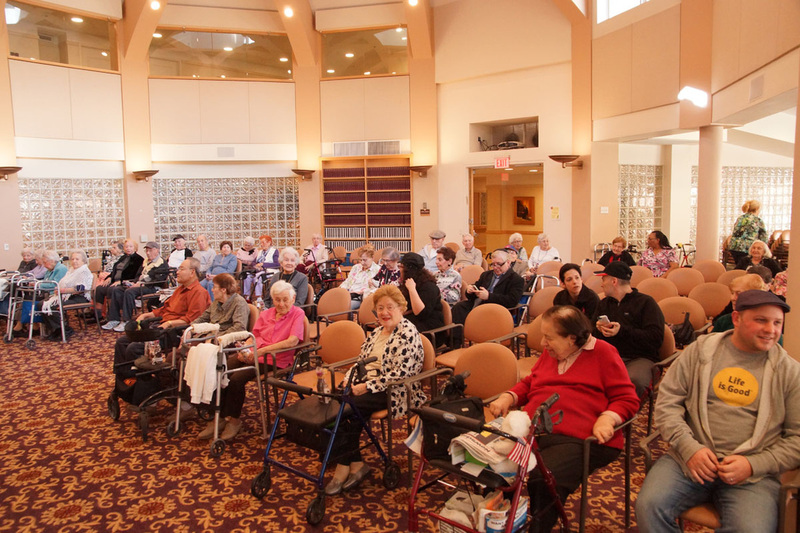 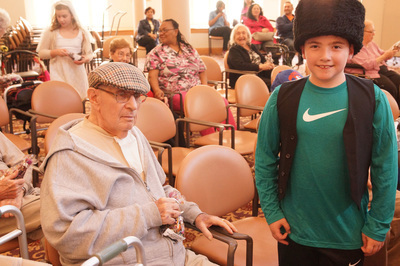 Hebrew School visited the Fay J. Lindner residences at Gurwin Jewish for a Post-Purim event. 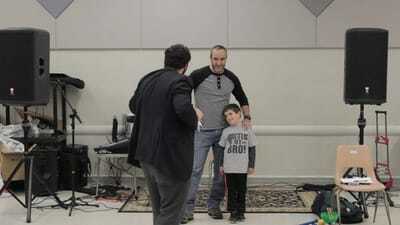 The students' parents joined us for this special event and performance. The program began with the students meeting with the residents and handing out Shalach Manos packages and Purim cards that they prepared with Morah Chayala. 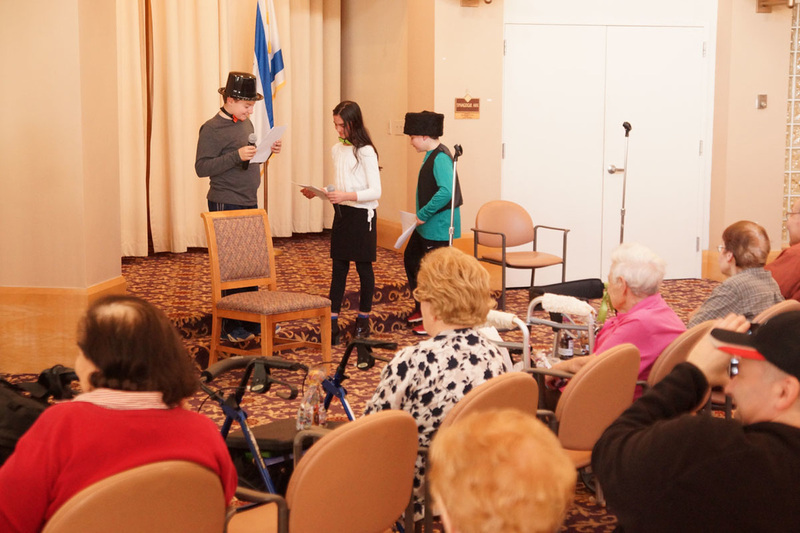 This was followed by a short Purim themed skit performed by the students. 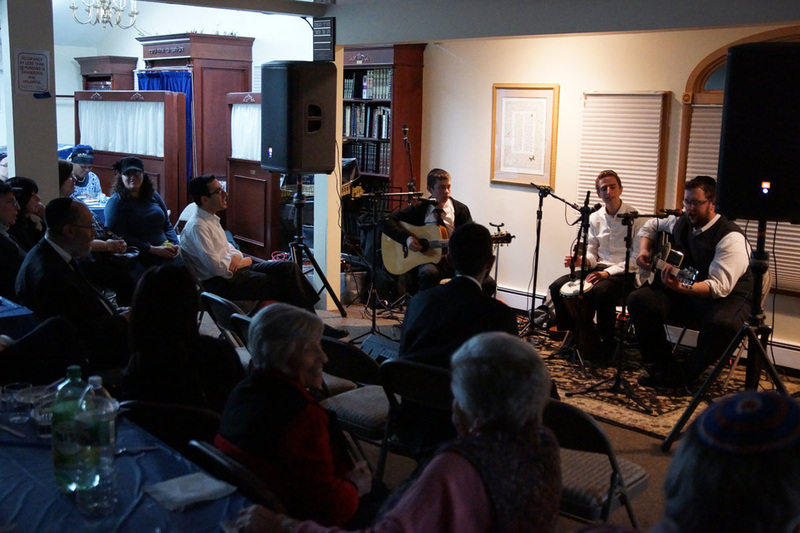 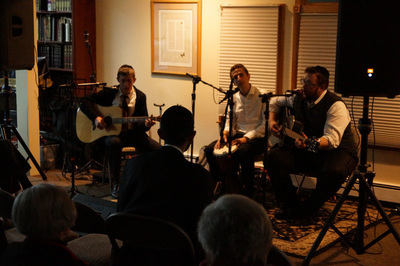 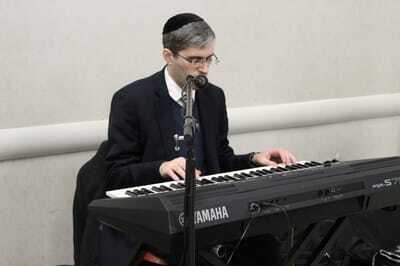 The event concluded with music and singing led by Rabbi Becker on his guitar. 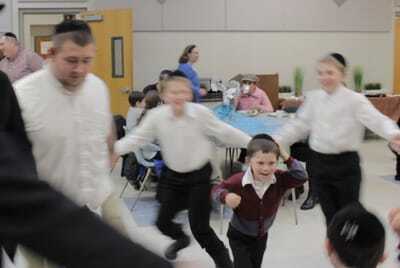 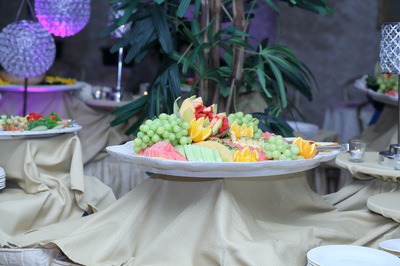 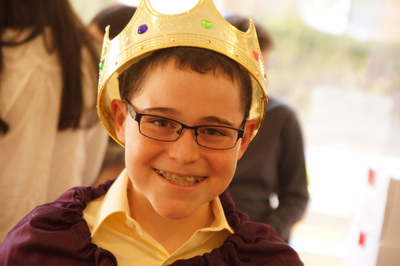 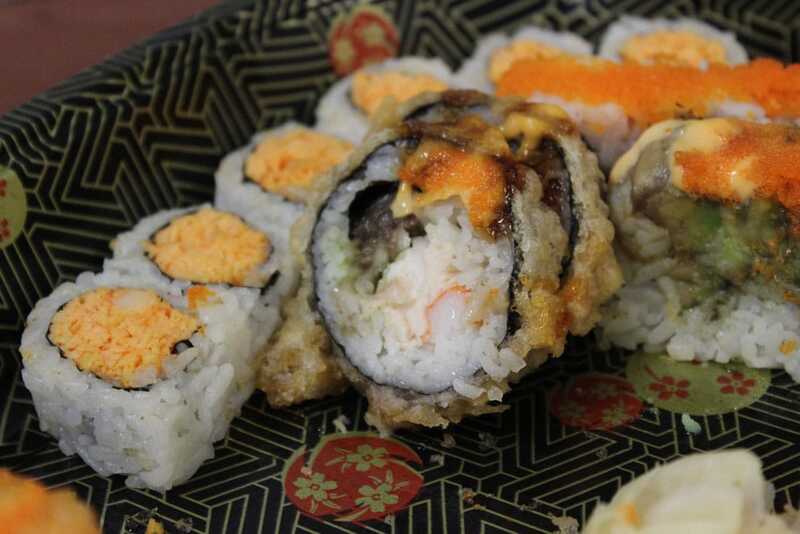 ​Purim focuses on joy and it's especially important to share the joy of Purim with others. 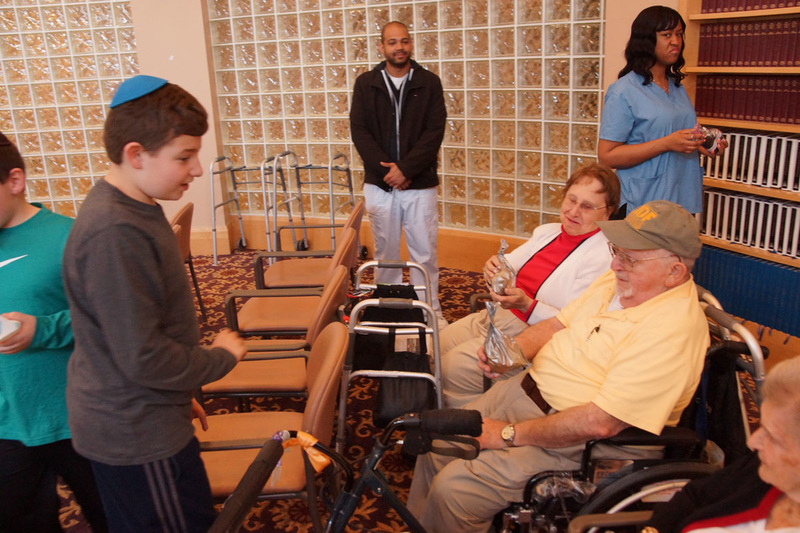 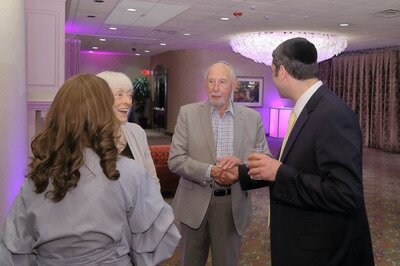 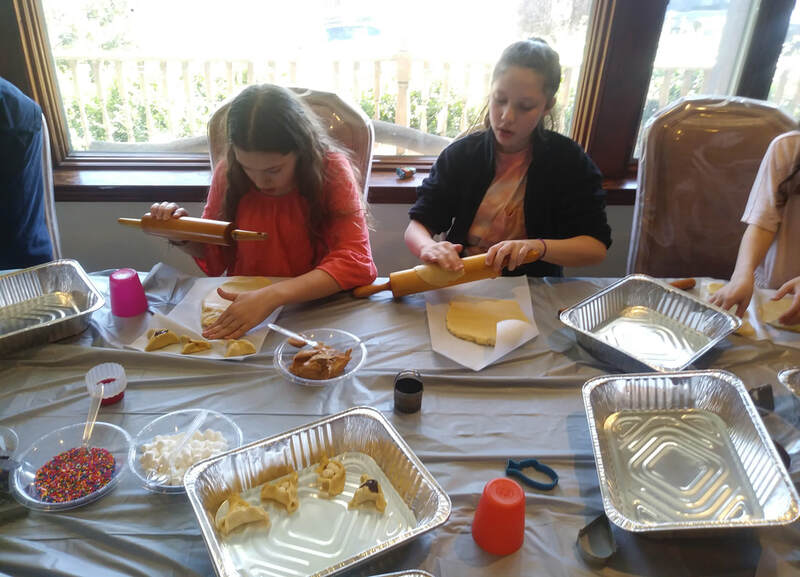 The students felt great about the special Mitzvah they were doing, and both they and the residents had a wonderful time! Mazal Tov to Rabbi Goldberger, R' Barry Chesler and Mordechai Attias upon completing Tractate Brachos! Click for pics and video. 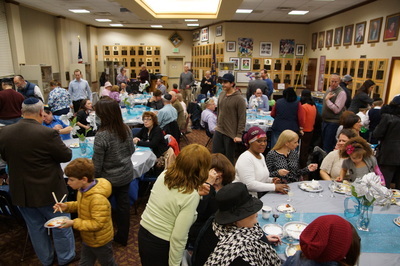 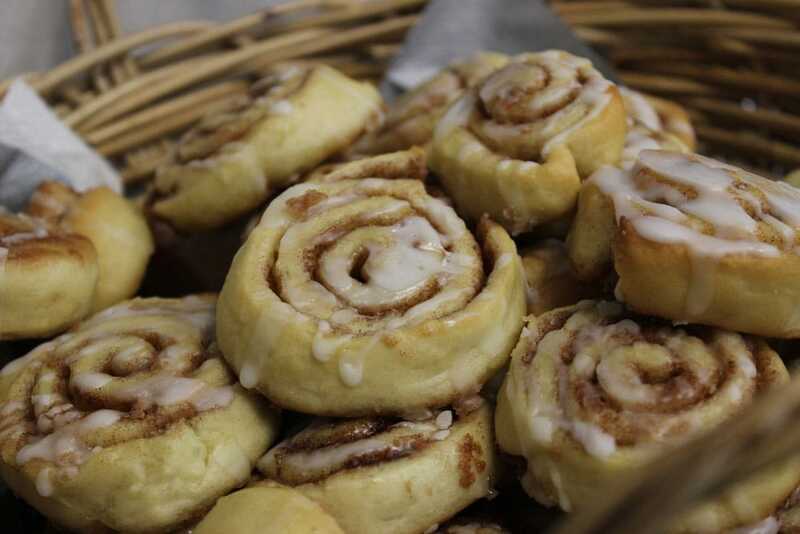 Click on the picture below to view a gallery as well as videos from the breakfast. 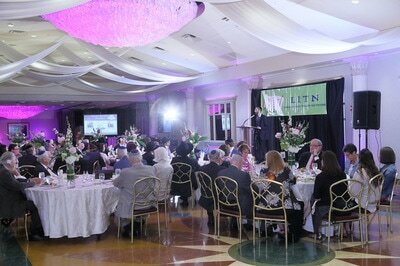 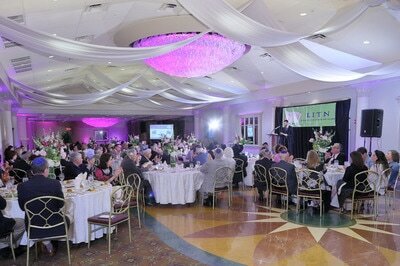 Thank you very much to all who helped make our first L.I.T.N. Barbeque such a success!